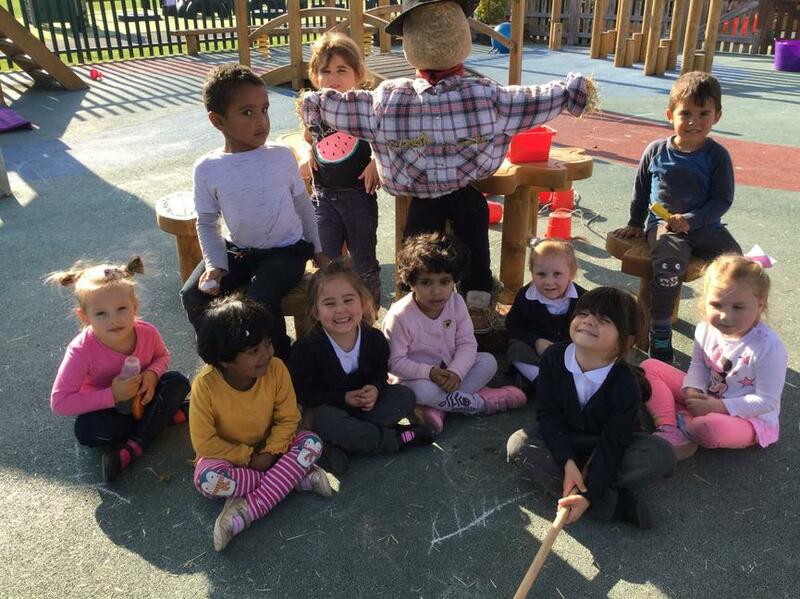 Welcome to the class page for Nursery. 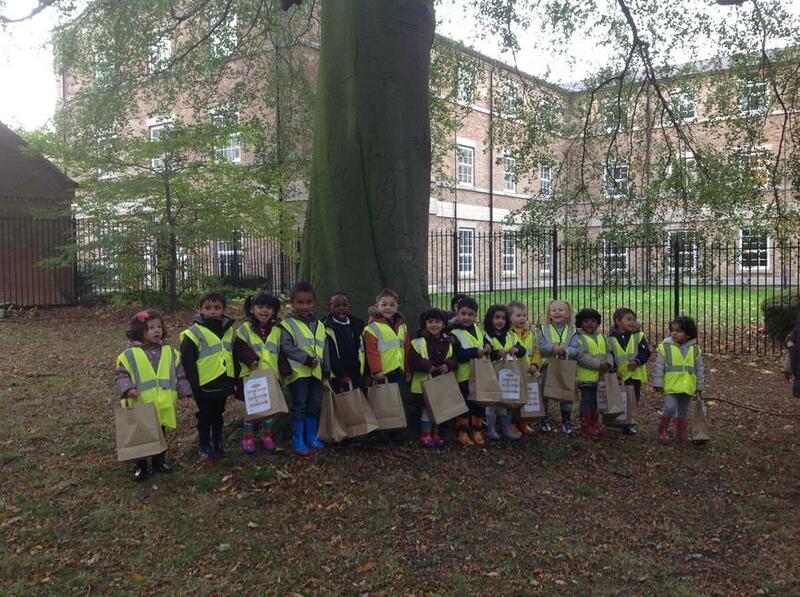 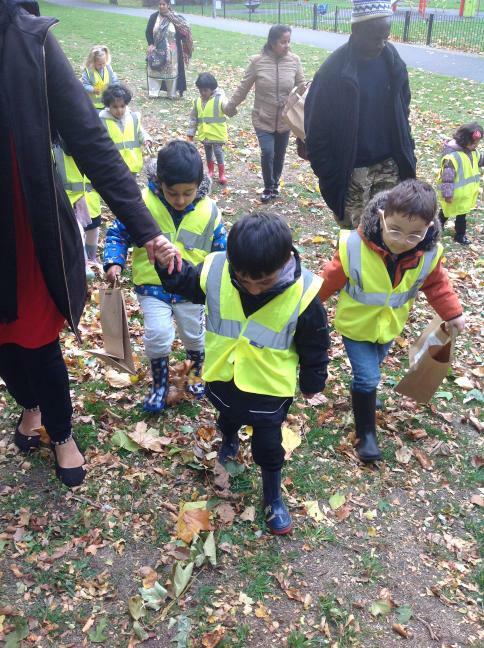 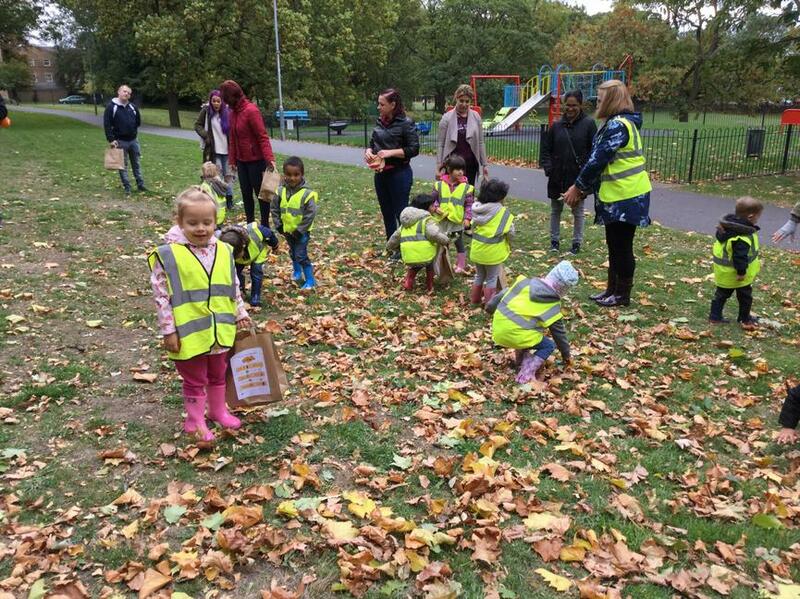 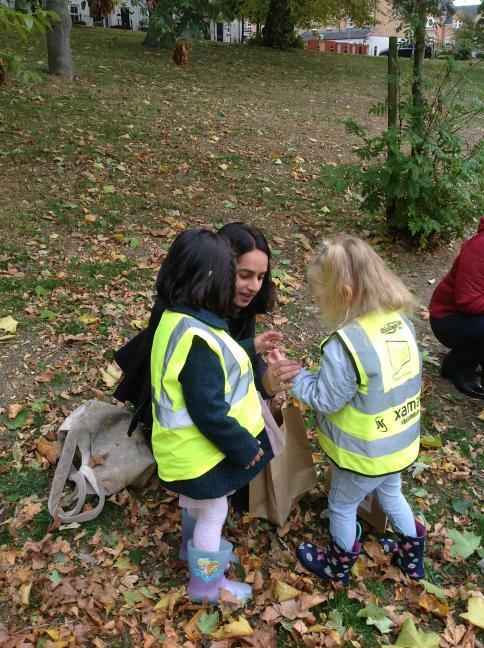 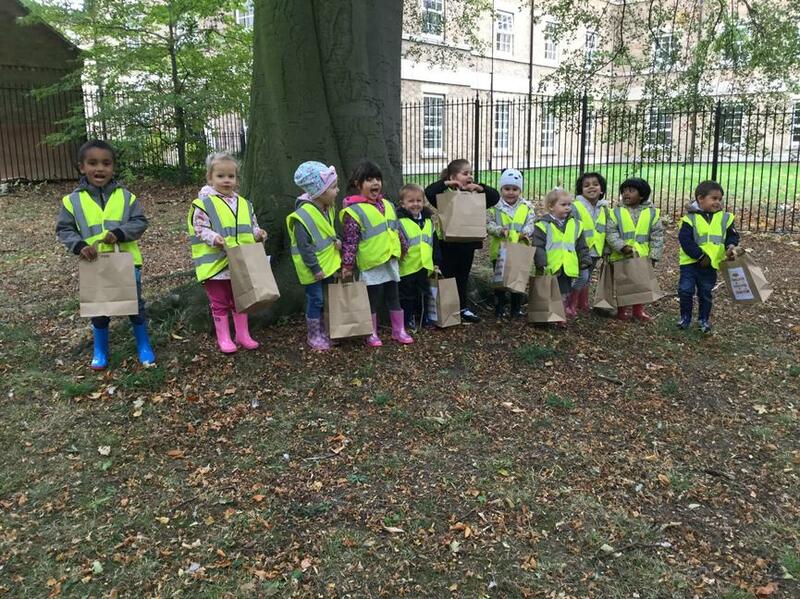 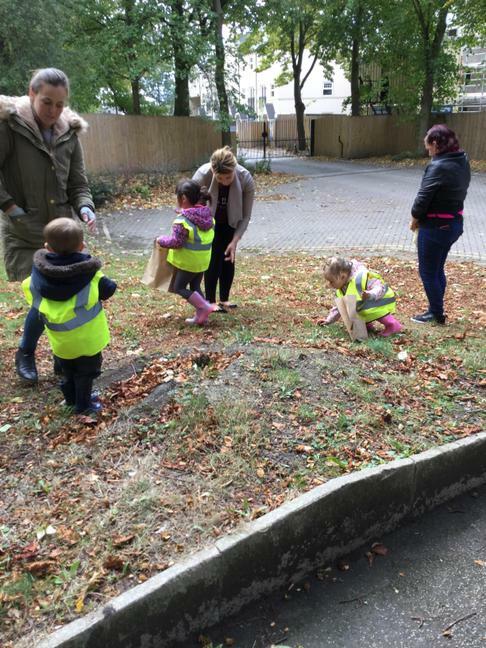 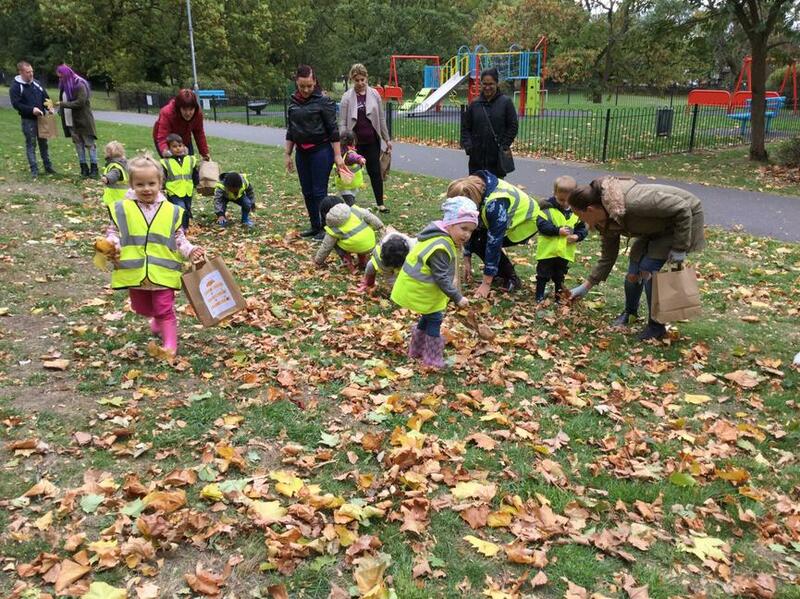 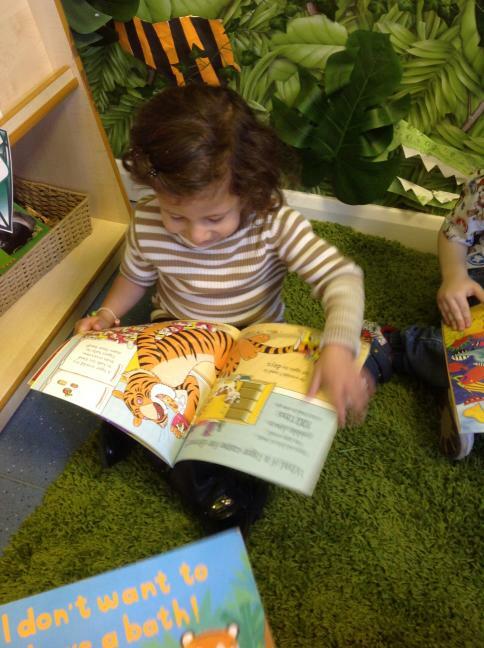 At Pinders Primary School we call the children in our Nursery 'Cubs'. 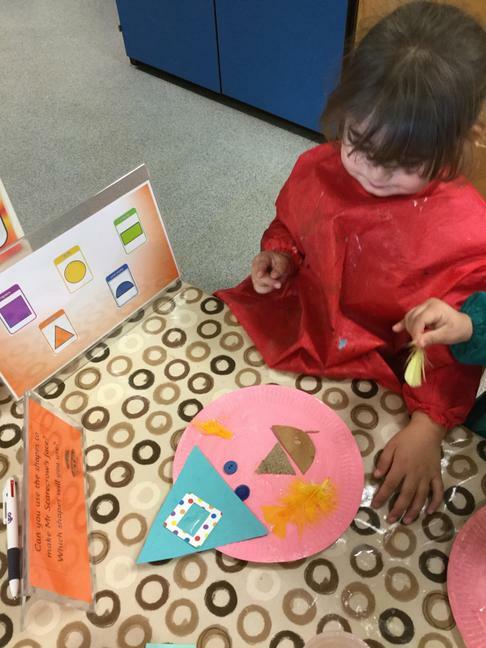 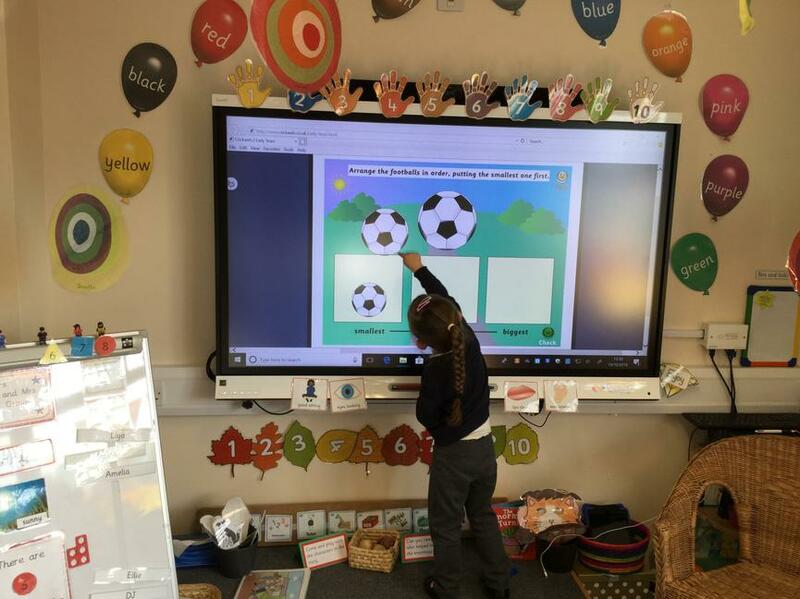 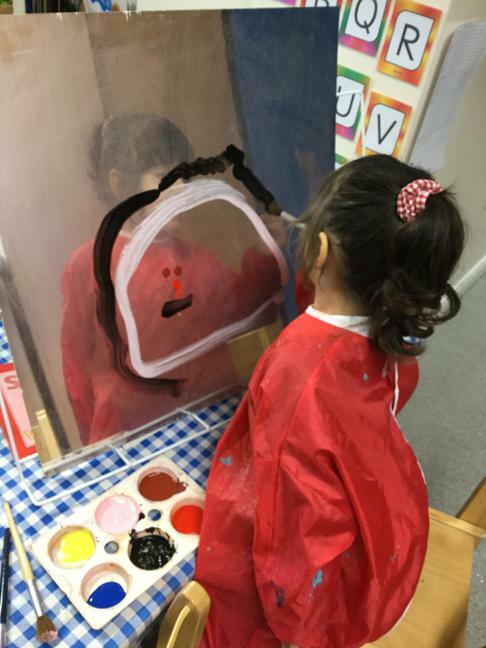 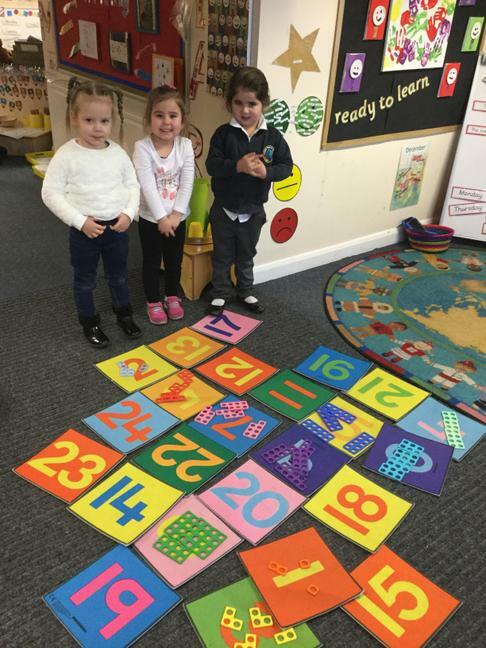 On this page you will find information about our class and details about all the exciting things we are learning in school. 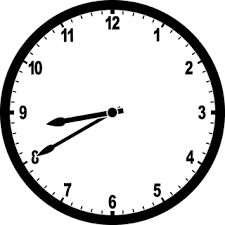 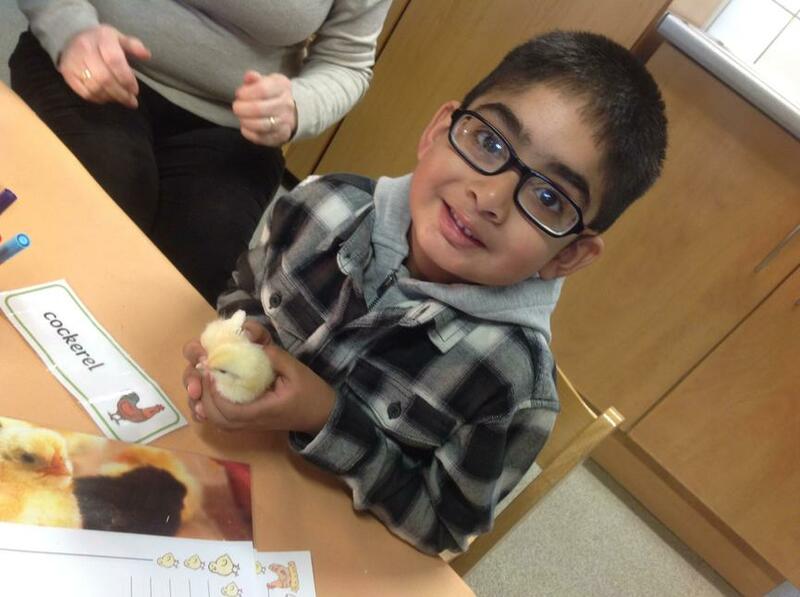 Don't forget to also look us up on Twitter... we try to put photographs on a couple of times each week. 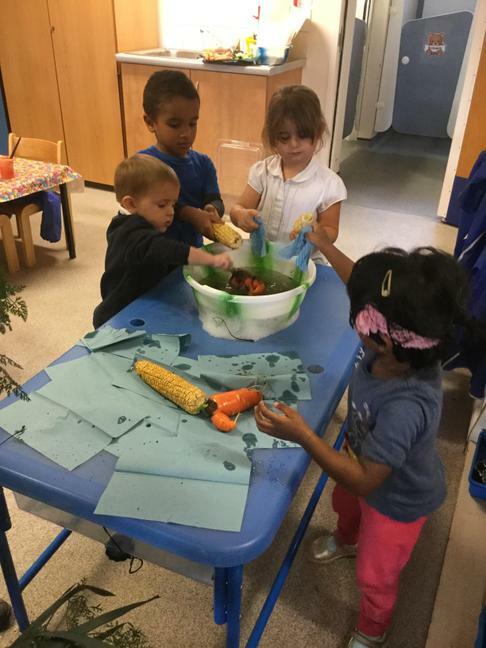 From September 2018 we will be offering morning and afternoon sessions. 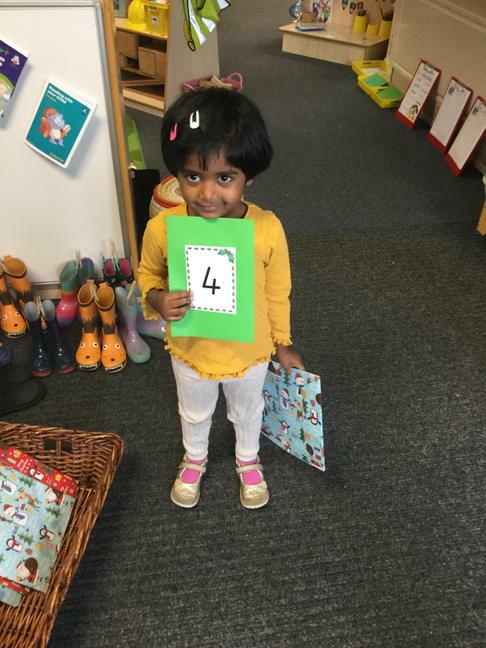 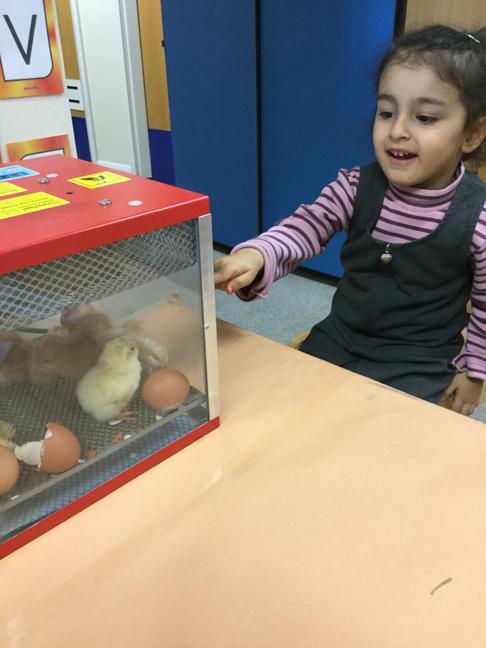 What do we learn about in Nursery? 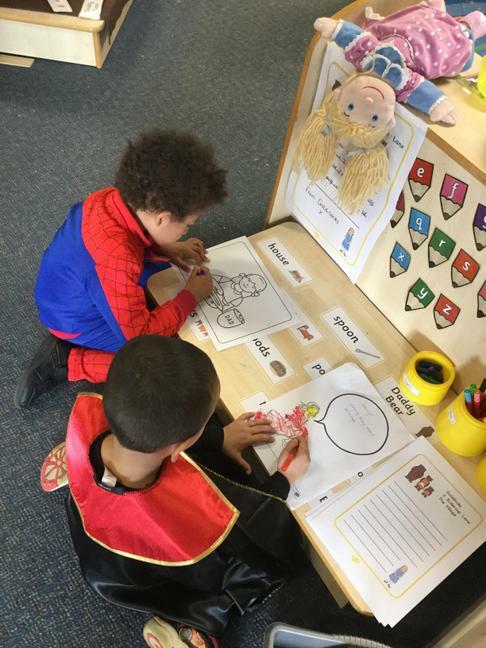 At Pinders Primary School we have developed our own long term plan, outlining the different topics we will base our learning around each half term. 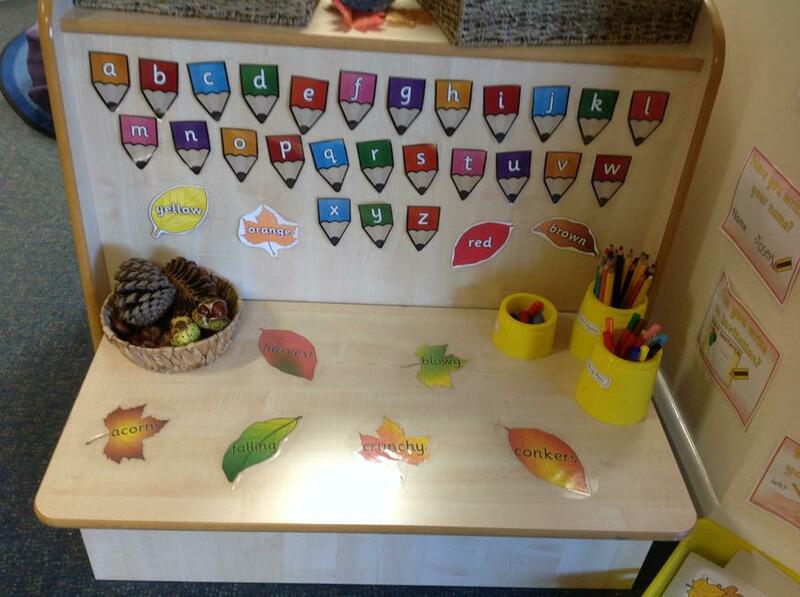 Alongside this we also teach discrete phonics and maths sessions. 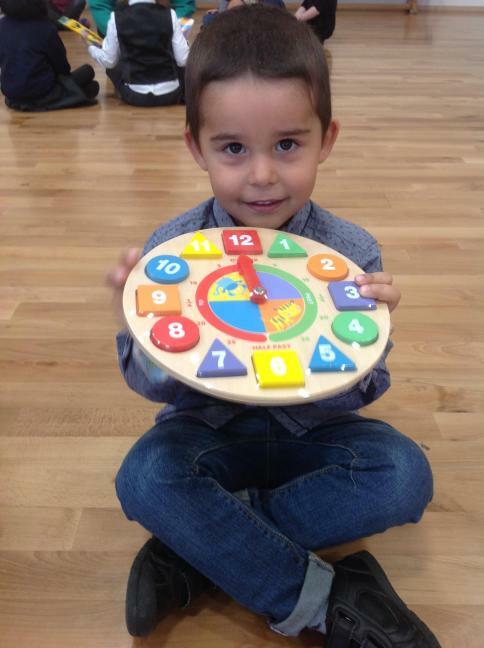 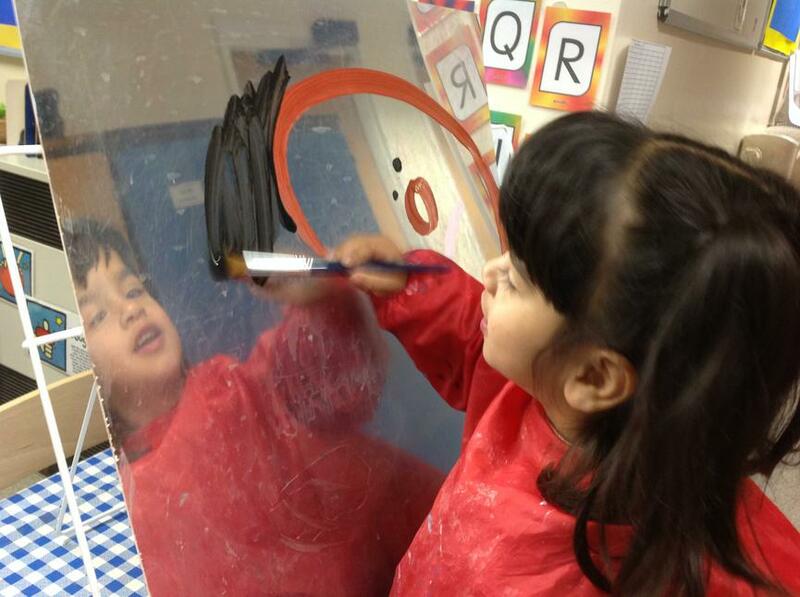 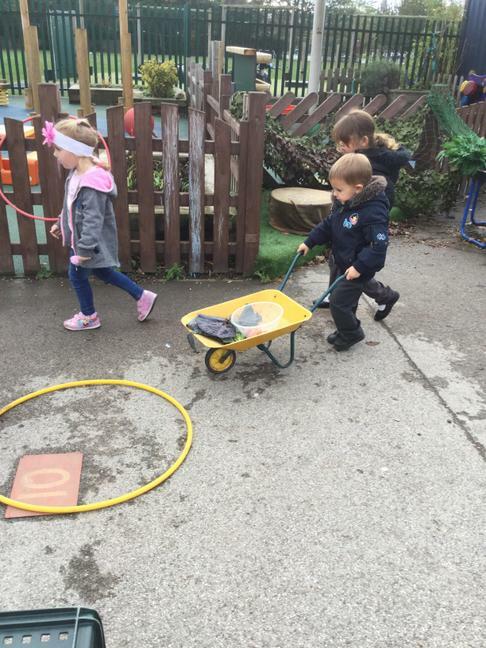 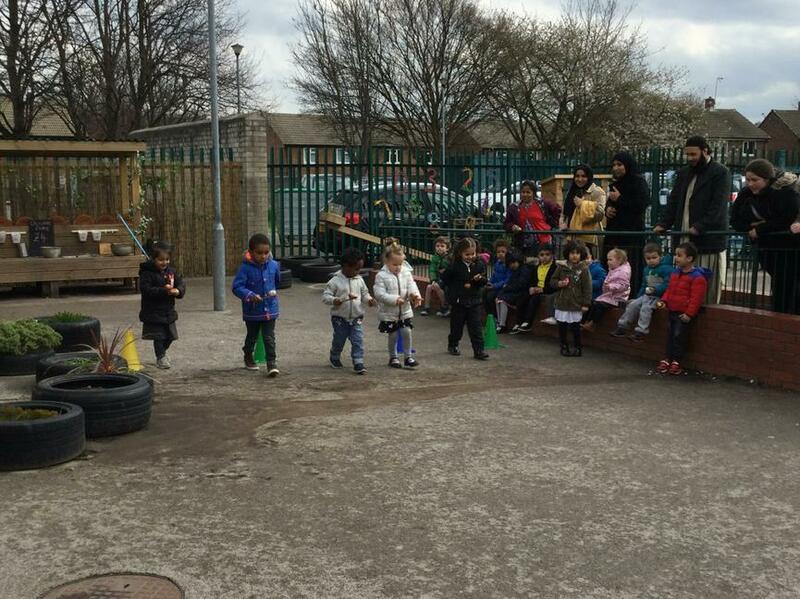 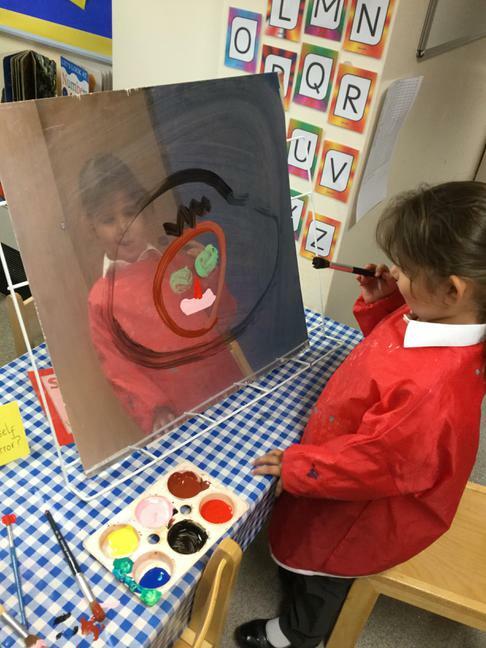 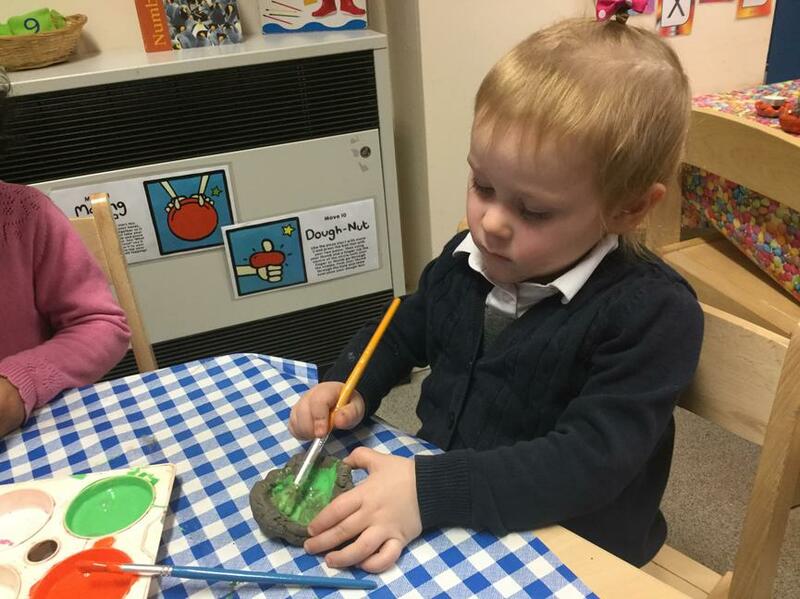 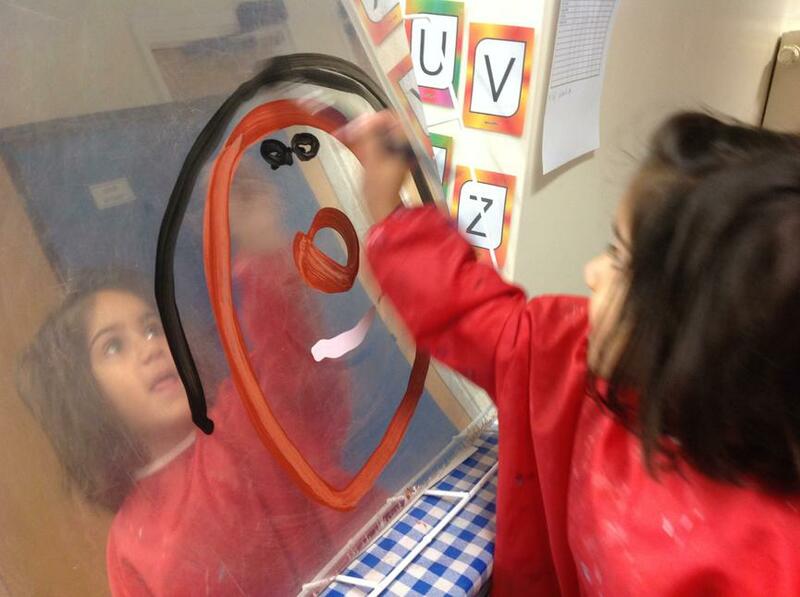 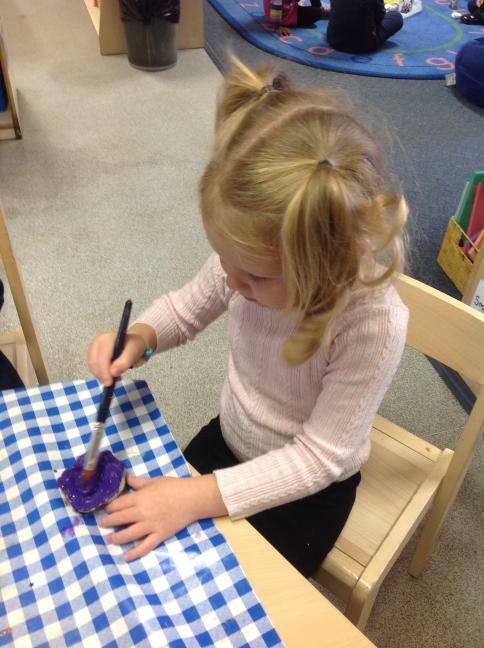 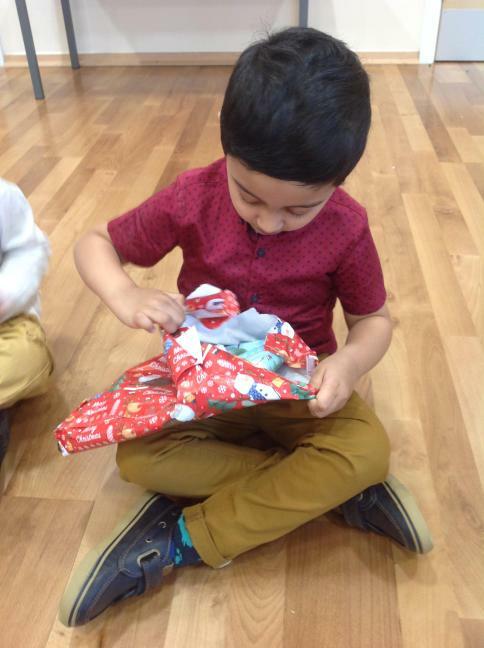 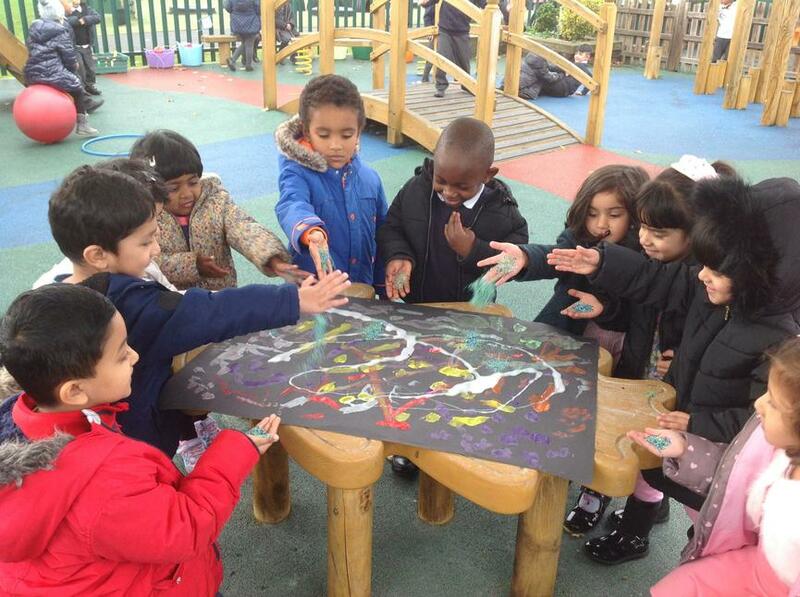 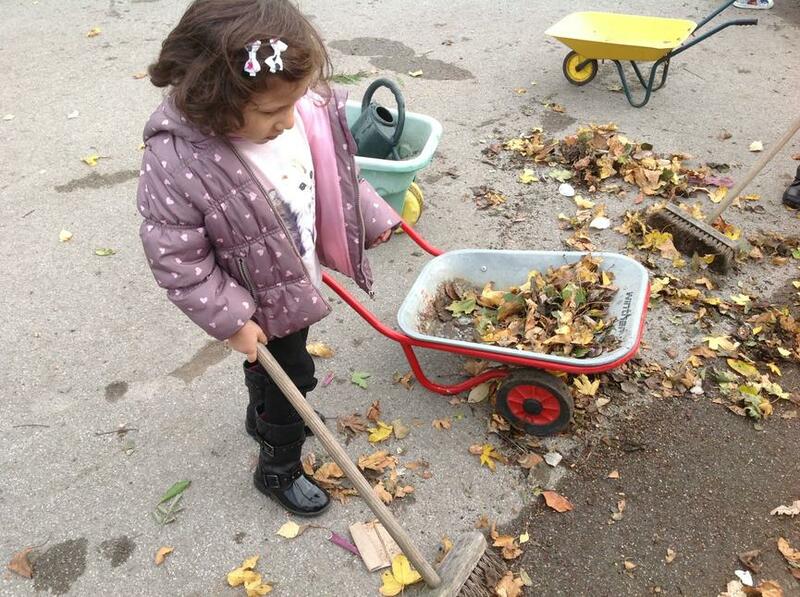 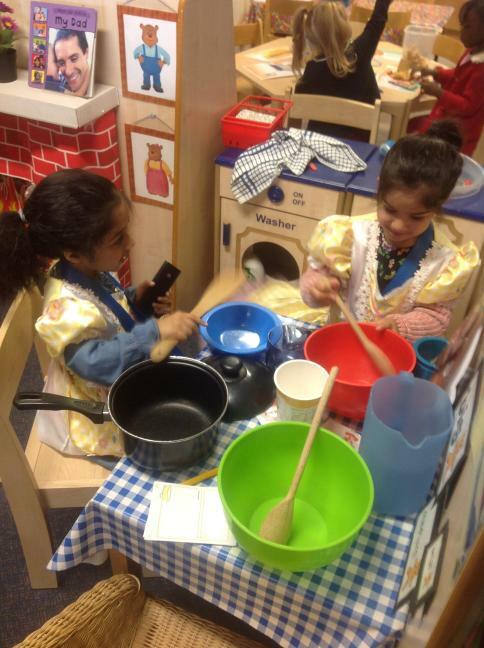 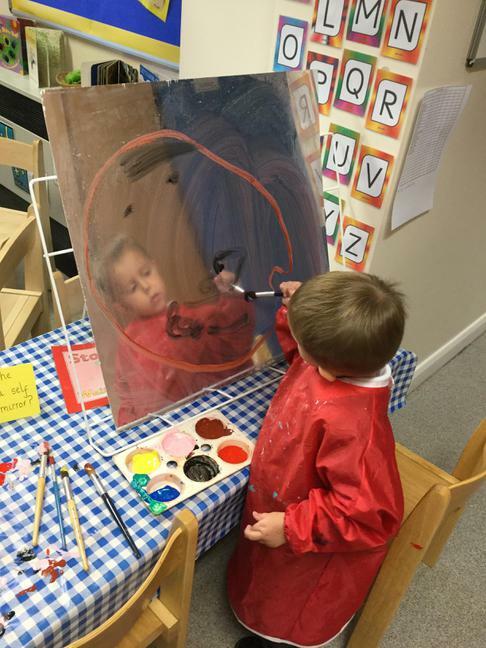 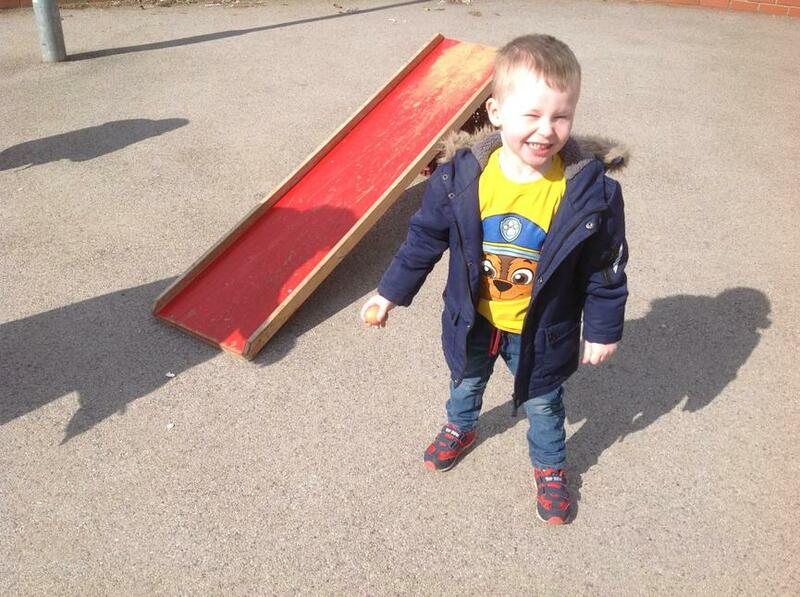 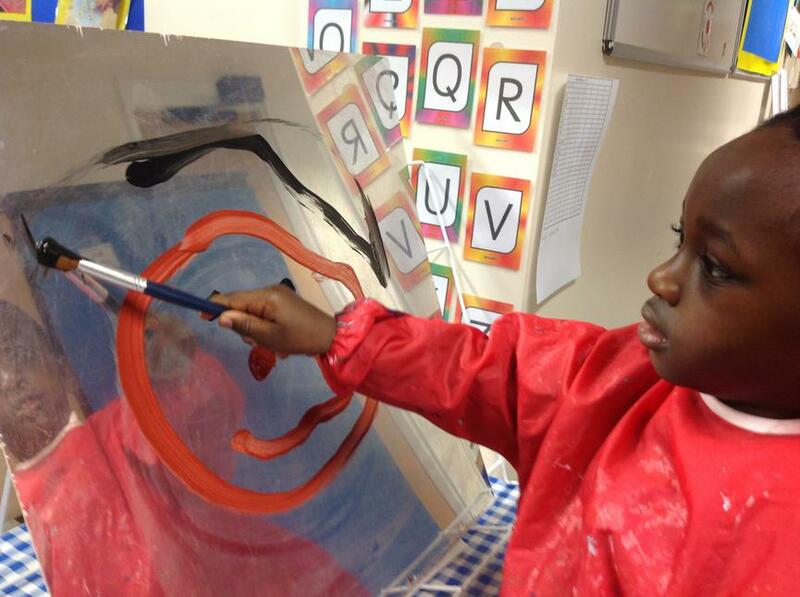 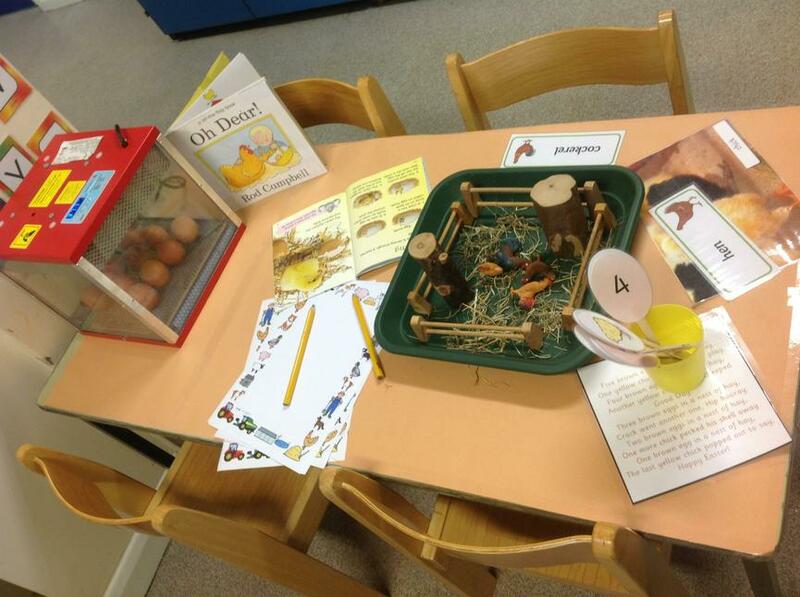 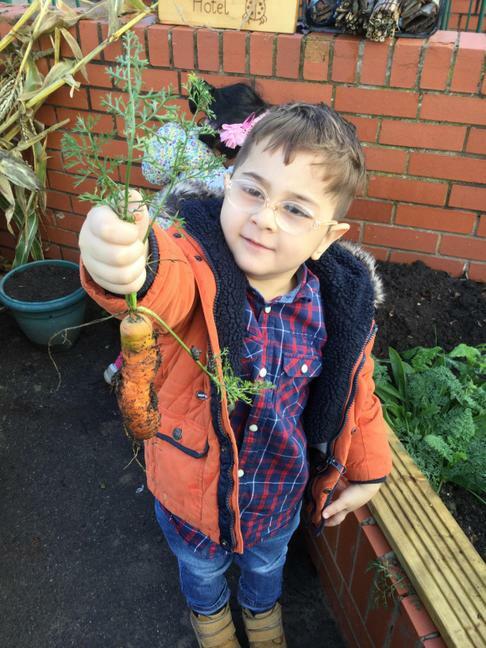 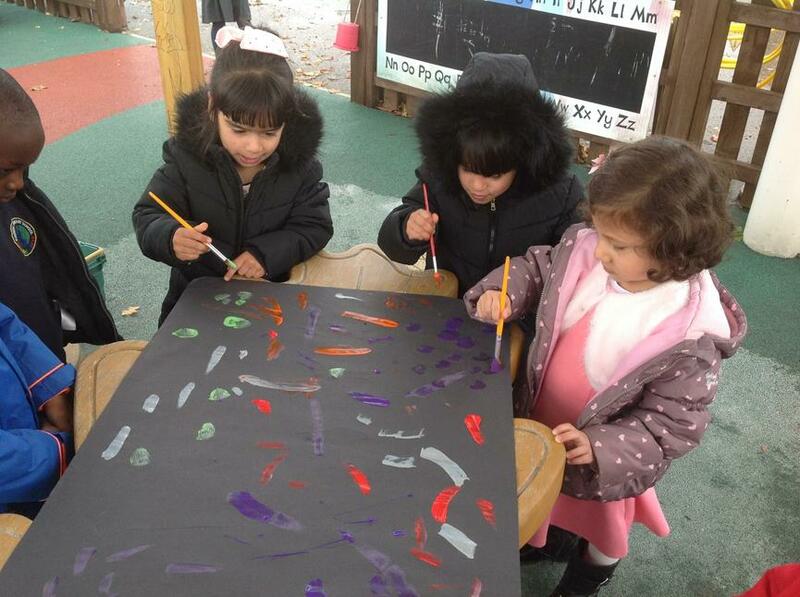 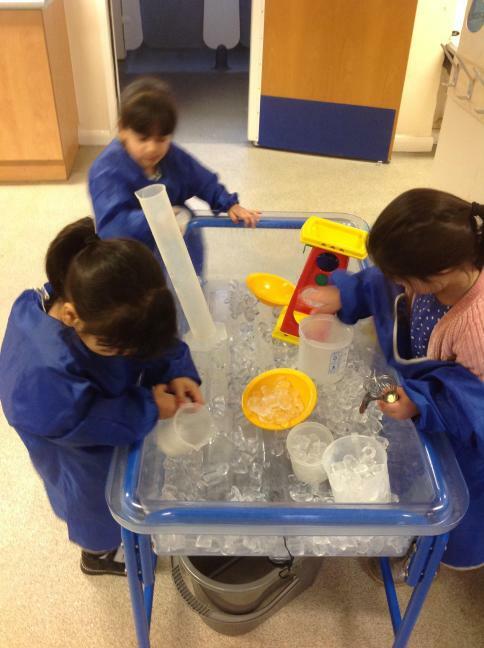 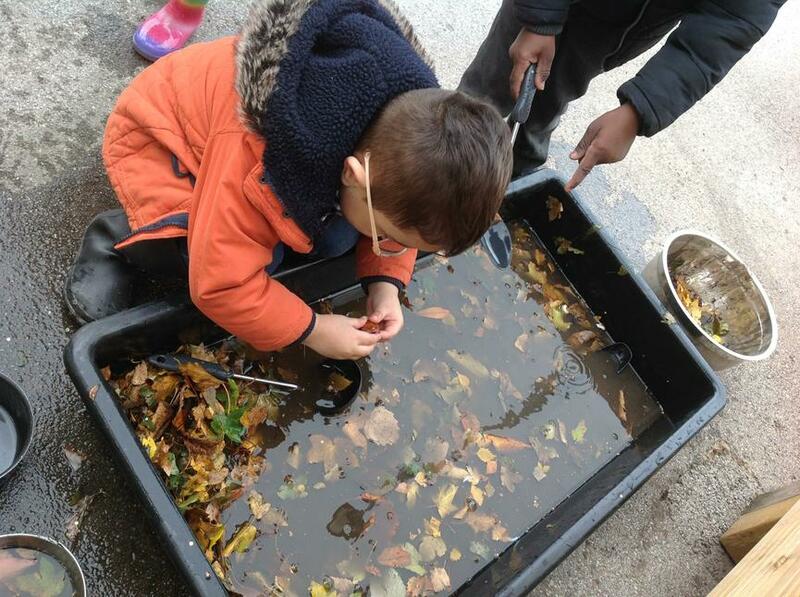 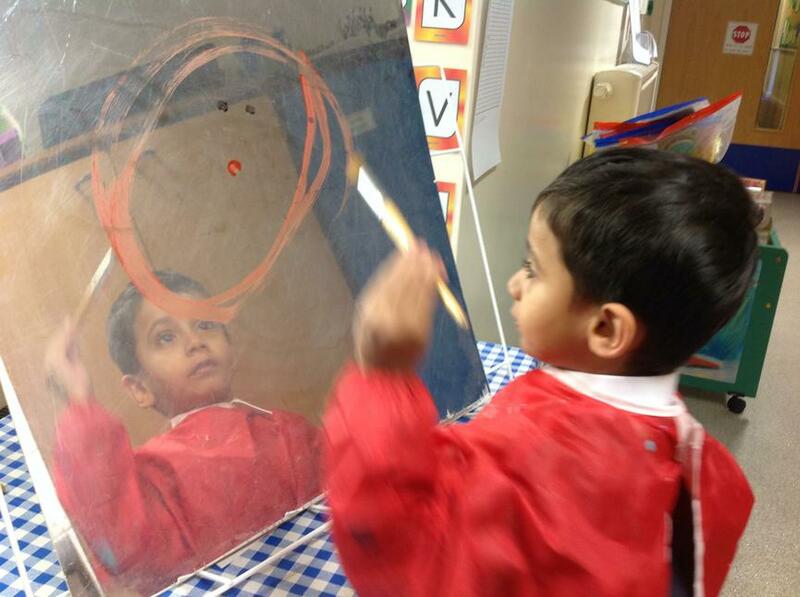 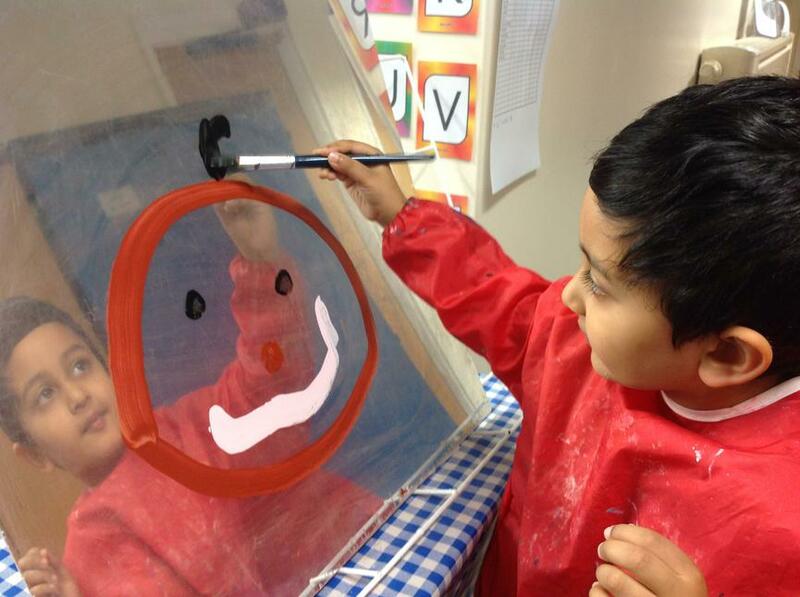 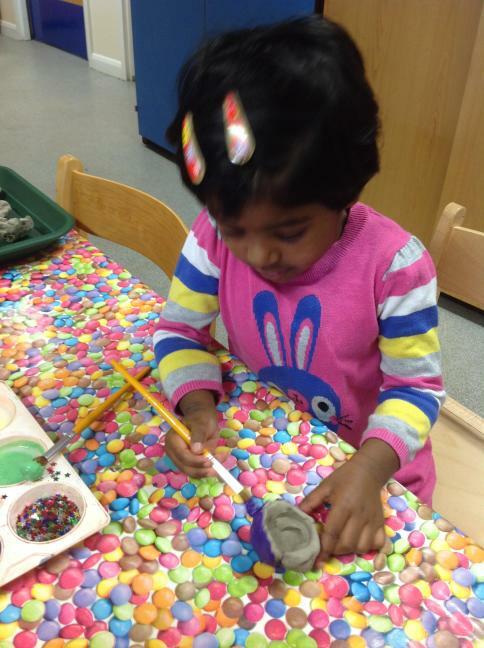 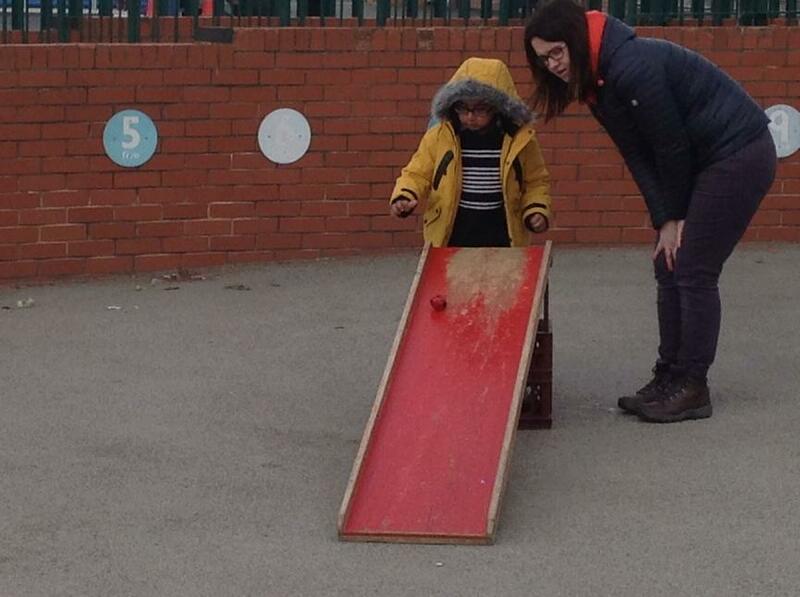 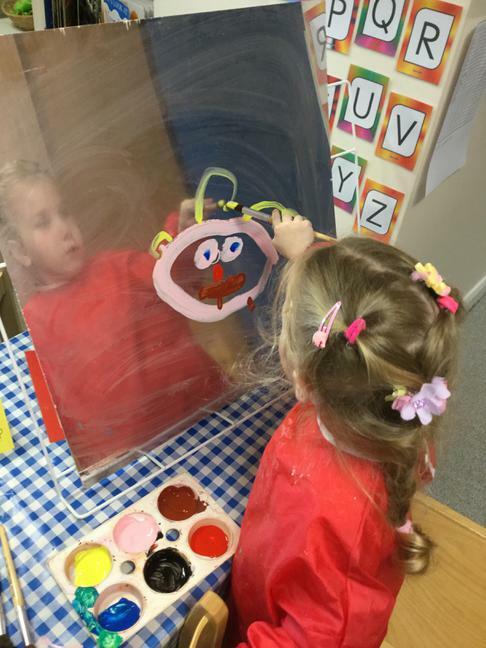 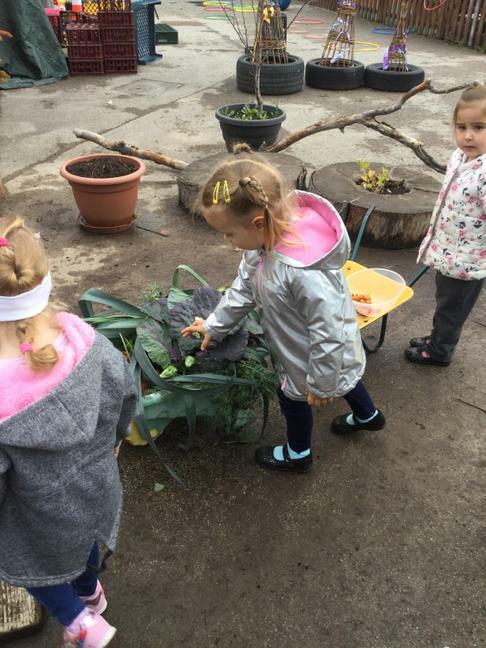 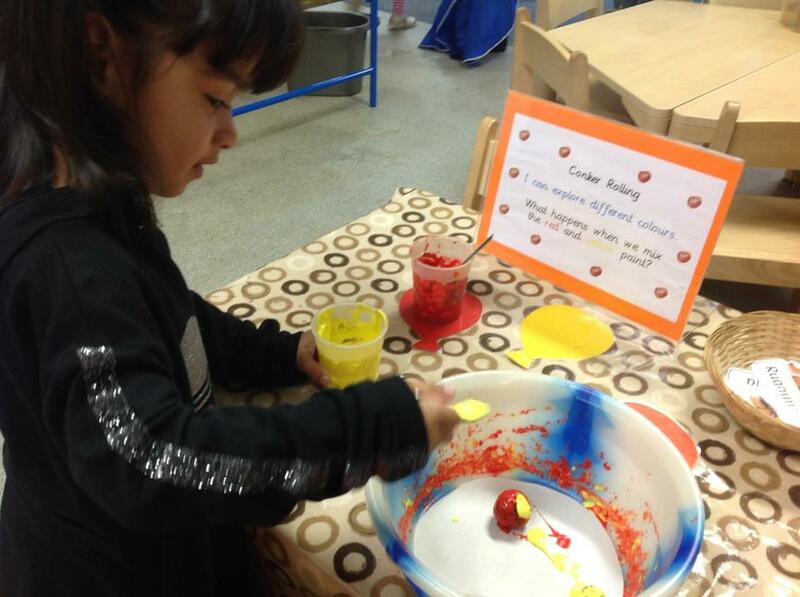 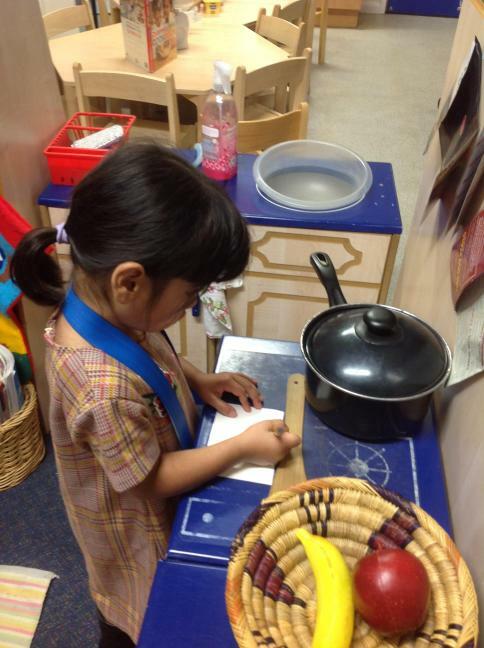 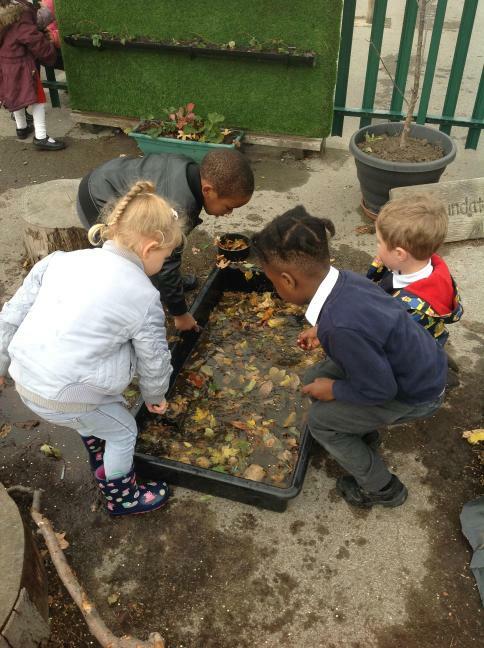 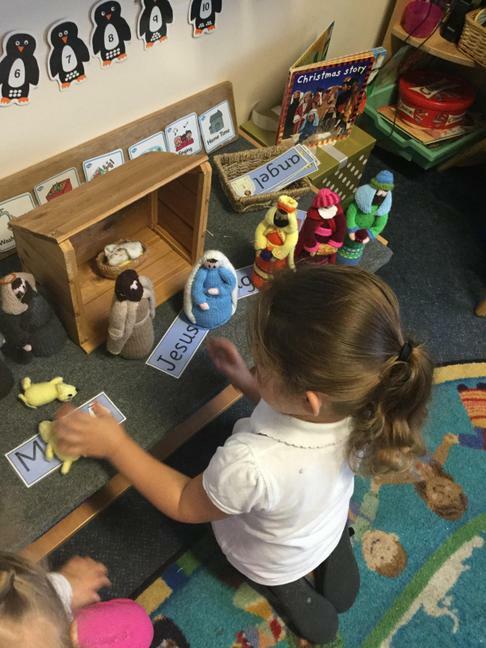 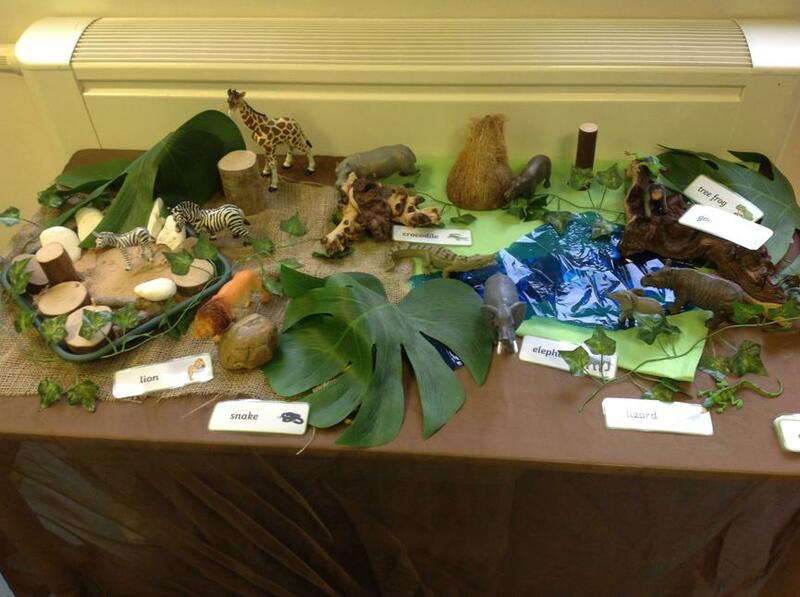 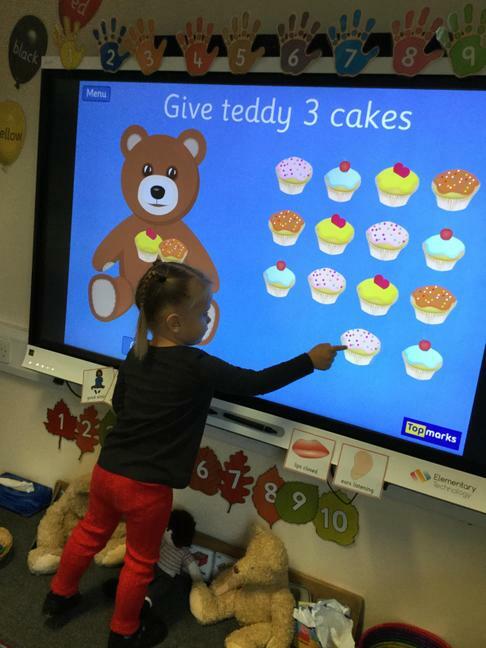 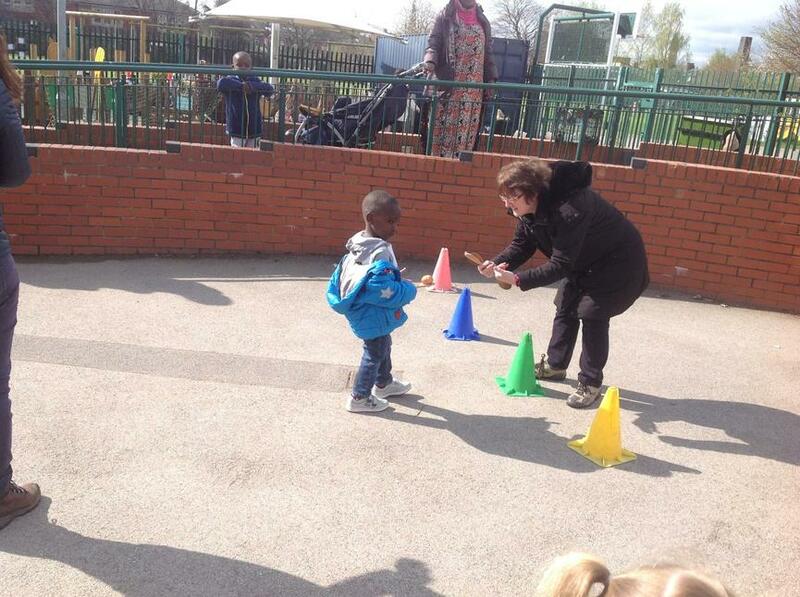 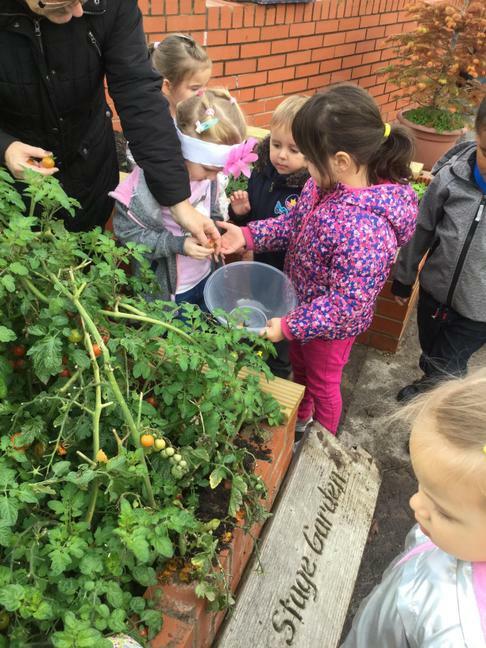 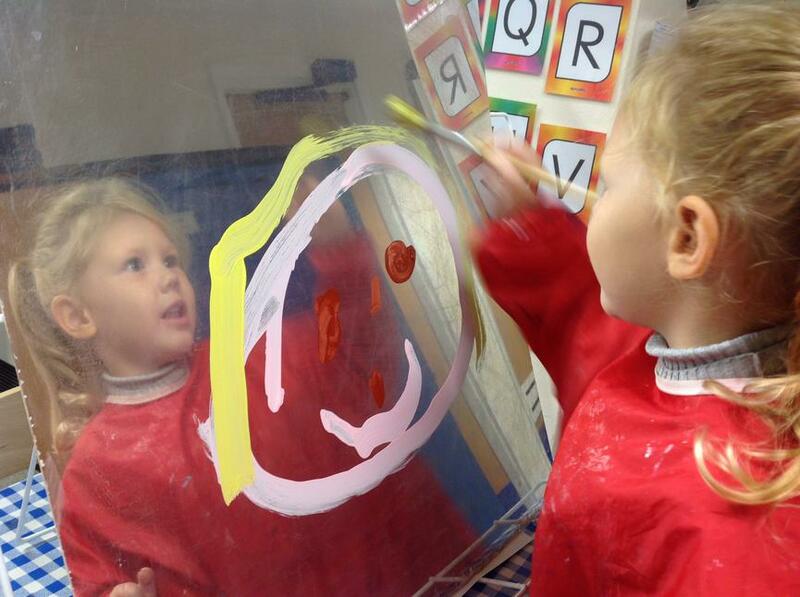 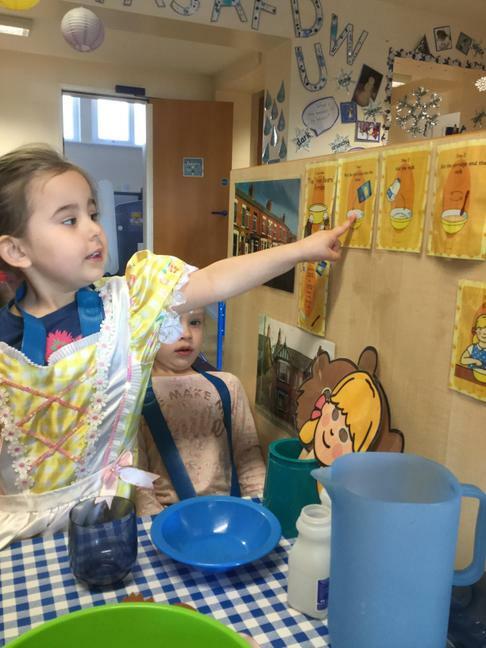 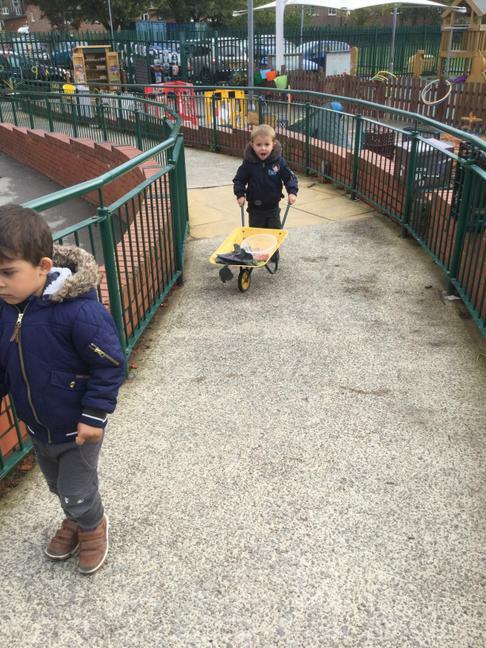 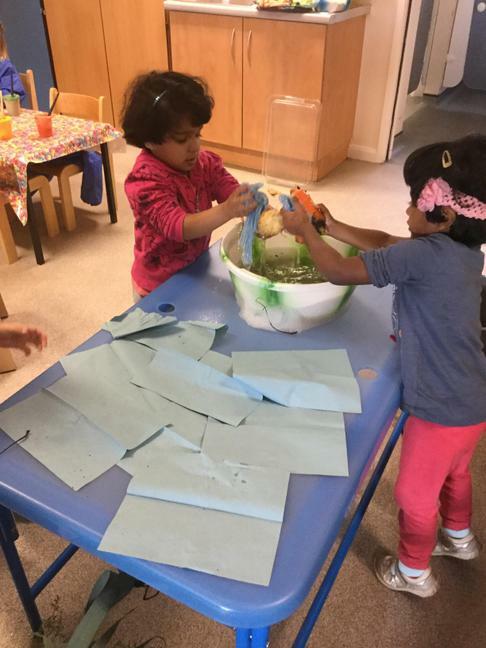 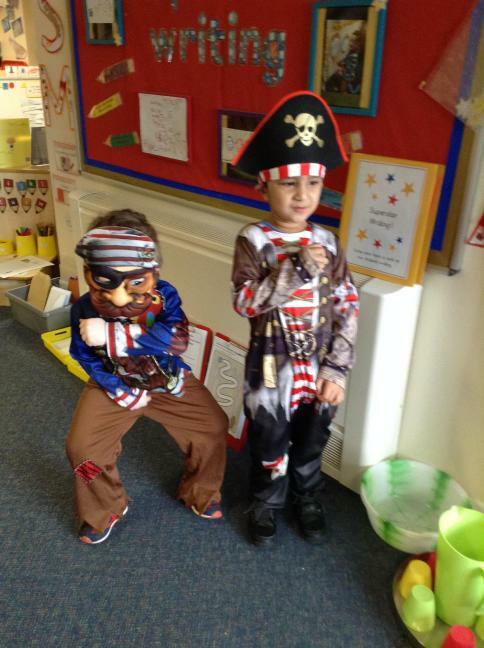 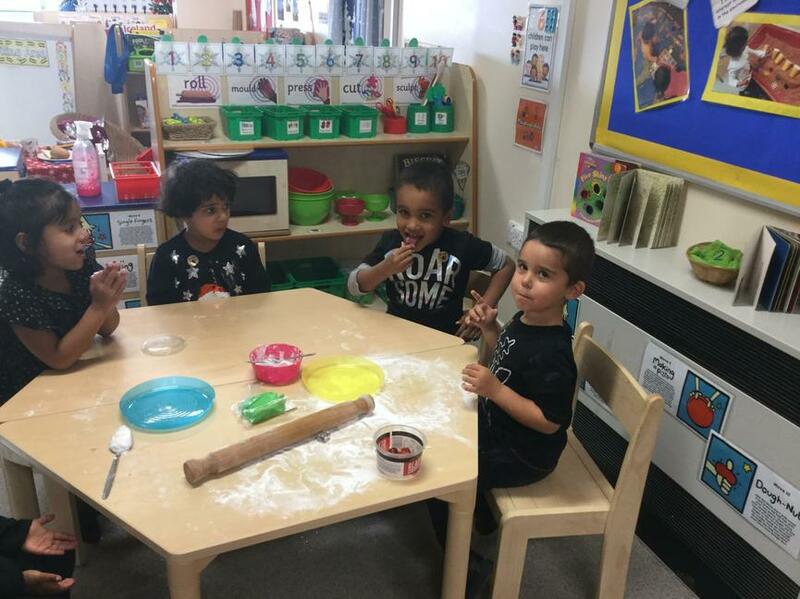 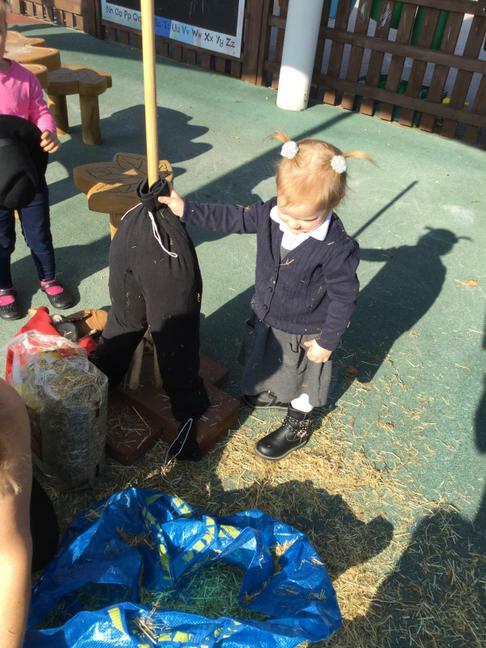 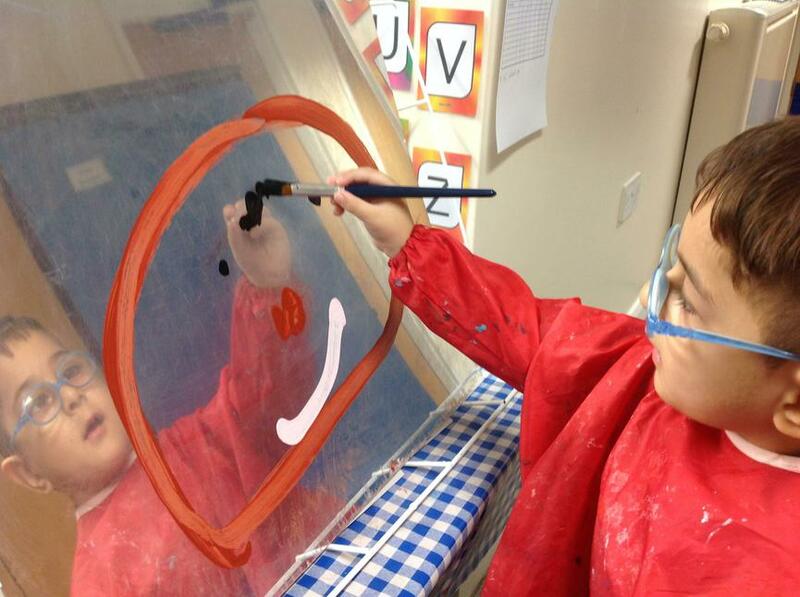 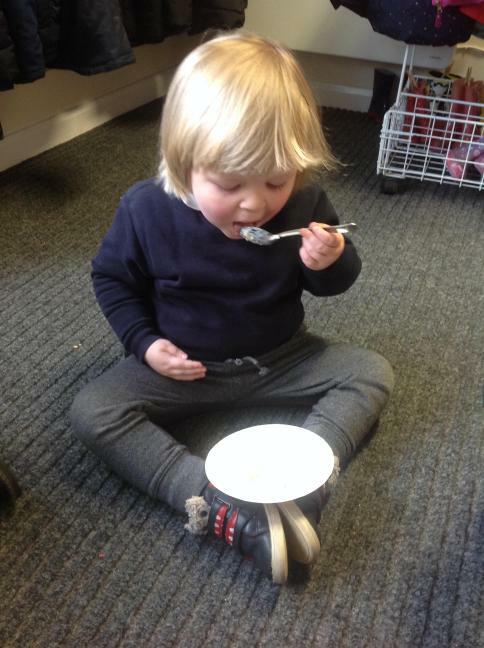 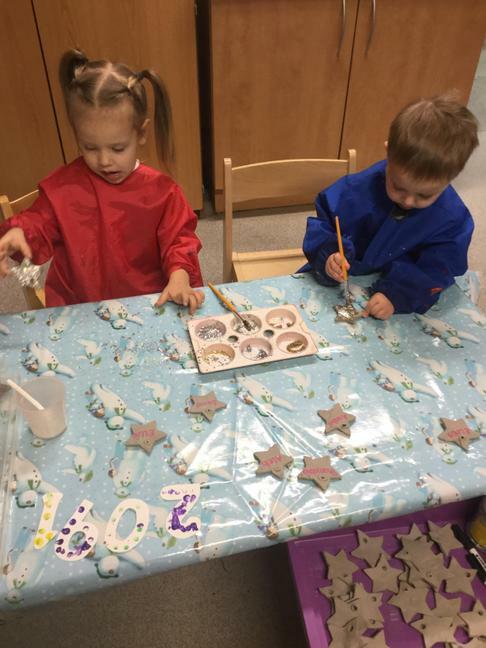 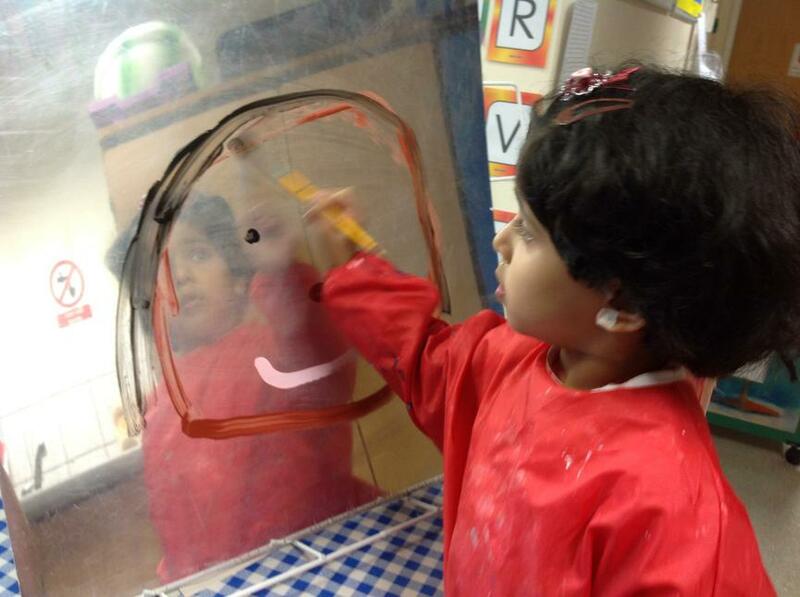 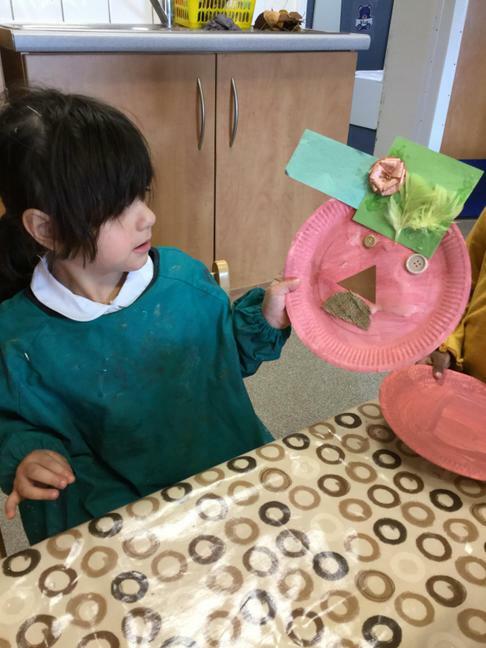 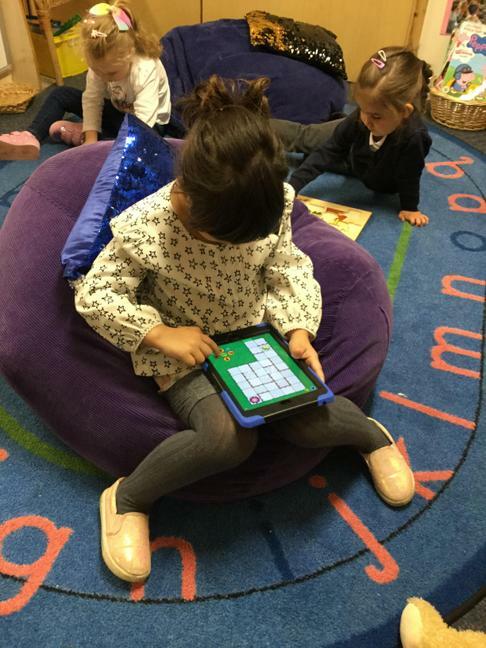 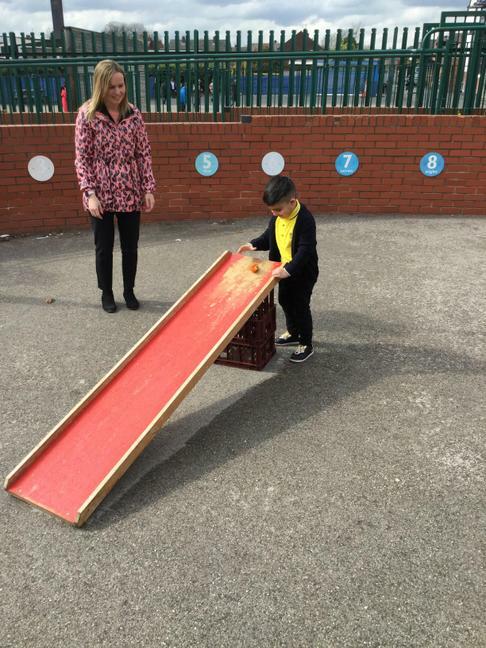 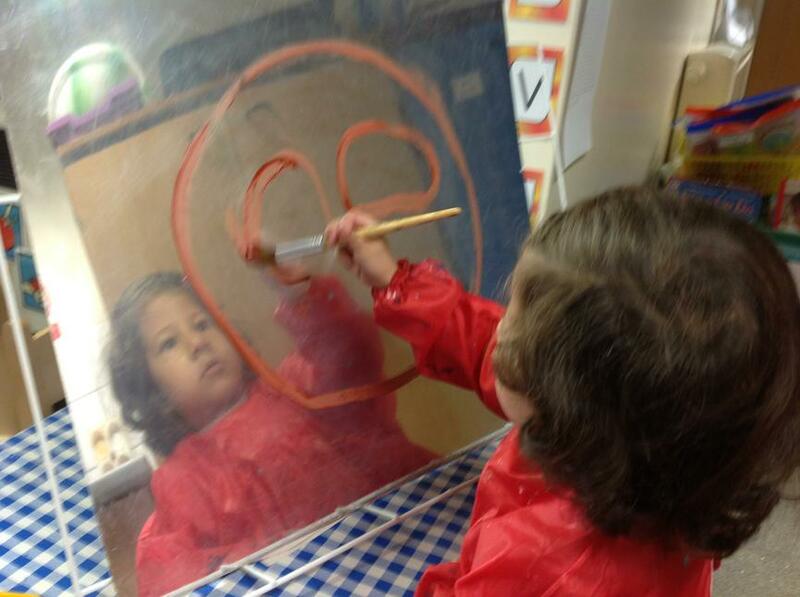 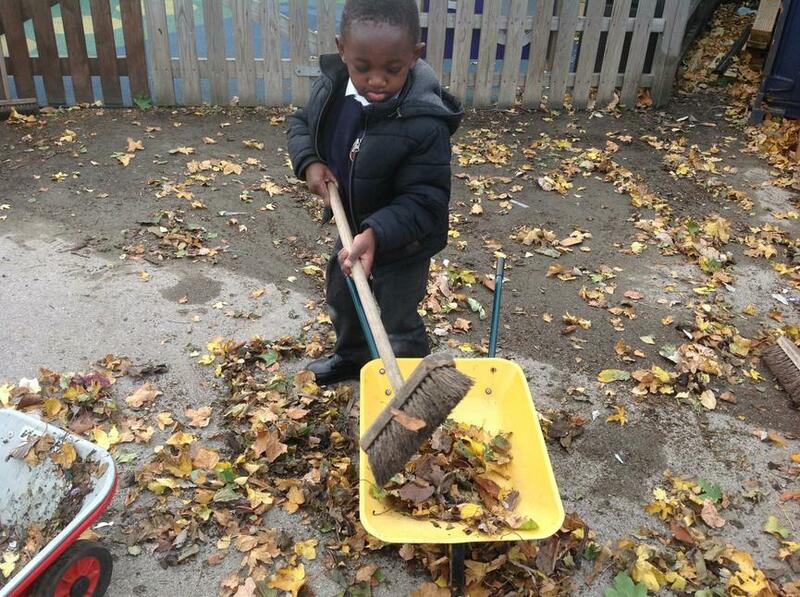 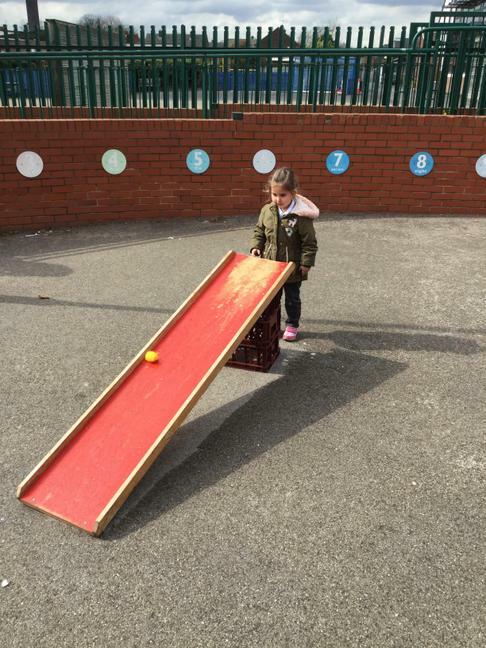 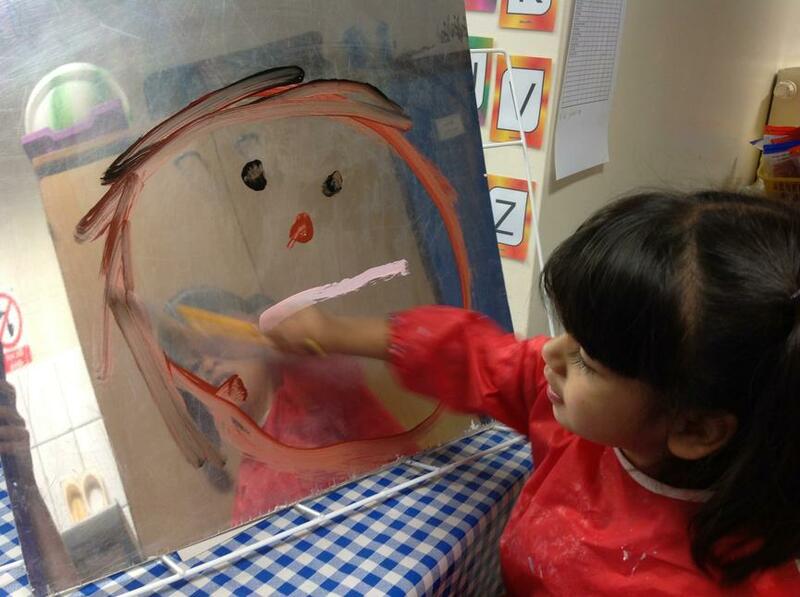 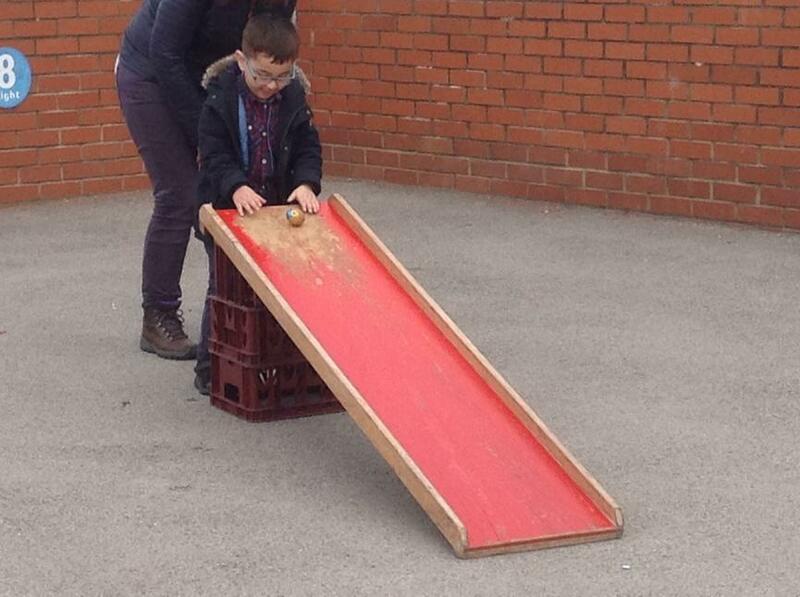 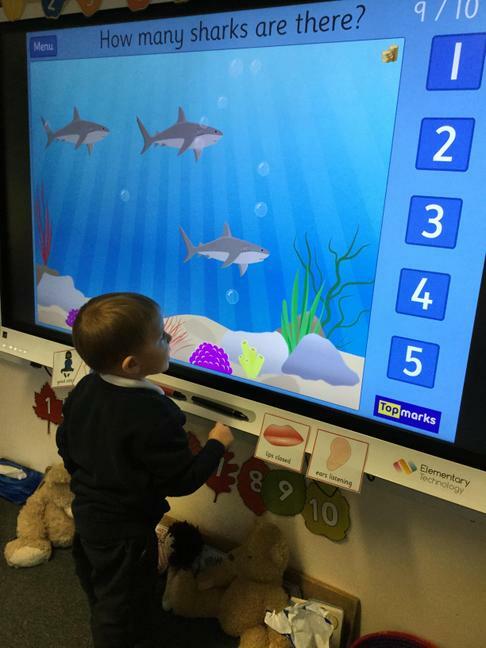 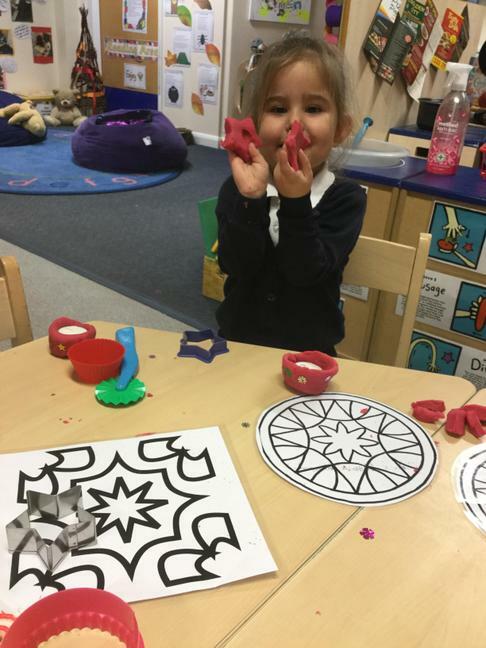 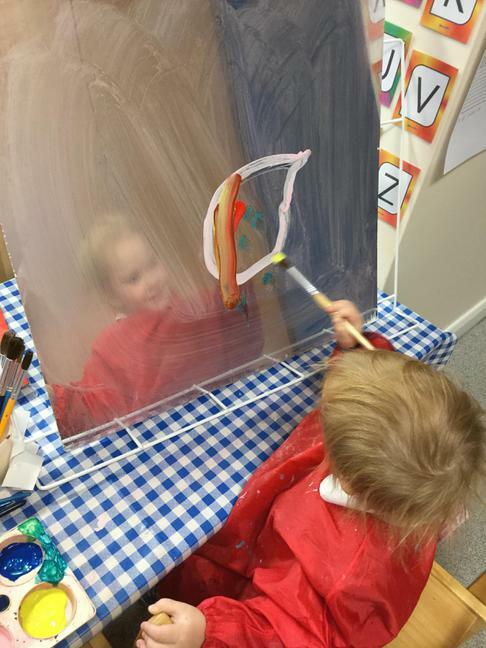 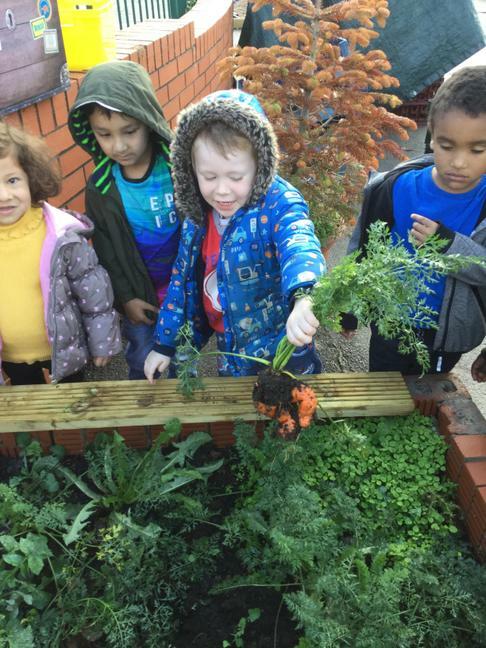 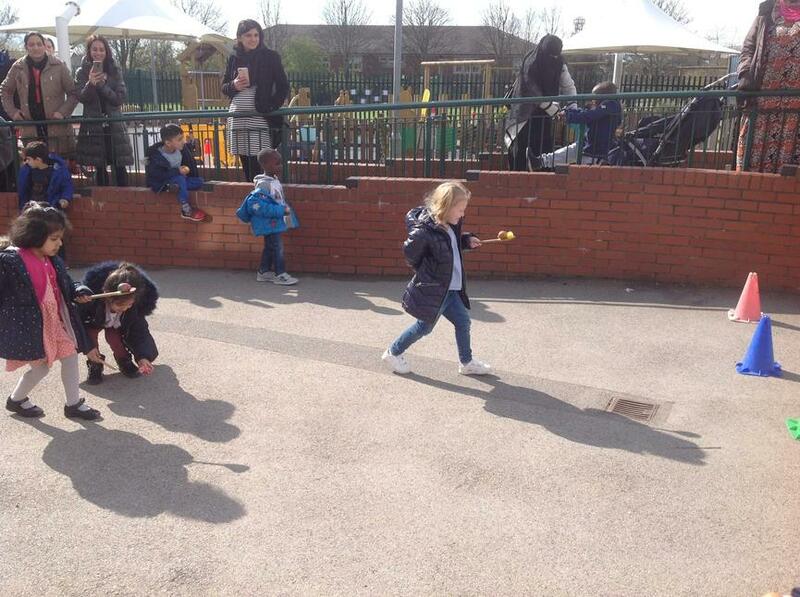 A big part of the learning in Nursery is based around the children's interests. 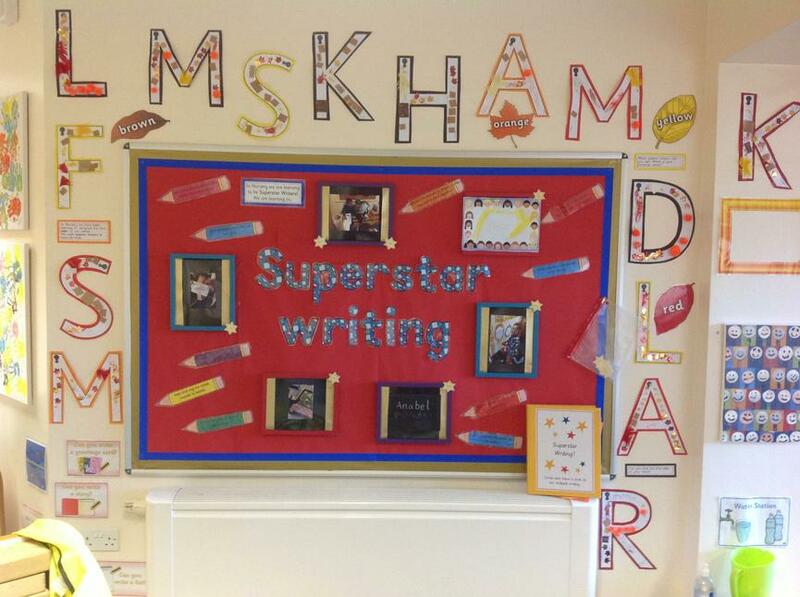 Please have a look below to see some recent examples. 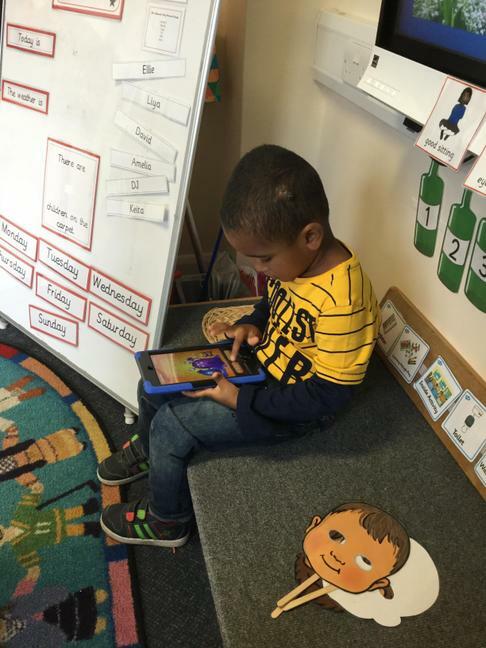 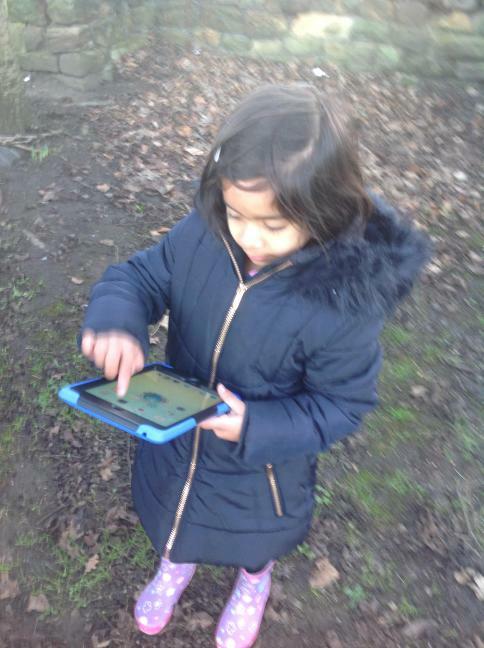 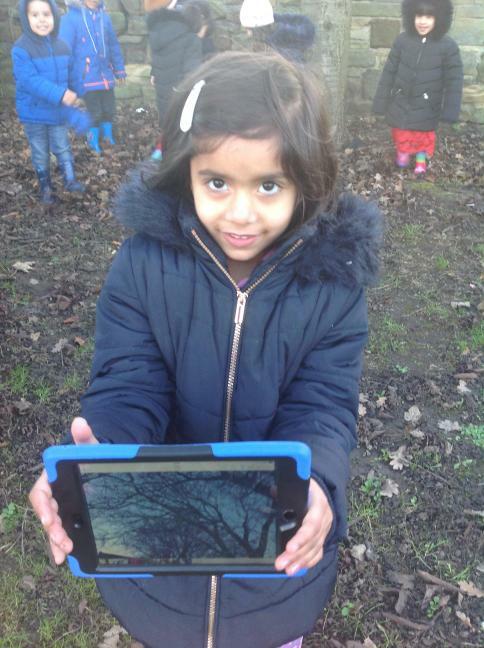 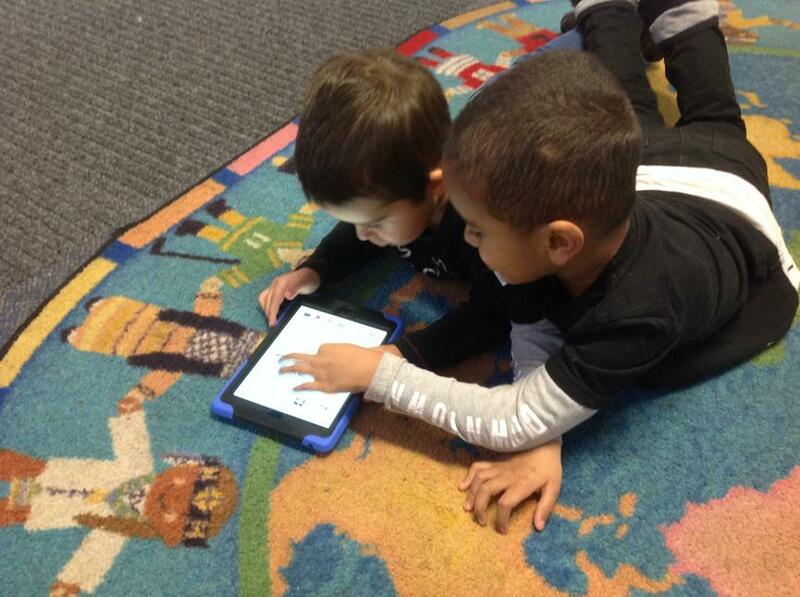 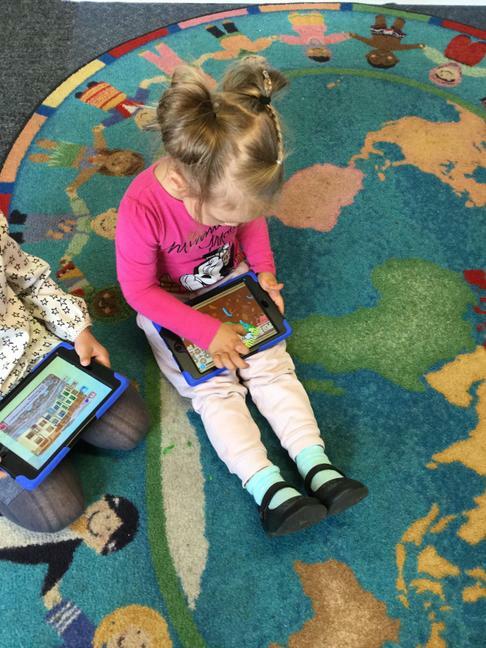 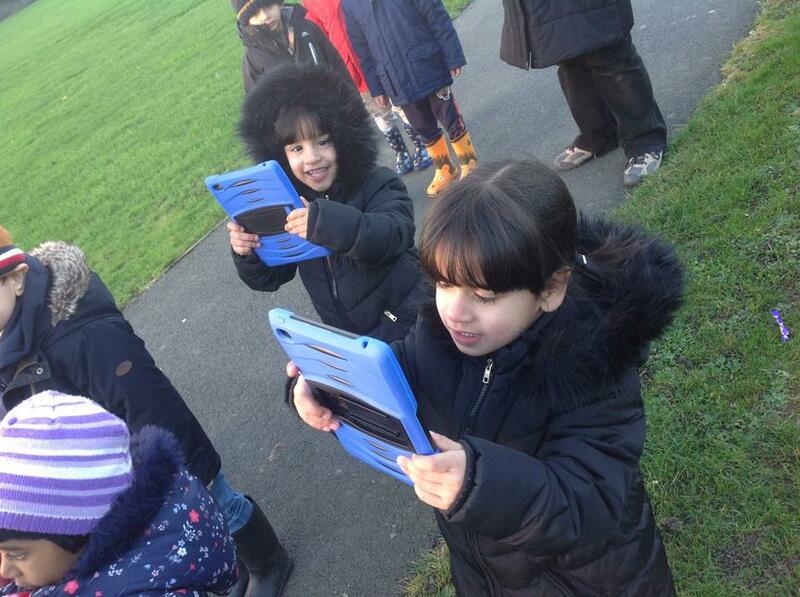 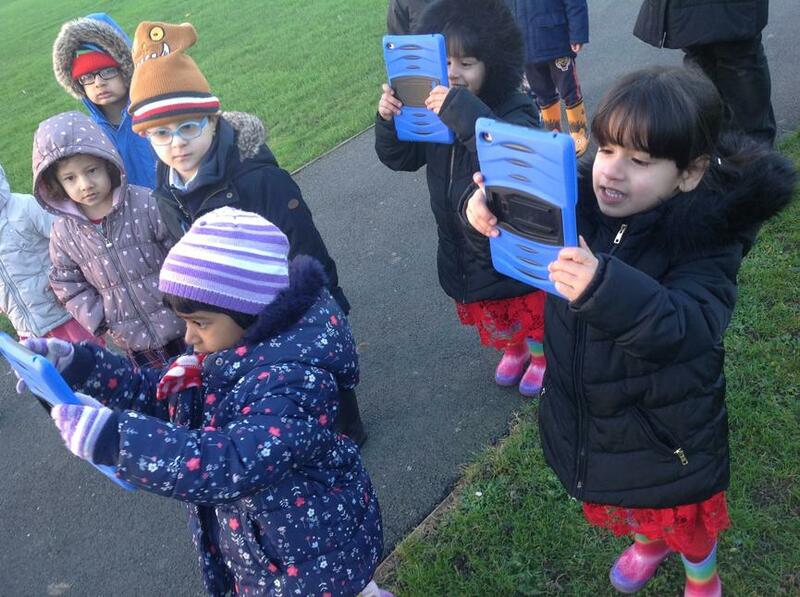 Internet safety story - using tablets. 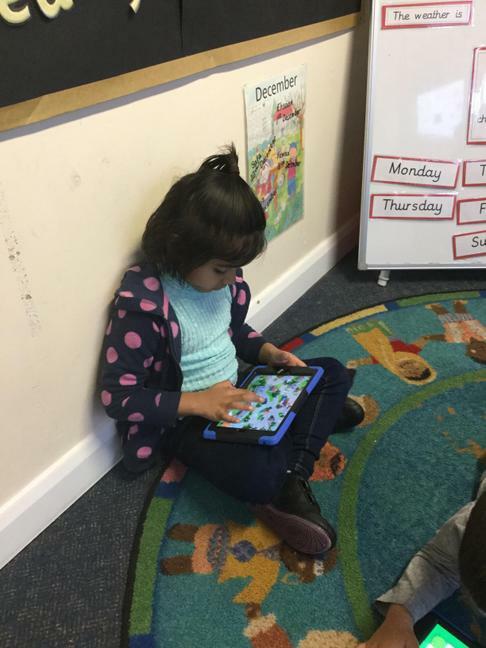 We talked about using our tablets safely. 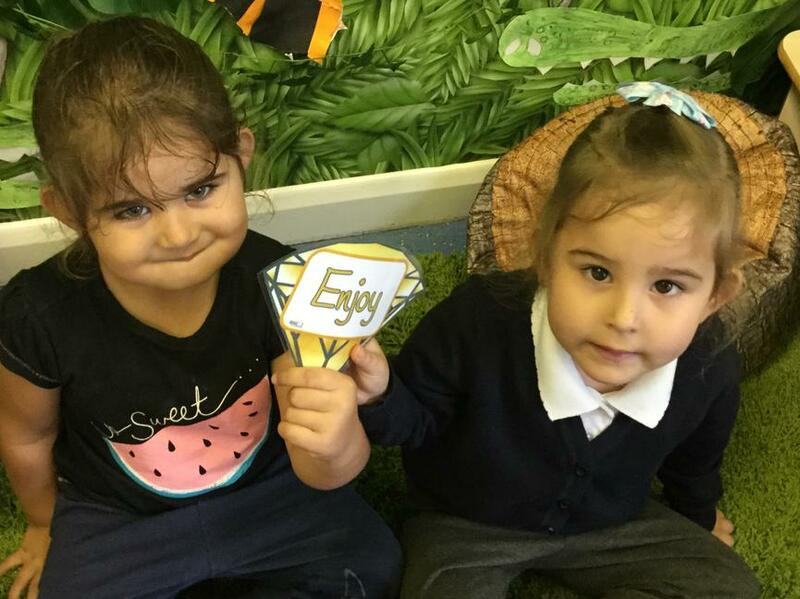 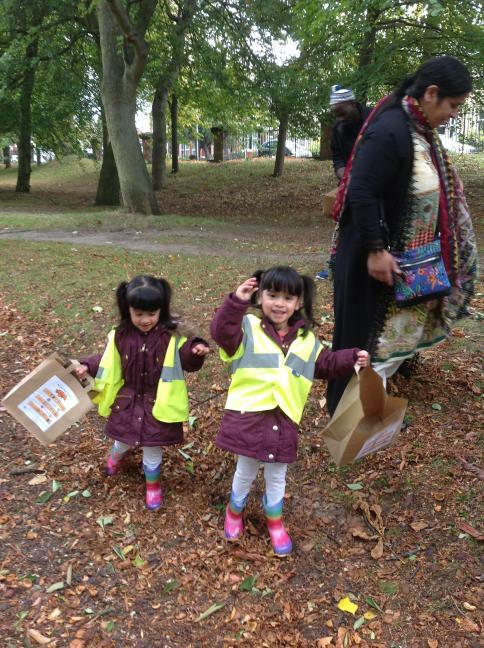 A link to a brilliant website for parents about learning in the Early Years. 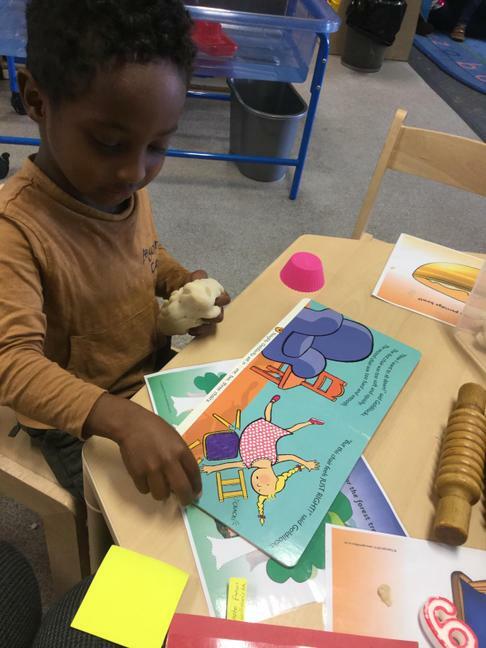 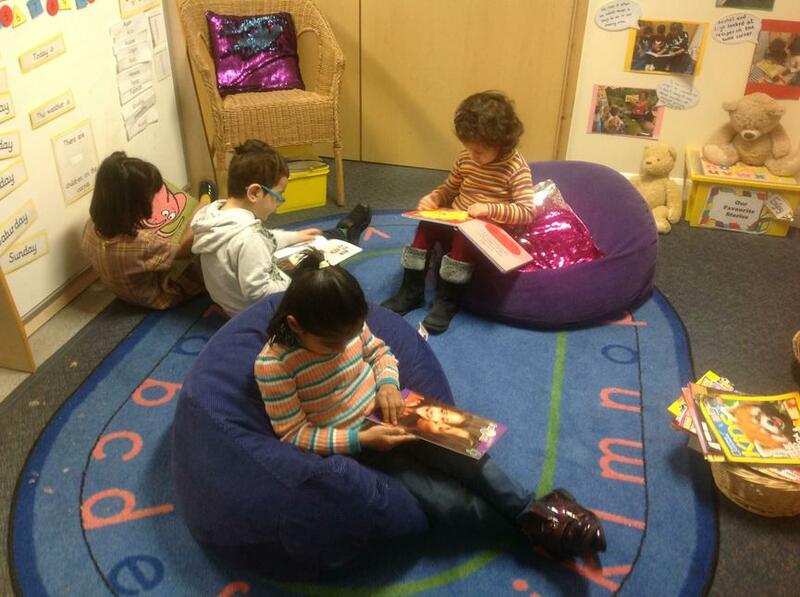 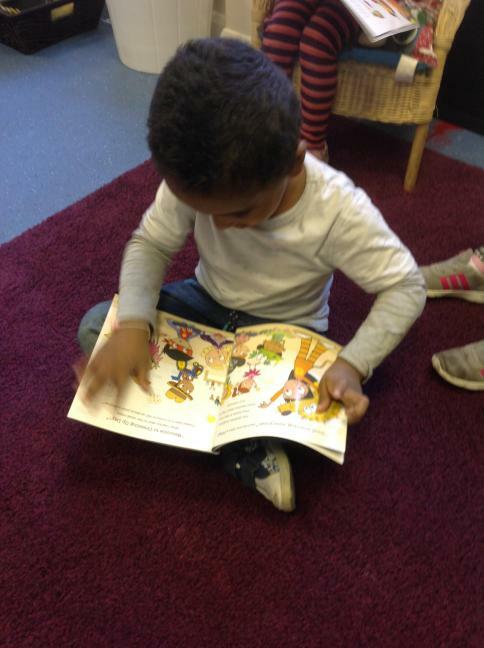 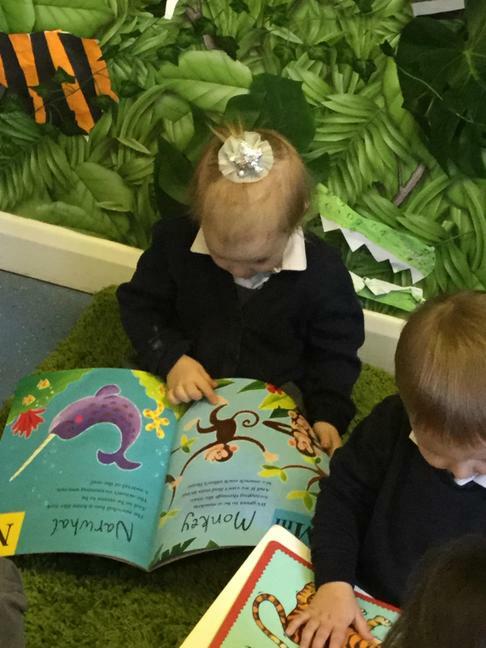 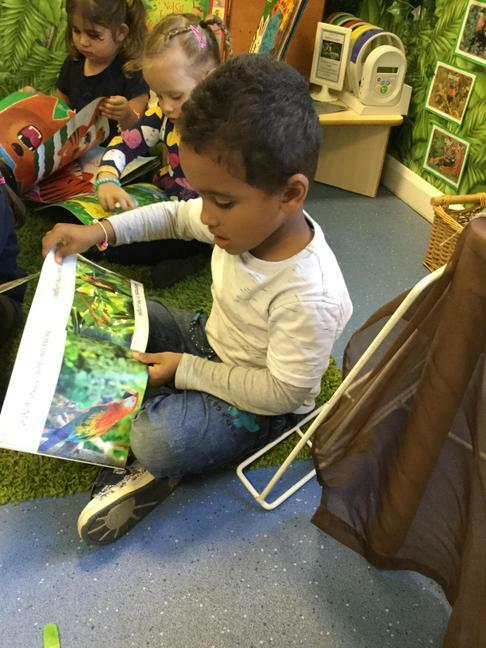 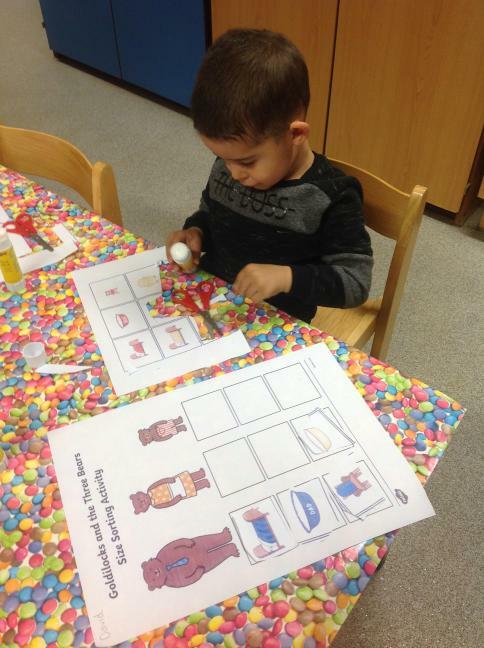 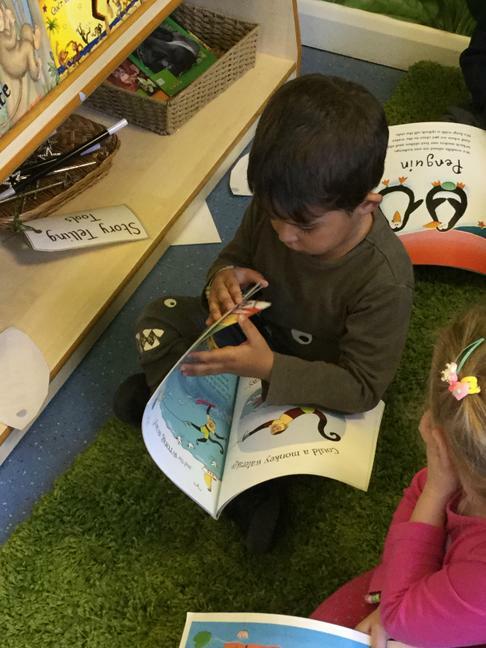 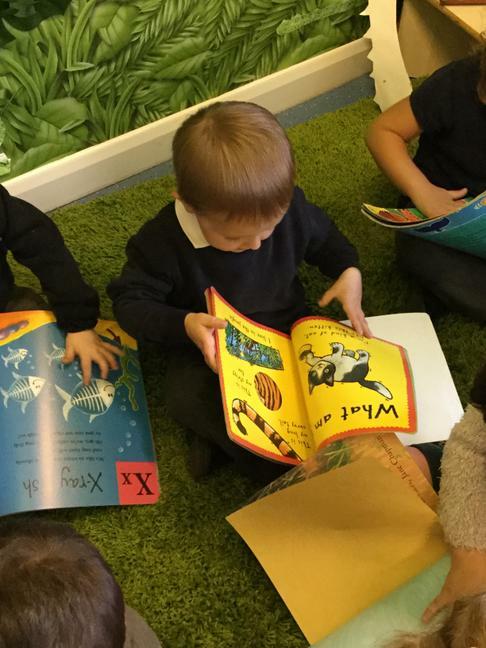 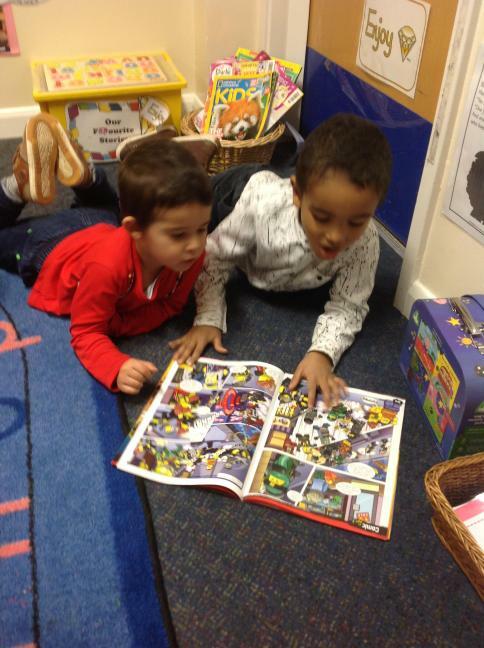 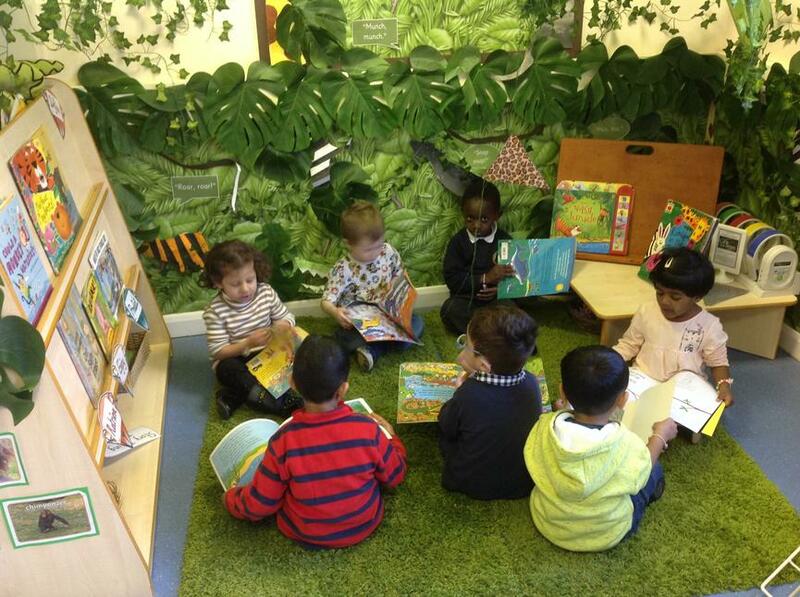 The Library in Nursery will be open every week. 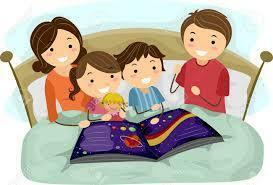 Please take time to help your child pick a book or game that they would like to read/play at home. 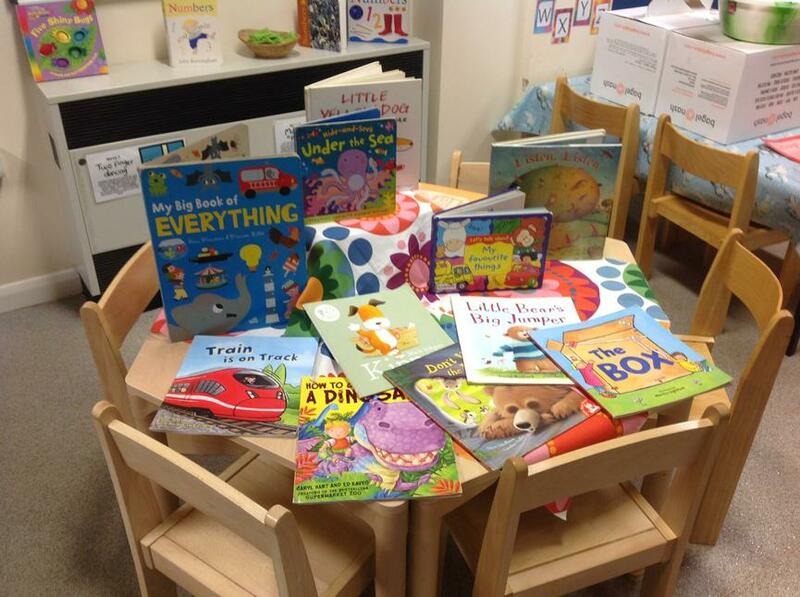 You can borrow books every week and bring them back to swap every Tuesday. 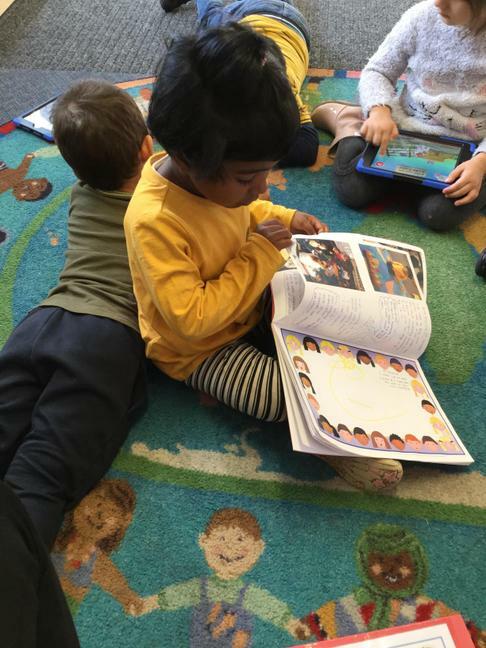 Your child will each have their own reading passport, where we will keep a record of all the different books you have shared with your child. 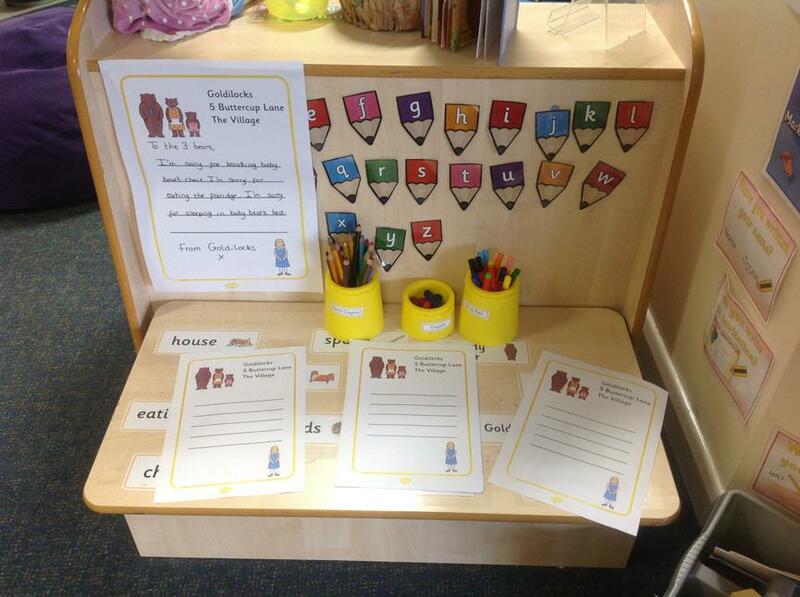 If you've any questions or if you would like to be involved in helping to run our library please speak to your child's key person. 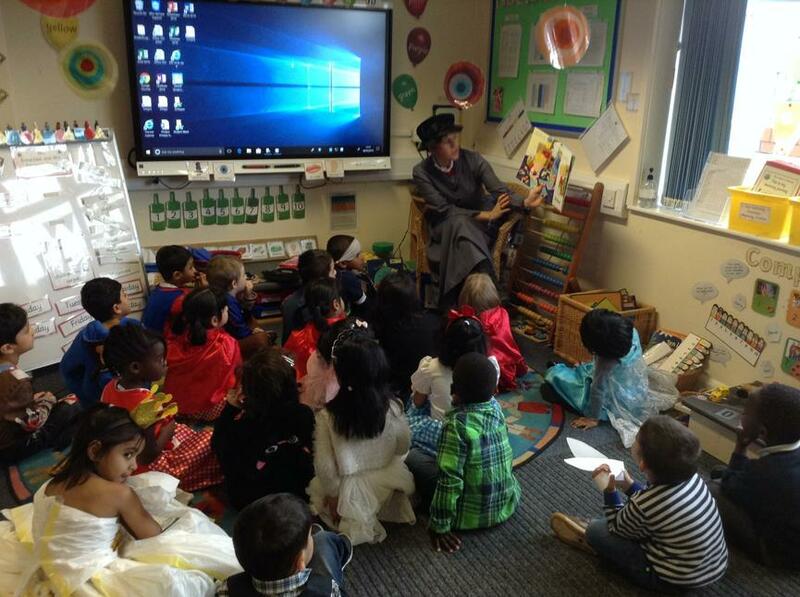 After February half term we took part in the whole school book week. 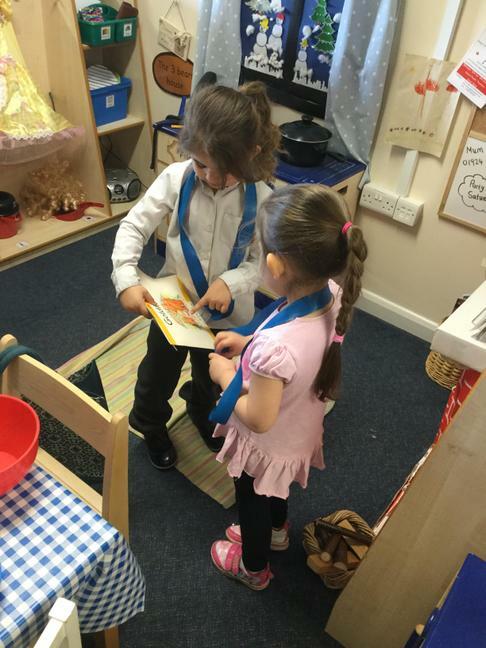 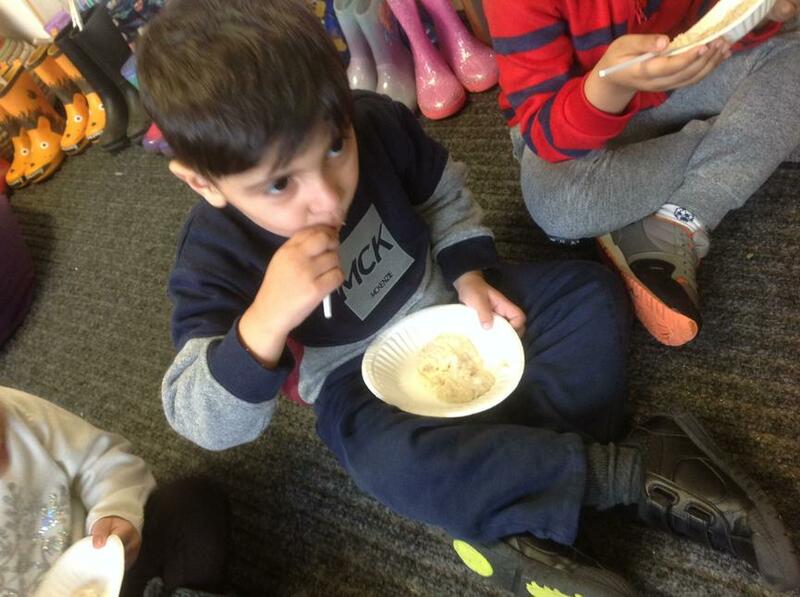 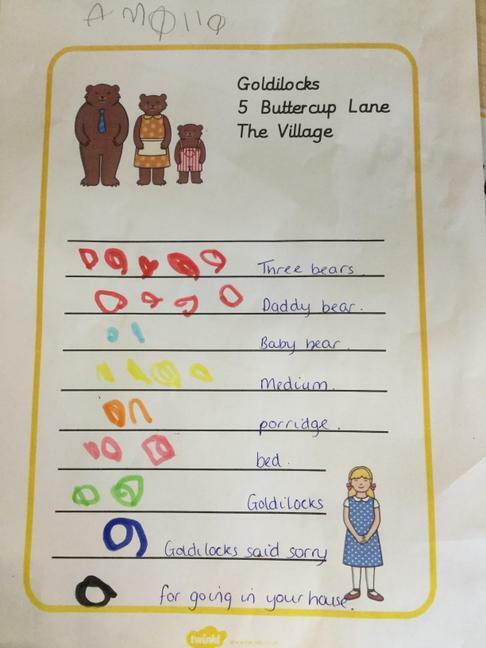 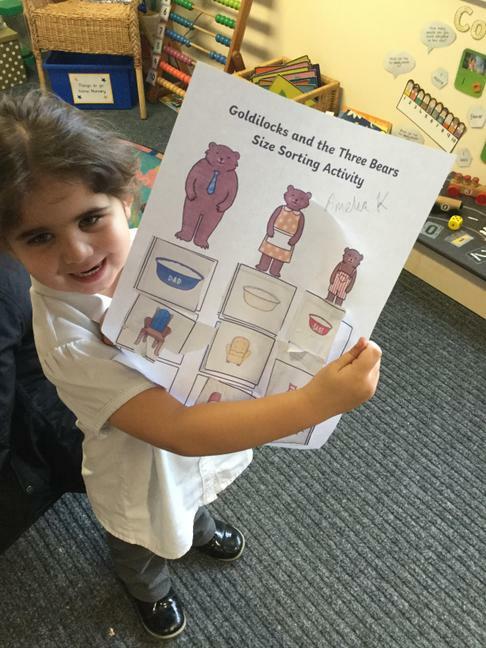 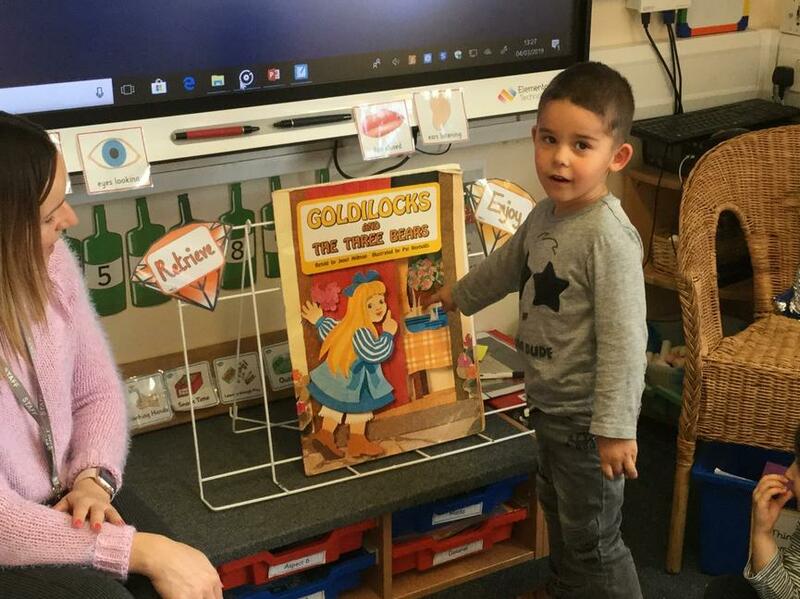 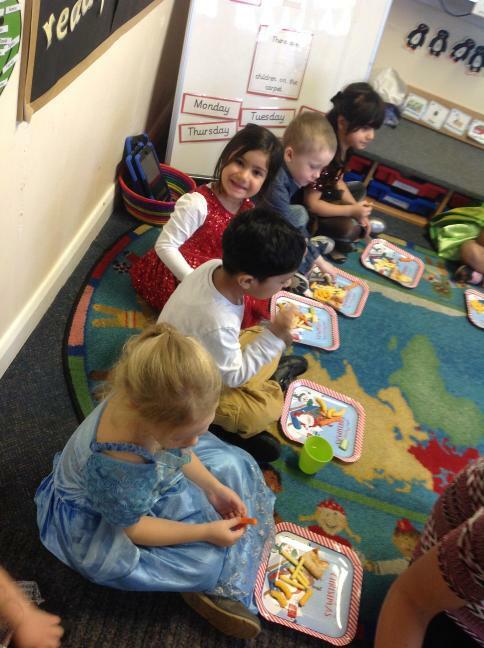 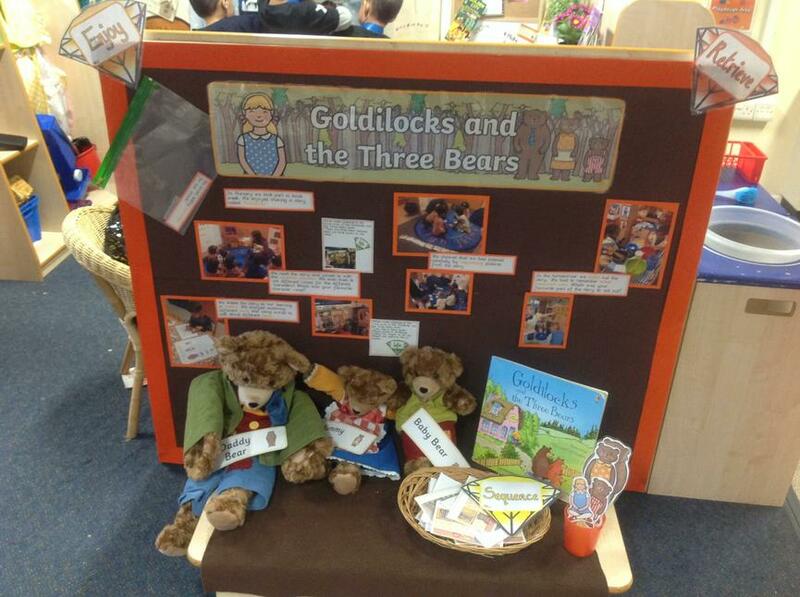 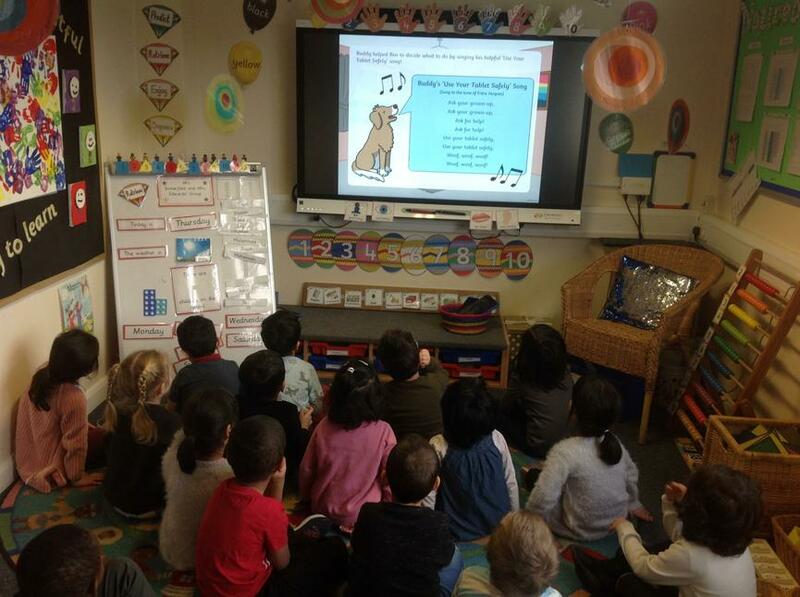 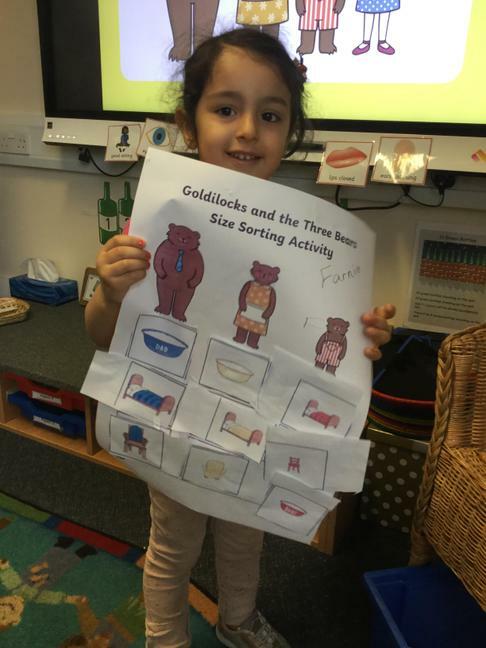 In Nursery we shared a traditional tale 'Goldilocks' - the children helped us decide which one! 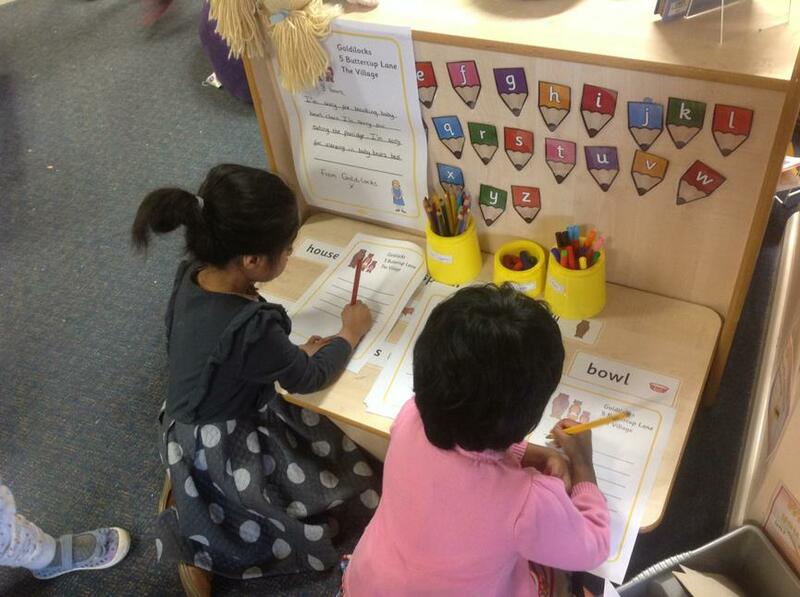 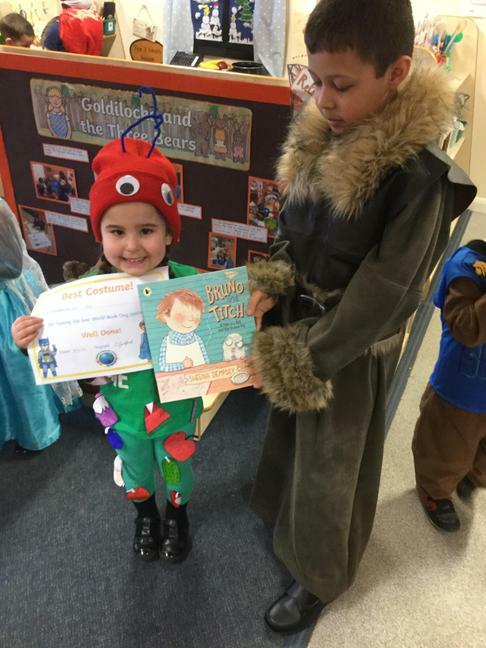 There were lots of ways for families to get involved in book week this year. 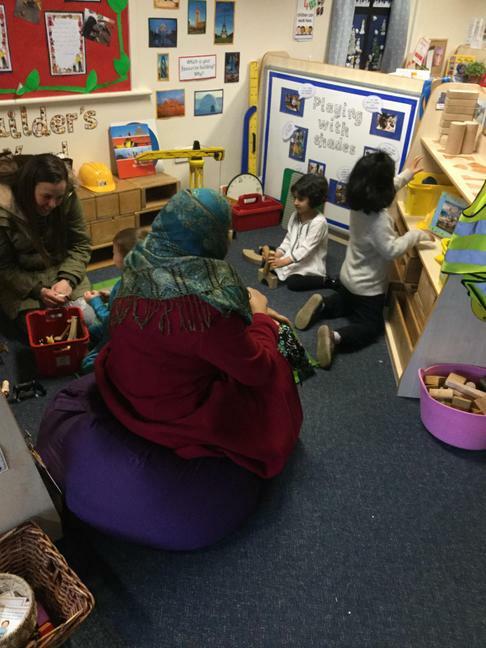 There was an 'open classroom' session on Wednesday 6th March - an opportunity for parents to come into school and take part in our learning. 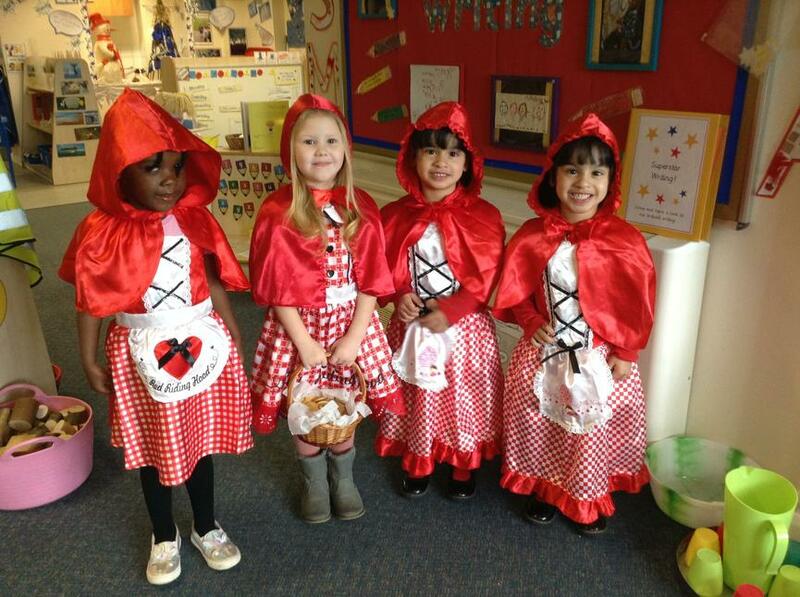 The week finished with 'character day'. 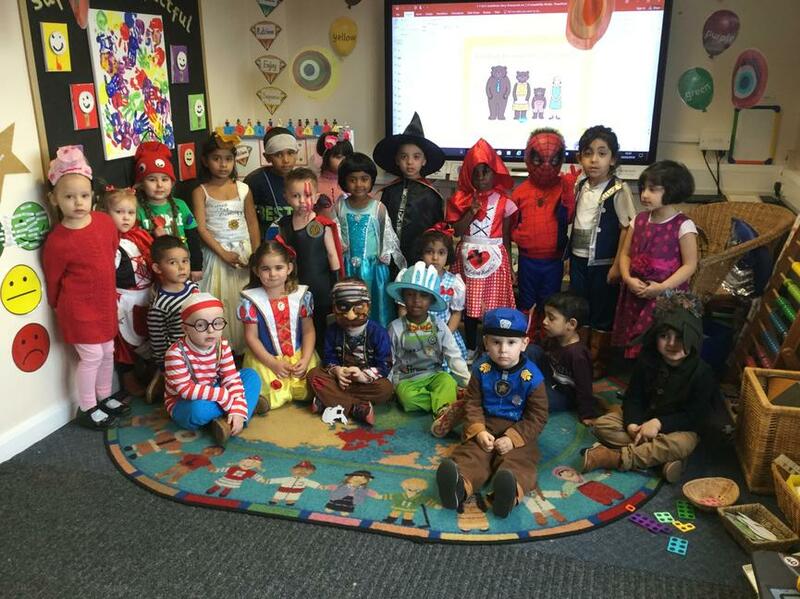 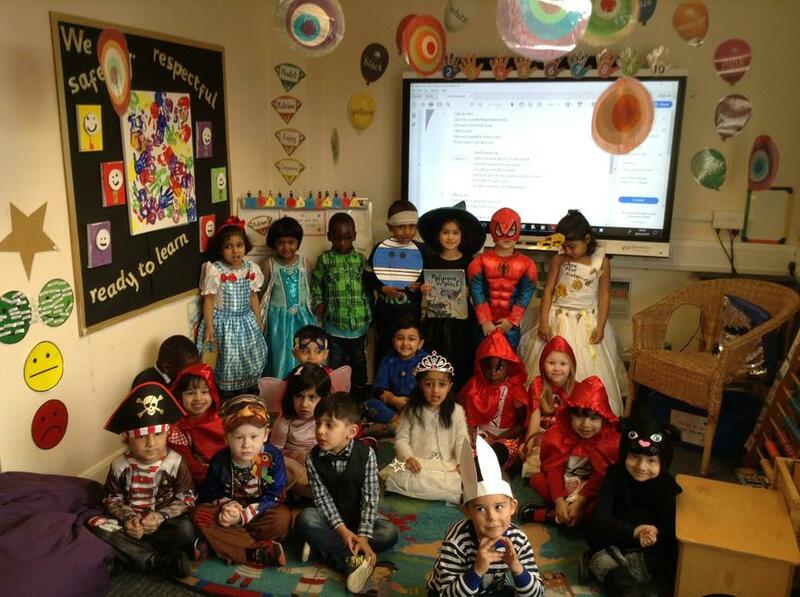 All children were asked to dress up as a character from a book. 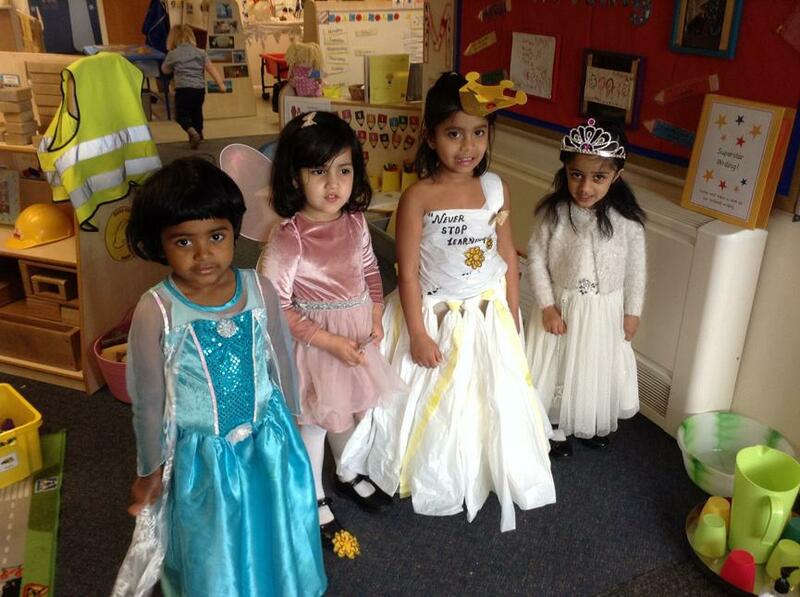 This year we were looking for homemade outfits! 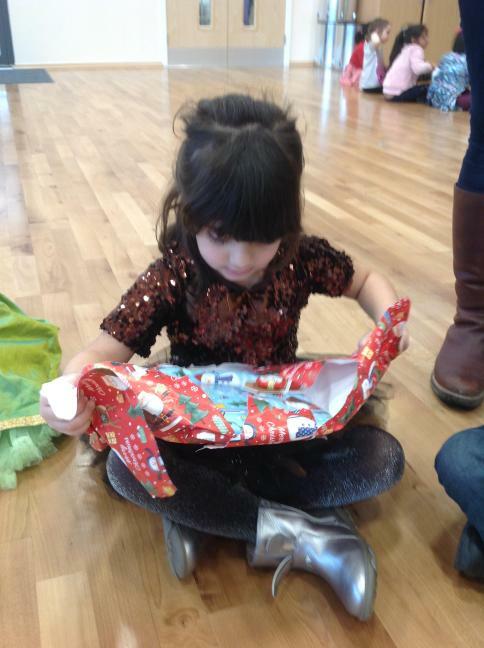 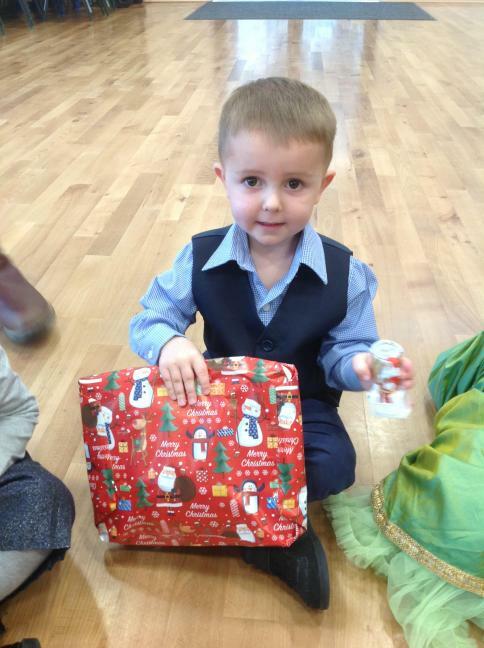 There were prizes for the best dressed! 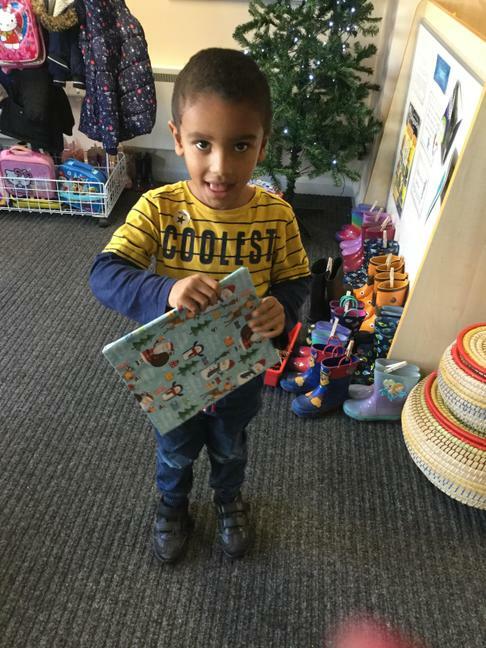 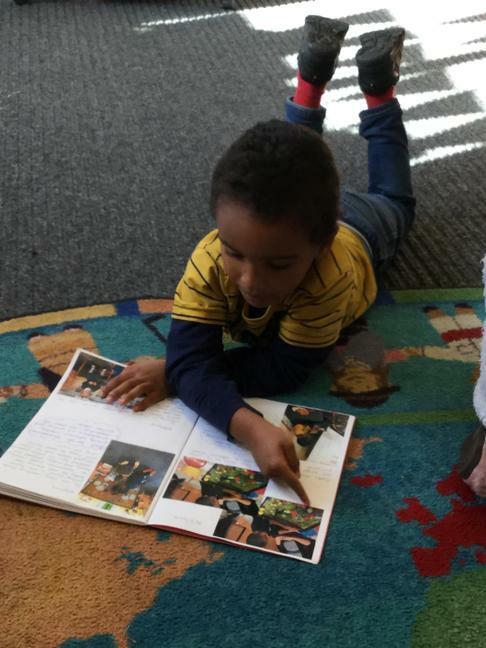 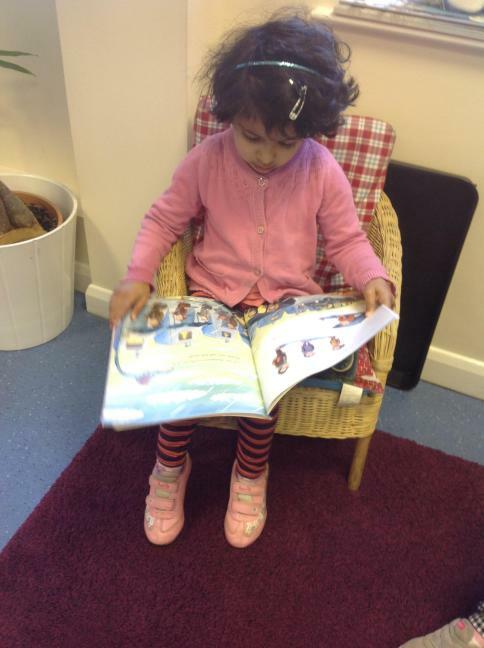 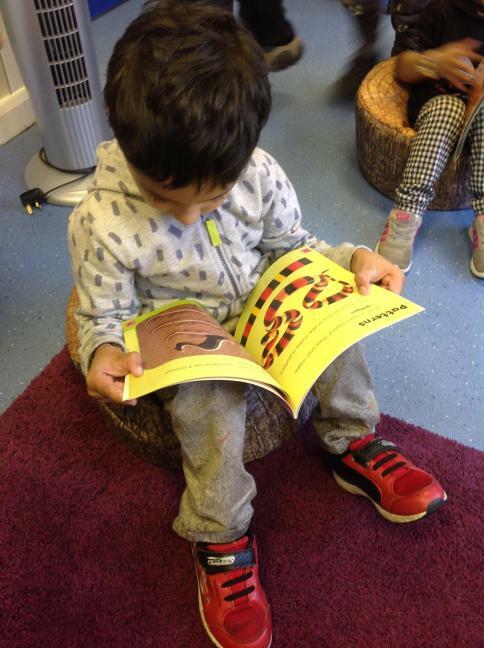 We also love sharing books at home.... have a look at the brilliant photos the children have sent in! 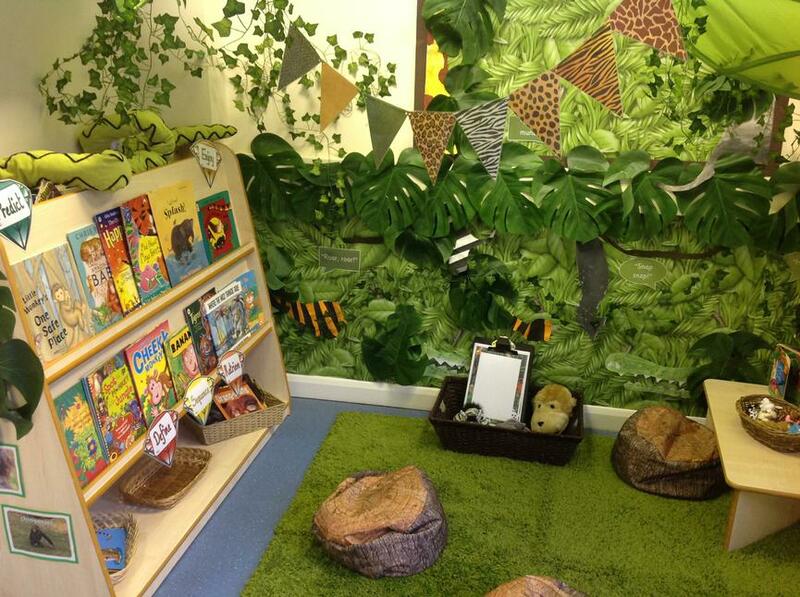 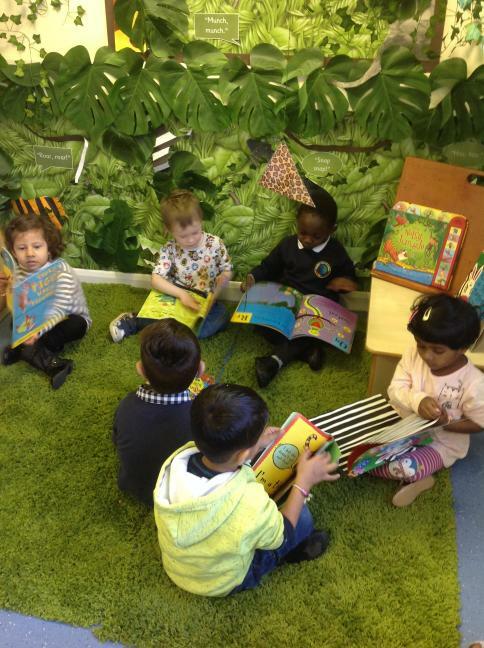 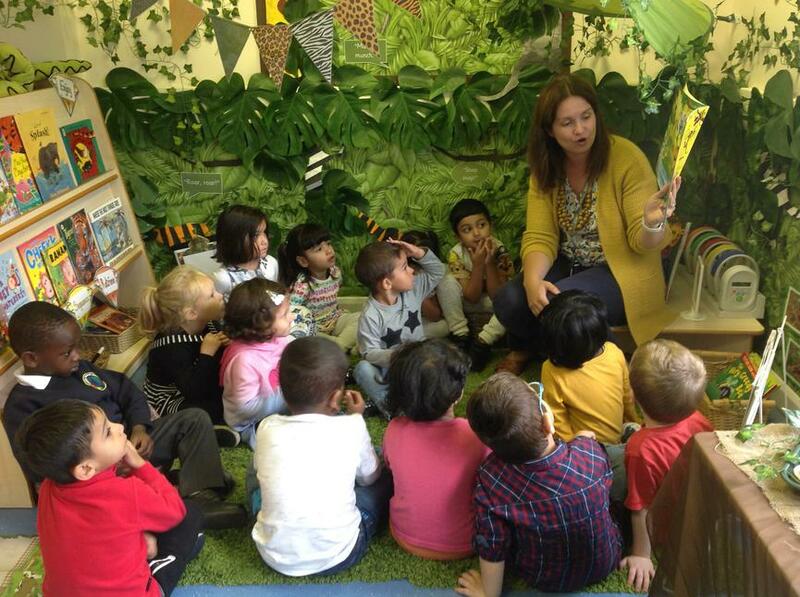 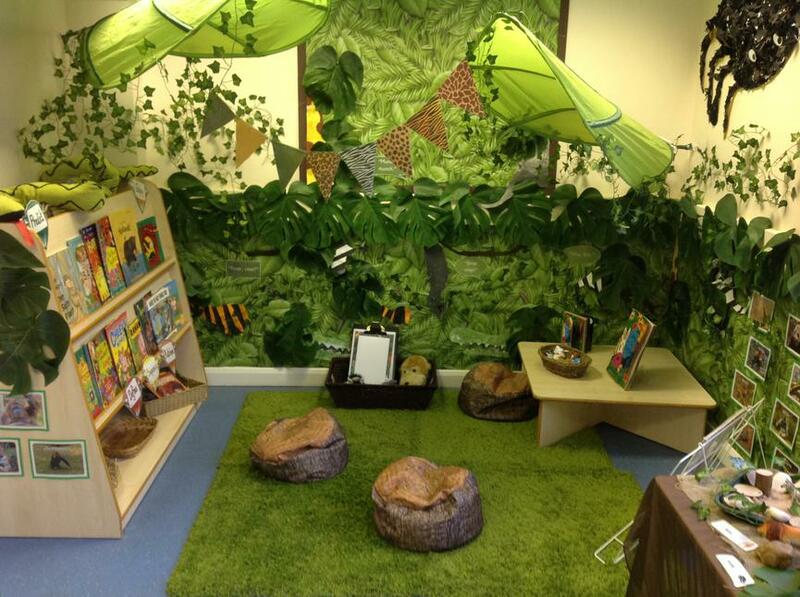 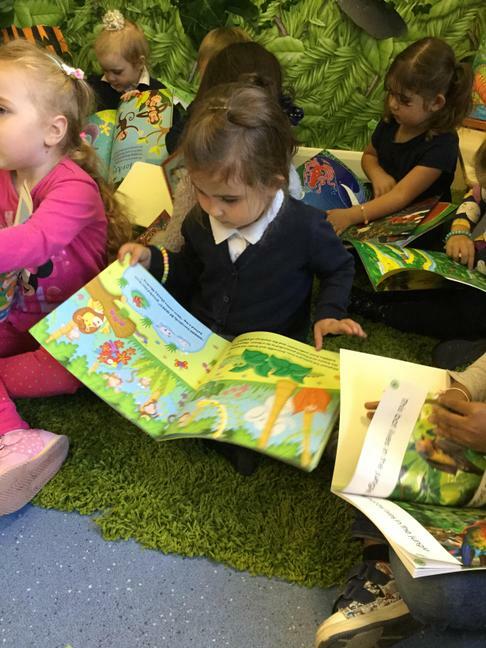 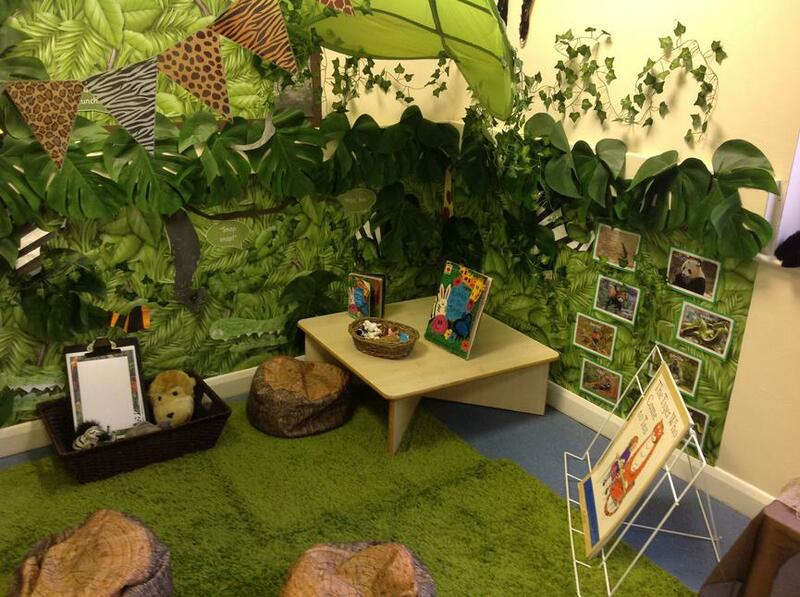 Come and get lost in a book in our new reading jungle! 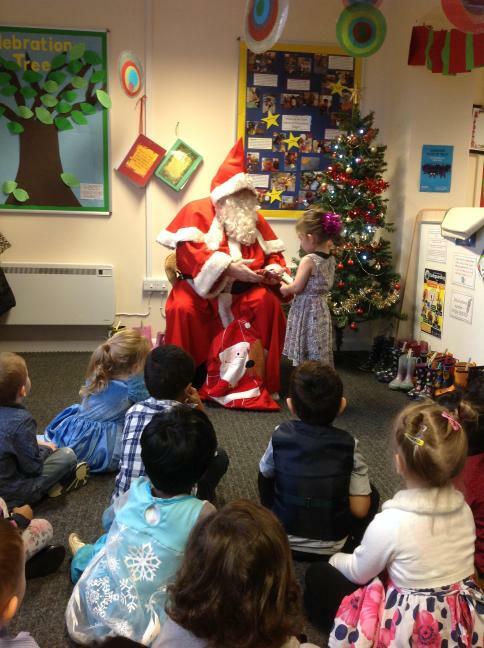 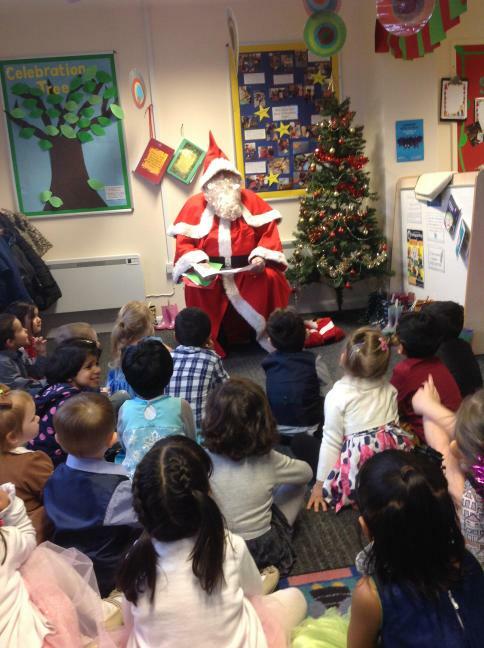 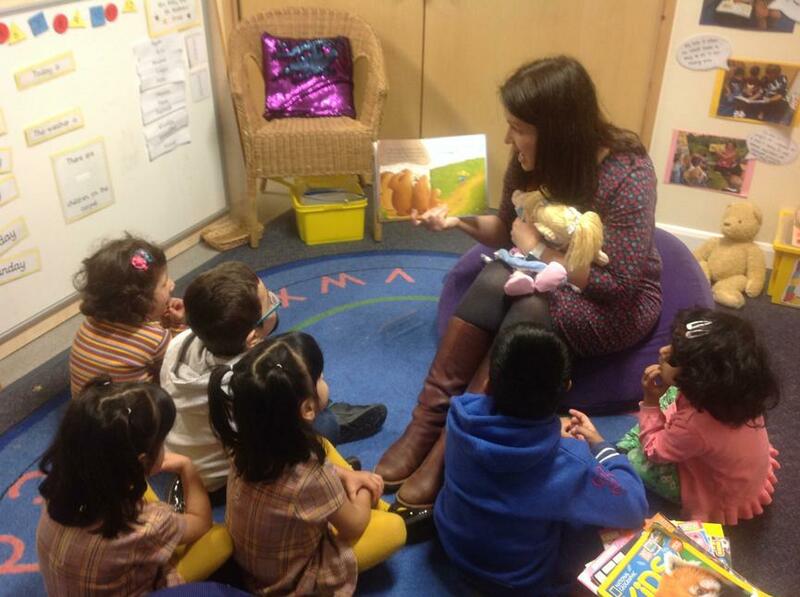 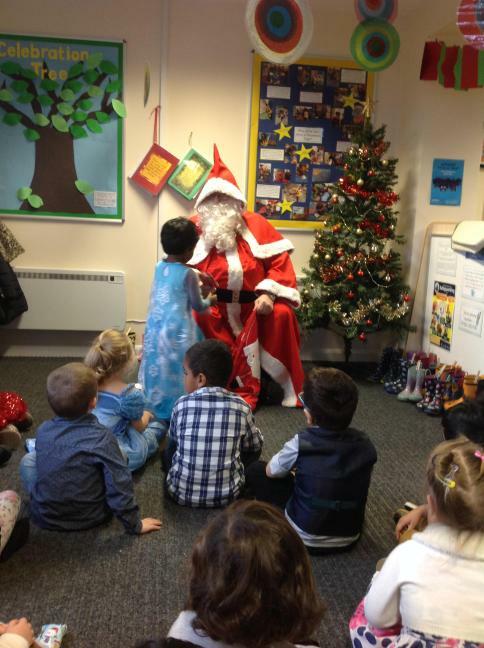 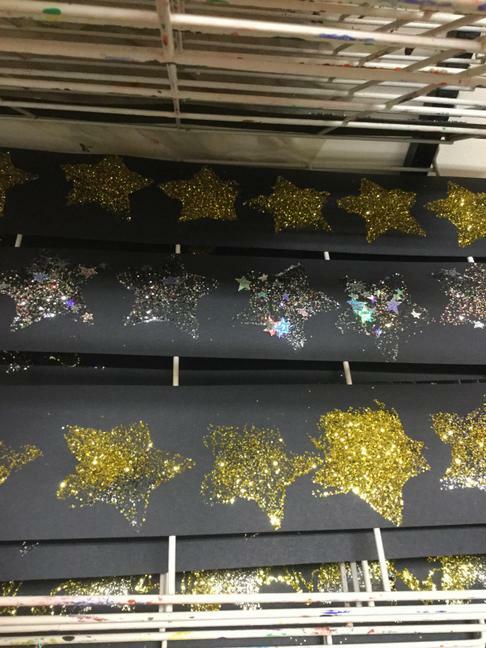 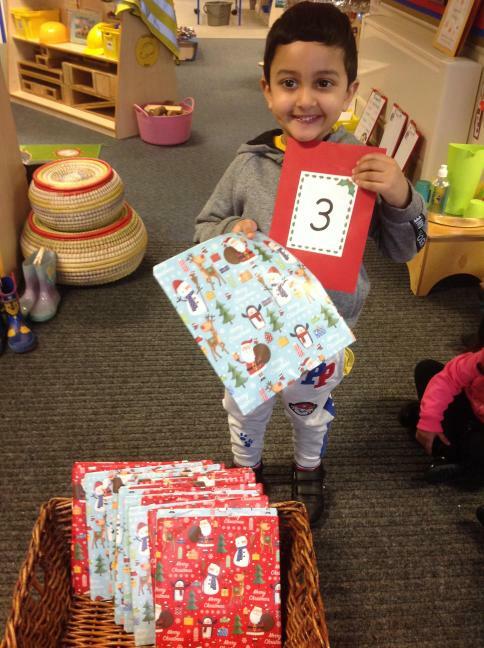 In January we hosted our first bedtime story event after school. 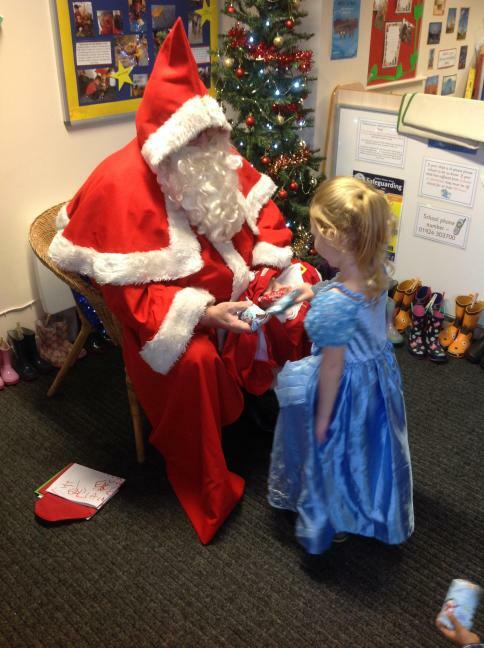 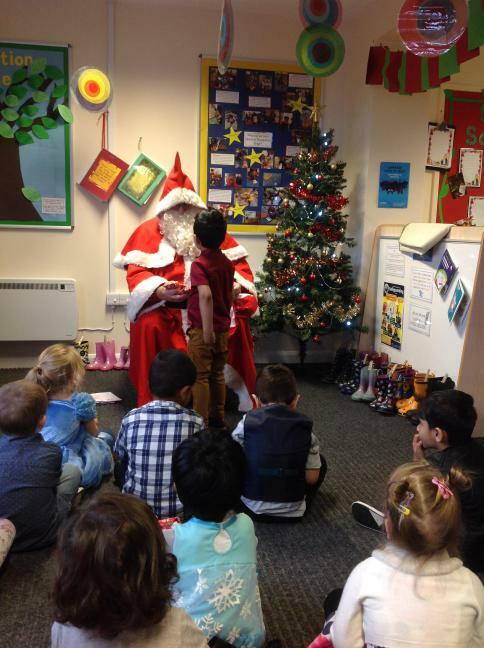 It was a great success - the staff, parents and children really enjoyed sharing stories in their pyjamas! 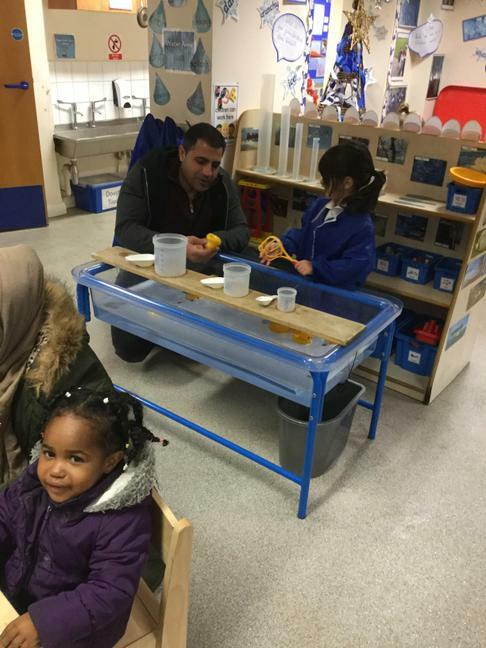 A big thank you to all the families who were able to come. 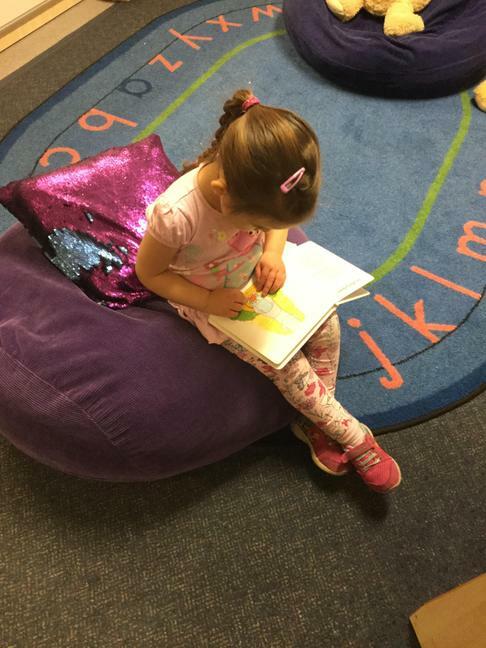 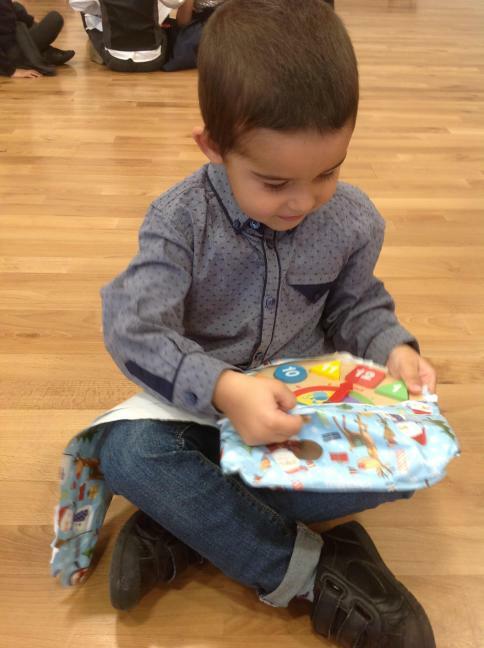 Click on the link to see some photos from our recent bedtime story event! 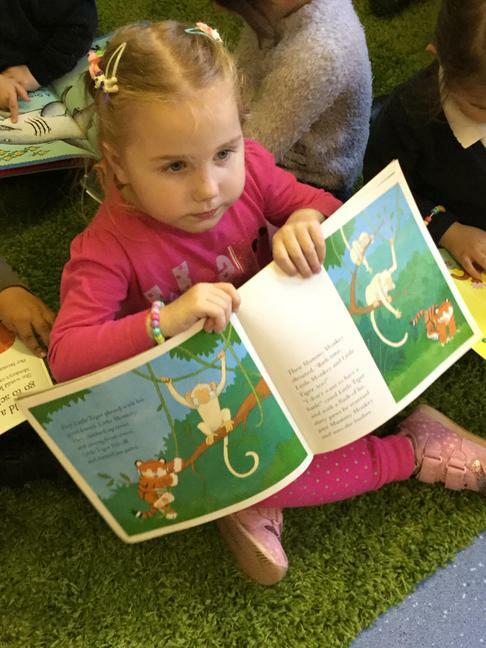 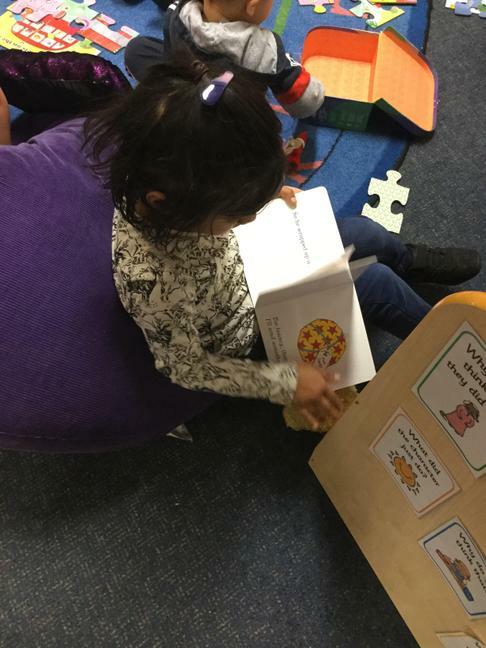 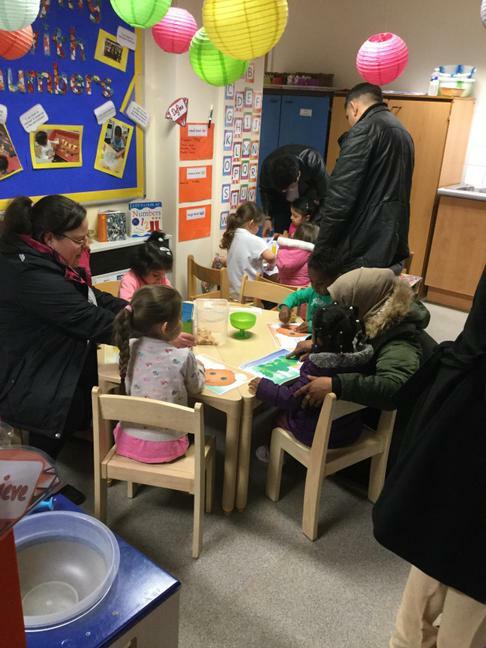 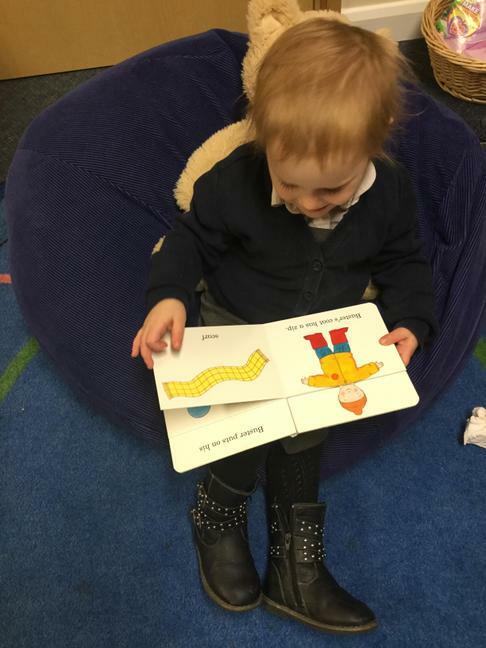 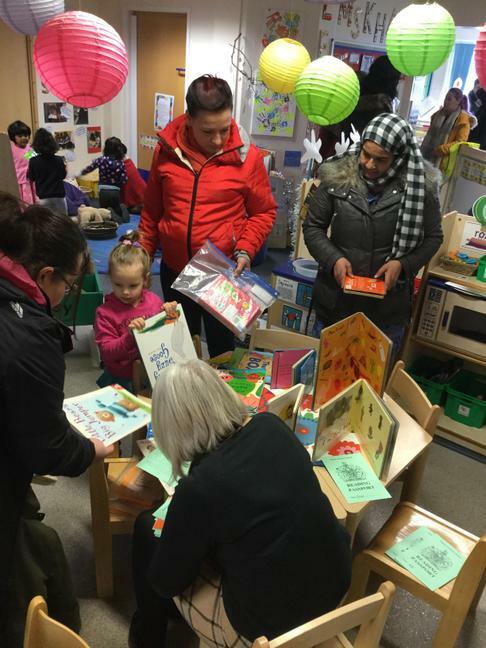 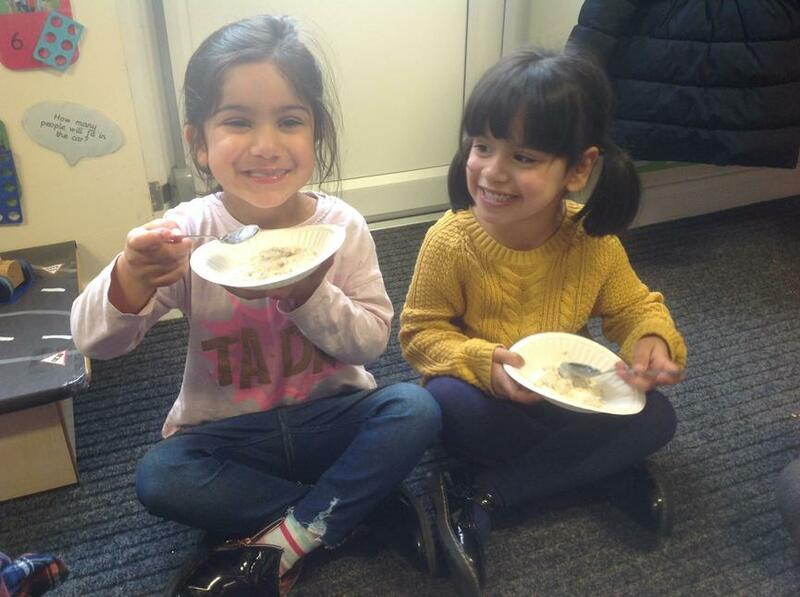 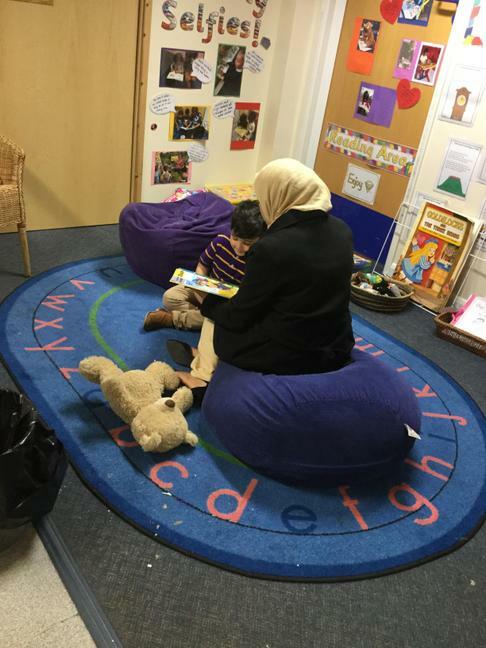 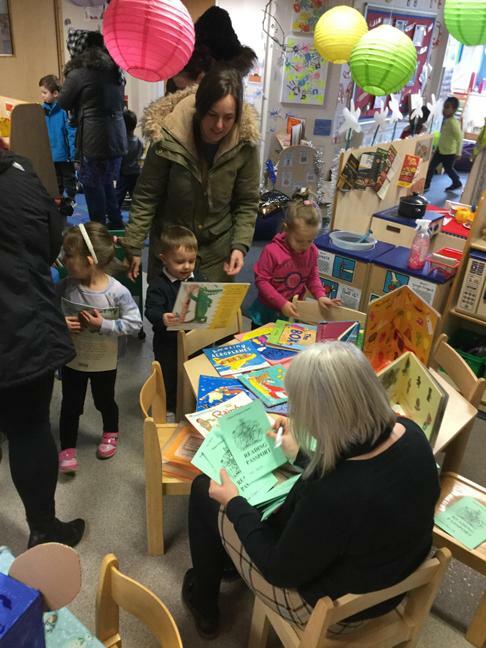 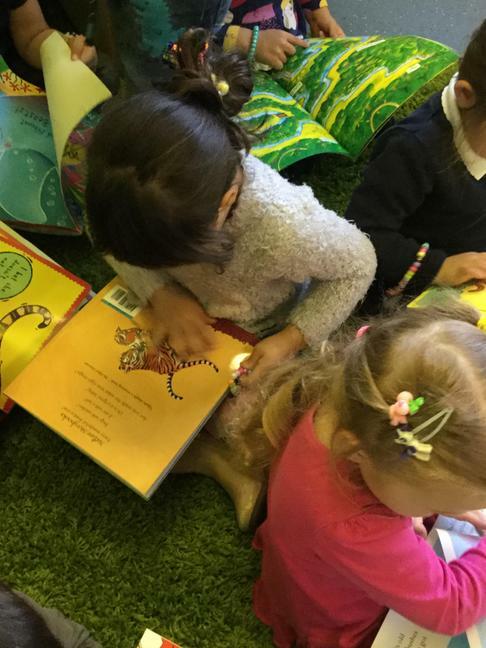 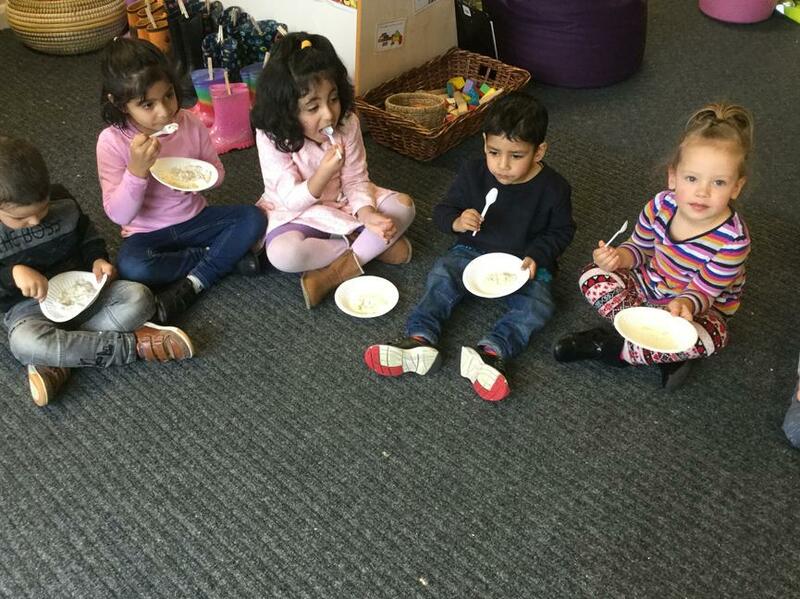 In January children from Nursery and Reception were invited back after school to enjoy hot chocolate and bedtime stories with their parents. 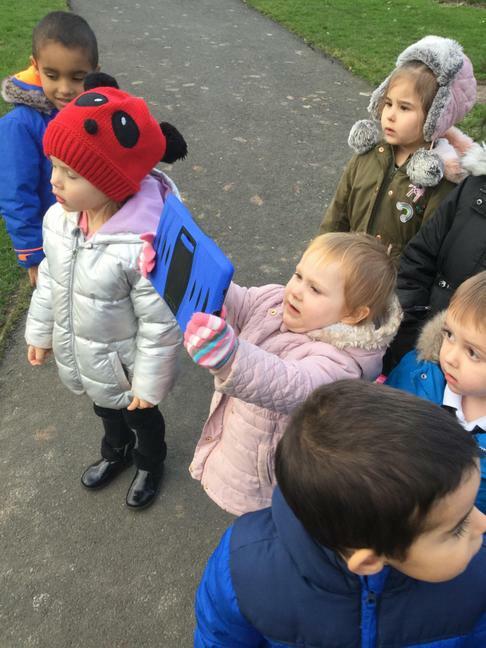 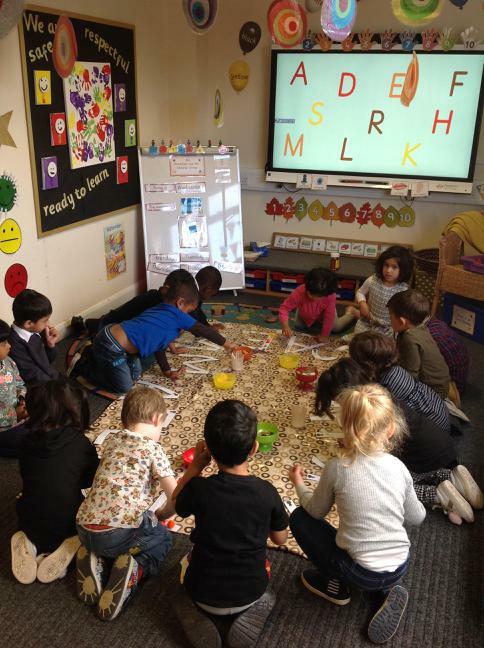 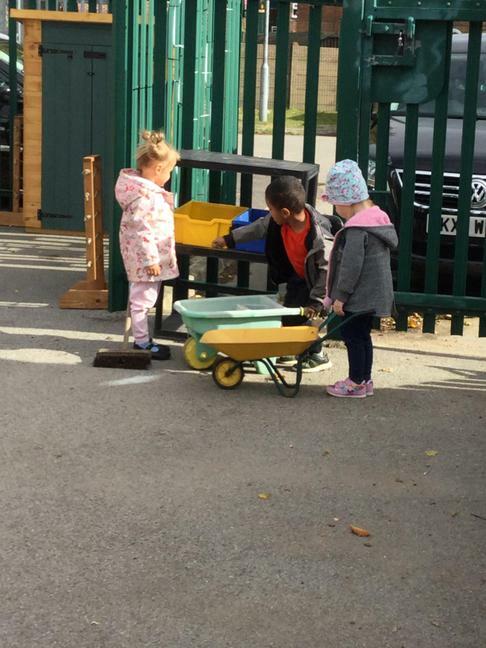 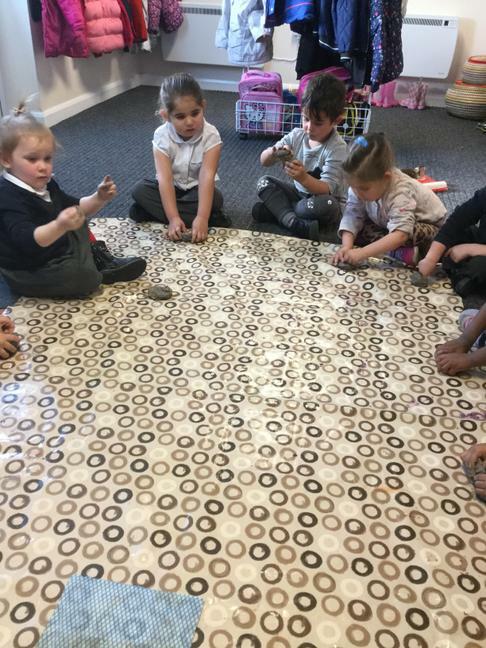 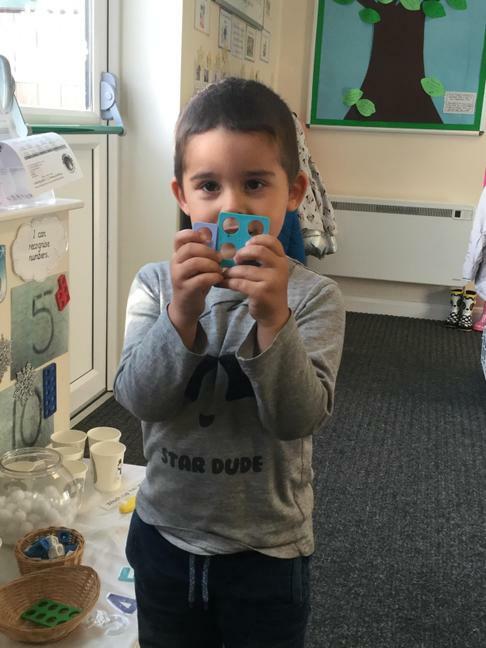 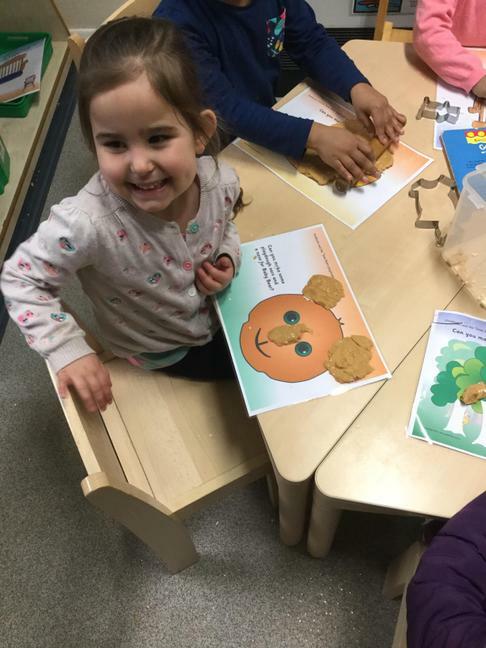 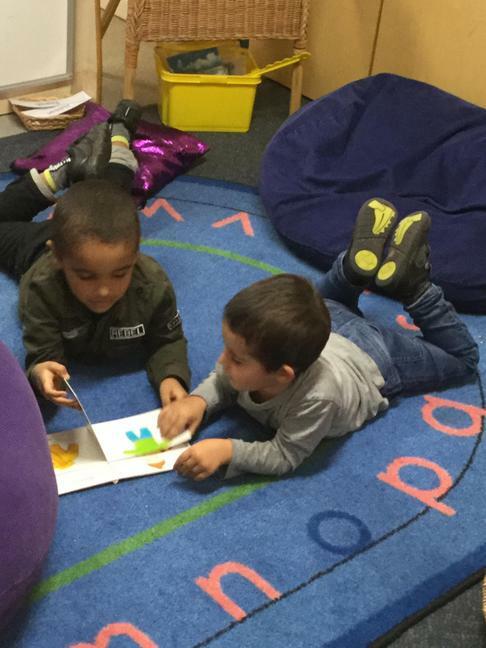 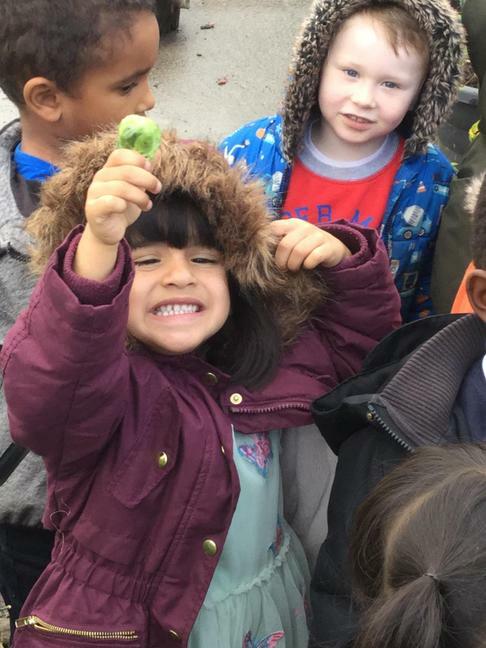 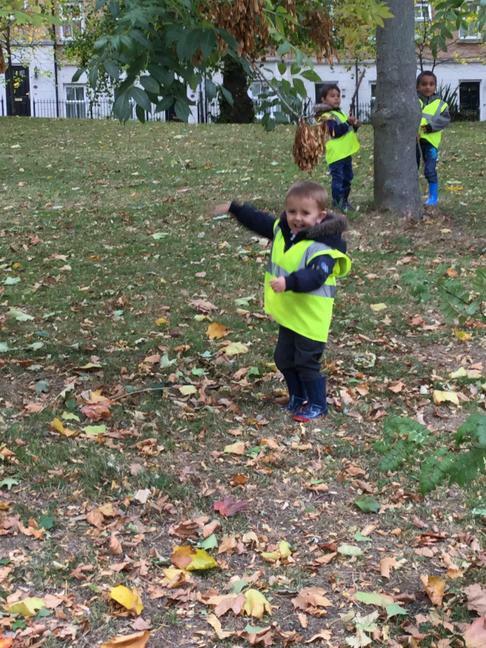 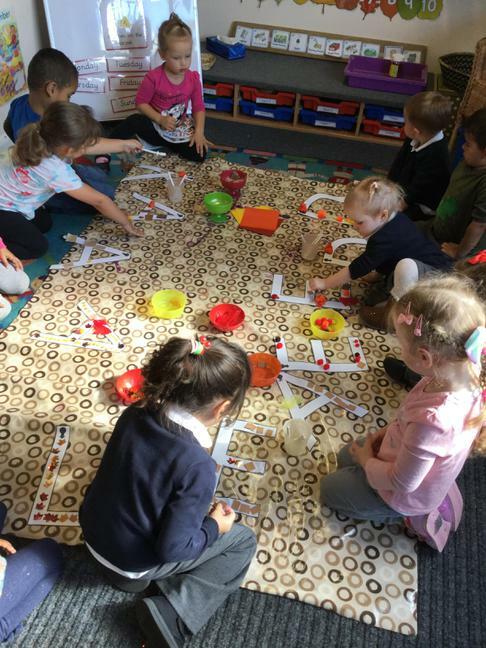 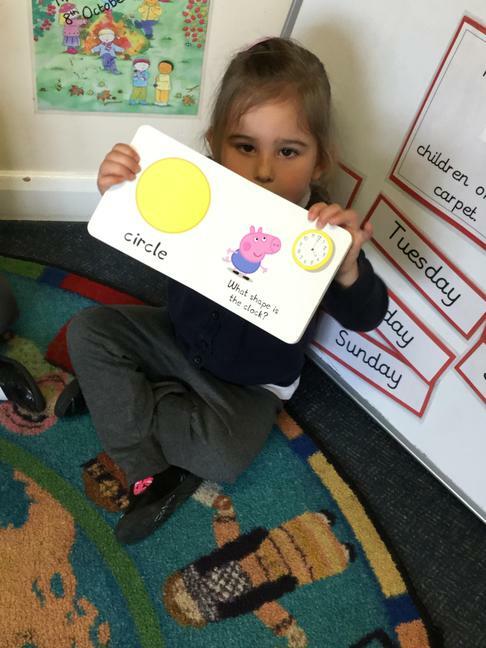 At the start of the autumn term the children in Nursery spent the first few weeks getting to know each other, the teachers and our classroom. 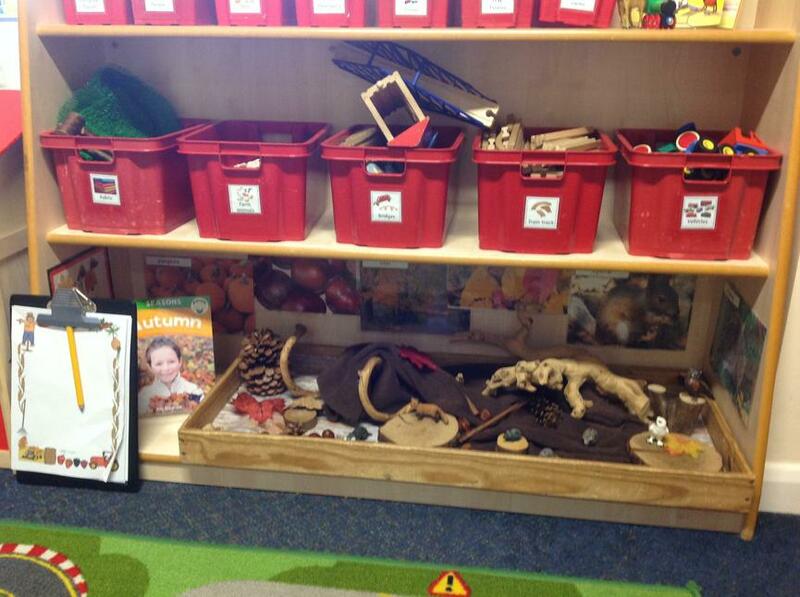 The teachers shared 'Marvellous Me' boxes - a box filled with lots of different objects to tell the children a little about themselves. 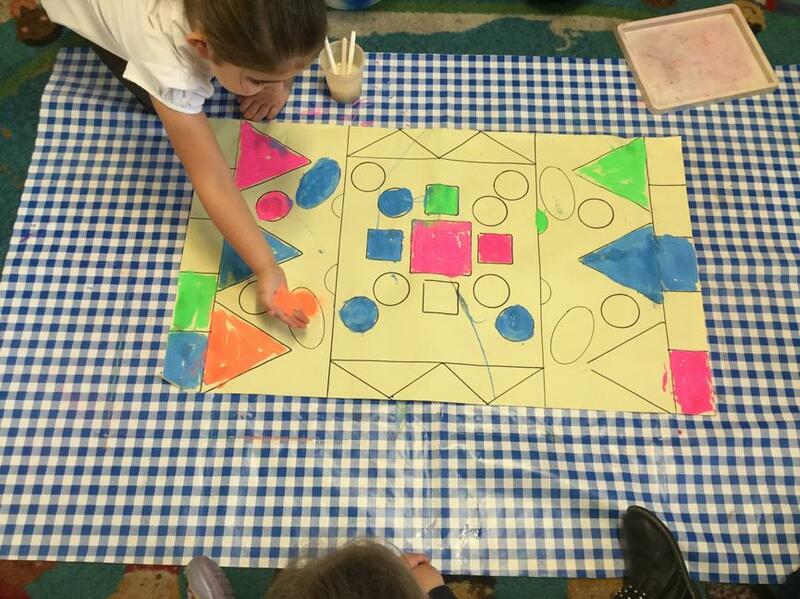 We have also been talking about our 3 classroom rules and we created a piece of art on a canvas to show that we all agree to follow our rules. 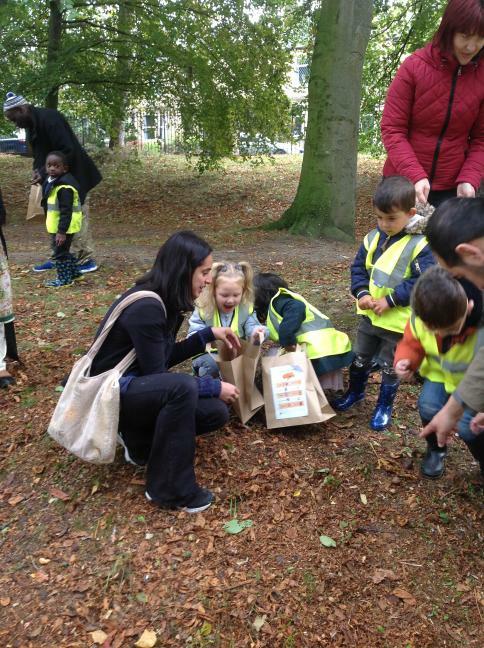 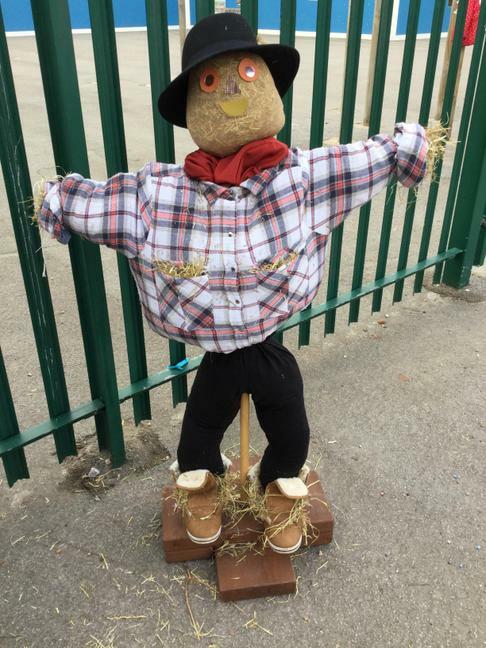 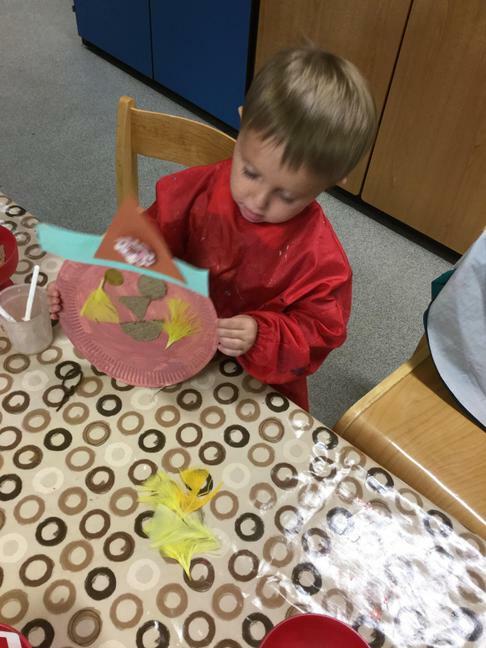 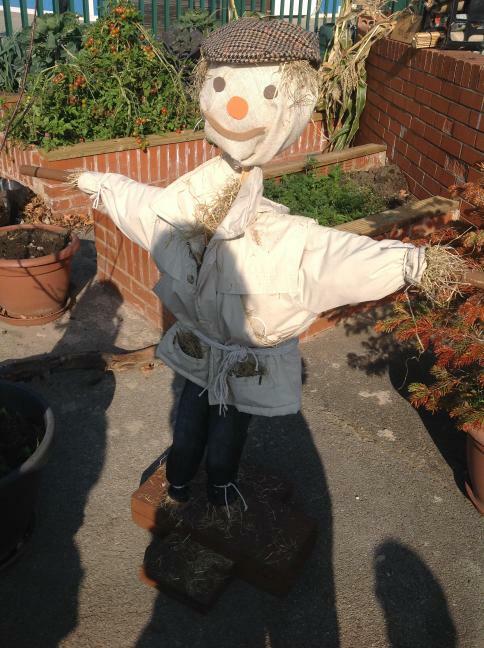 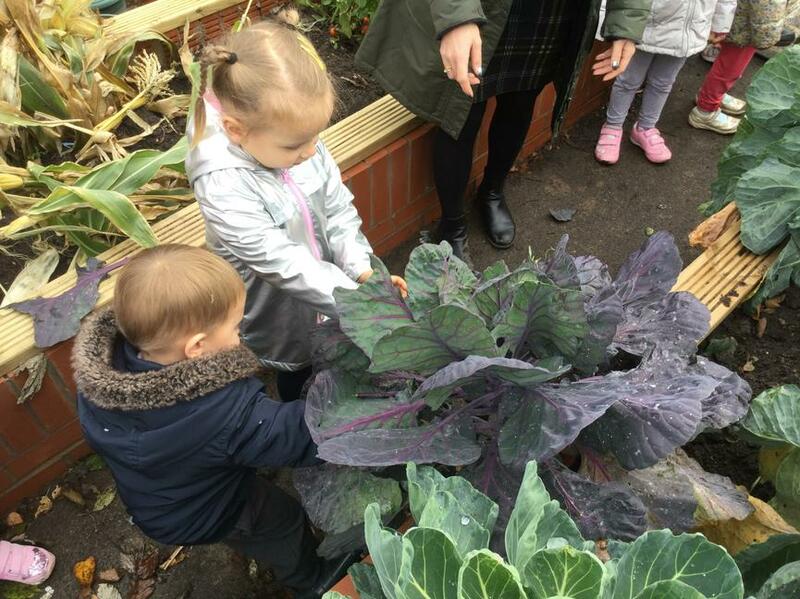 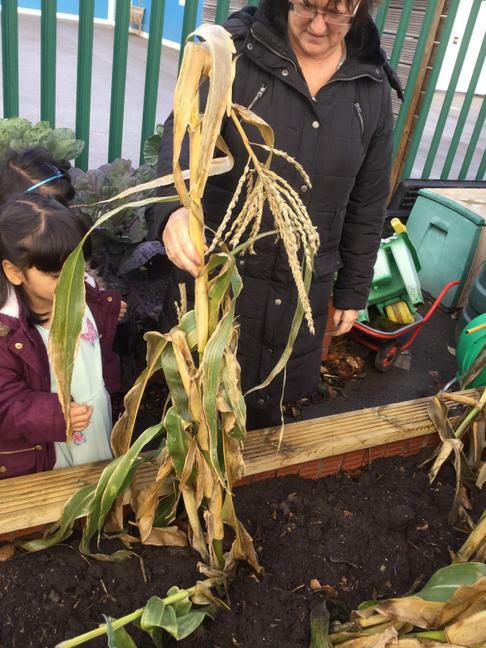 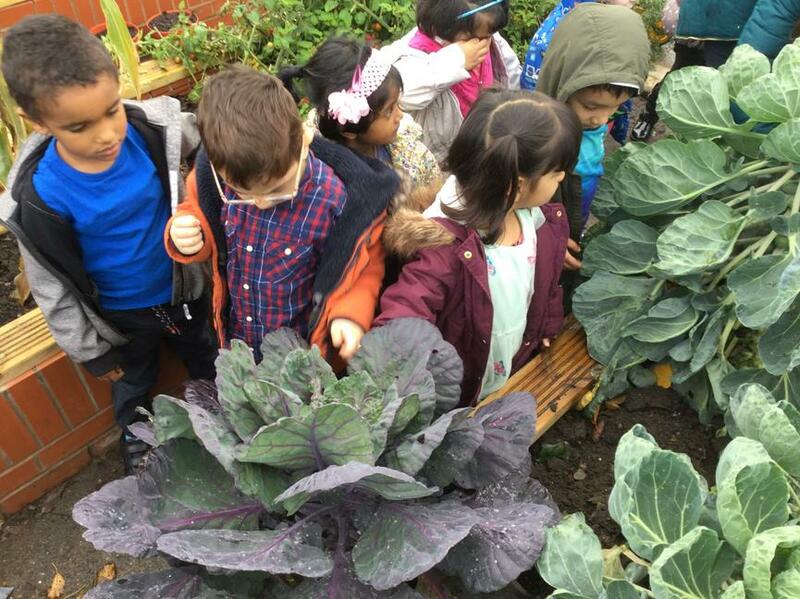 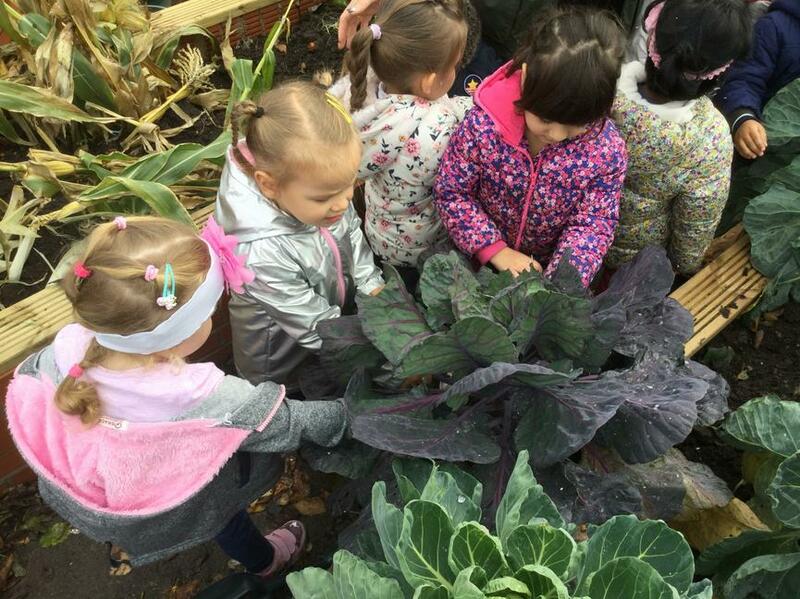 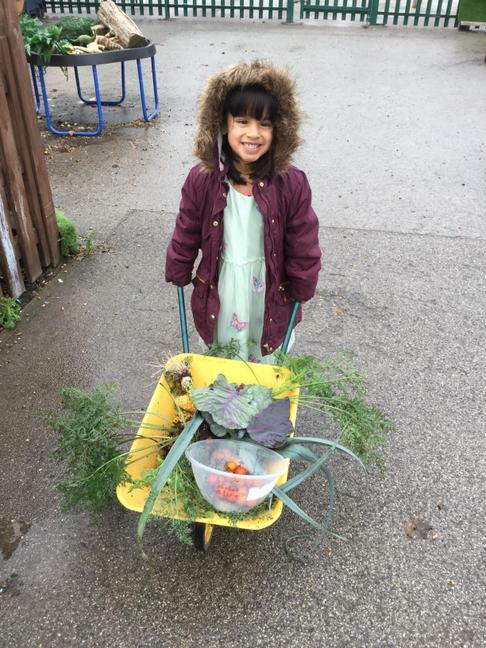 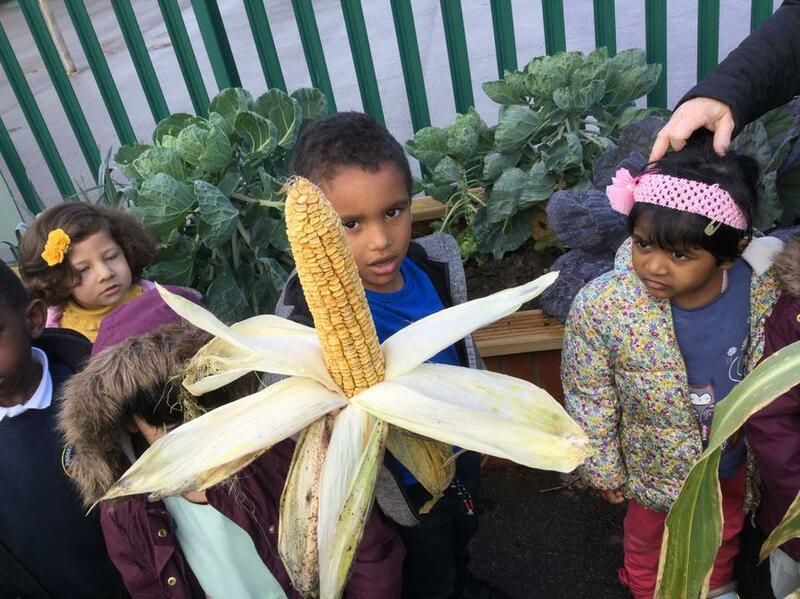 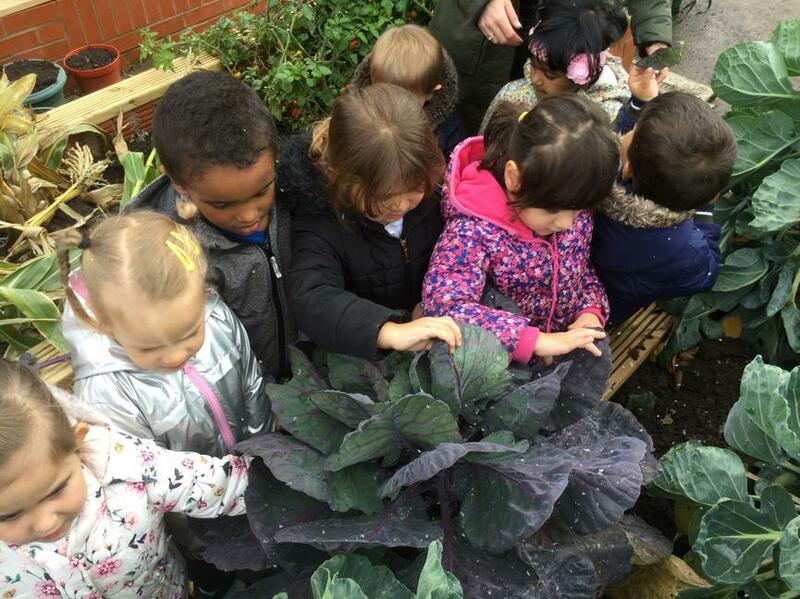 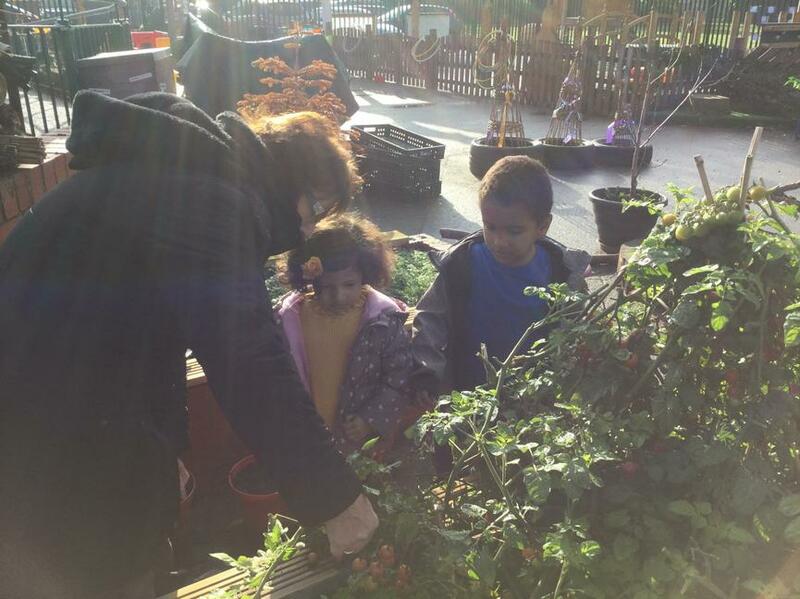 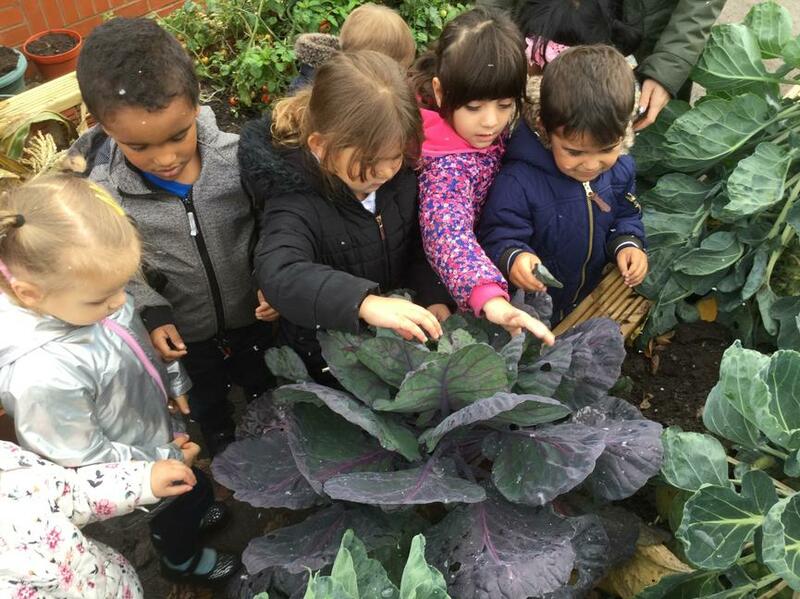 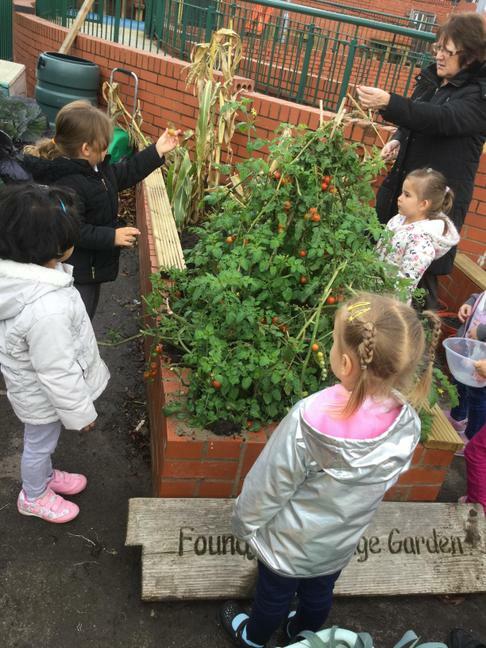 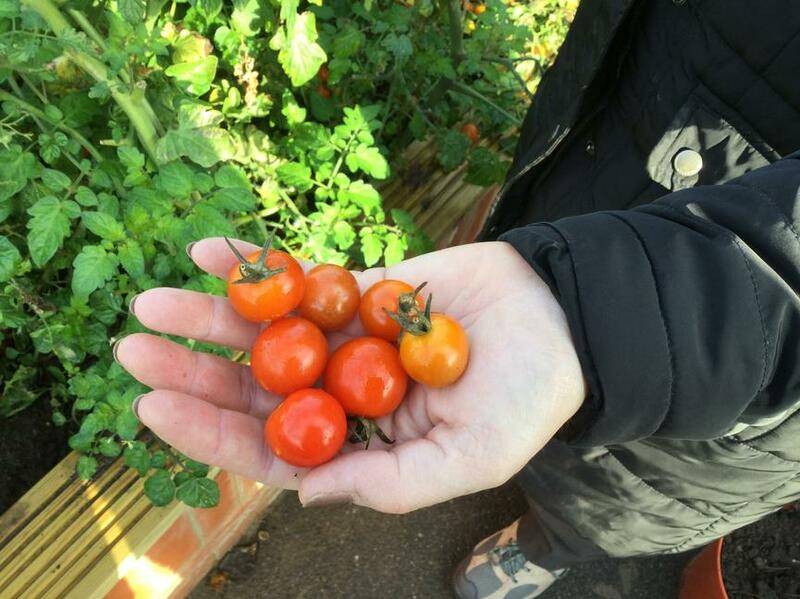 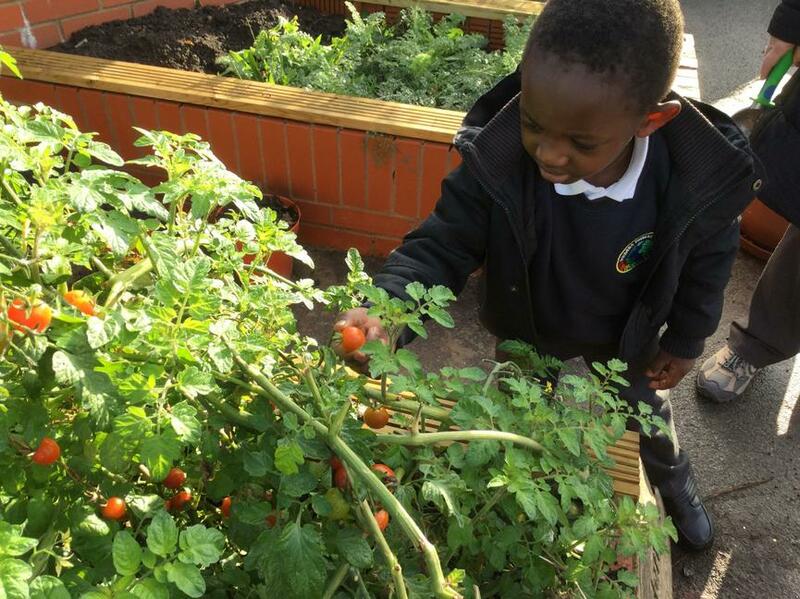 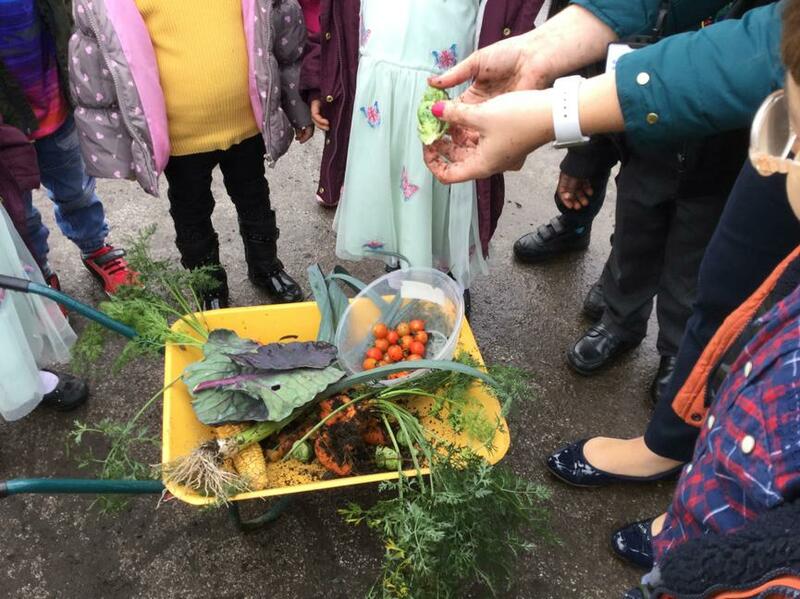 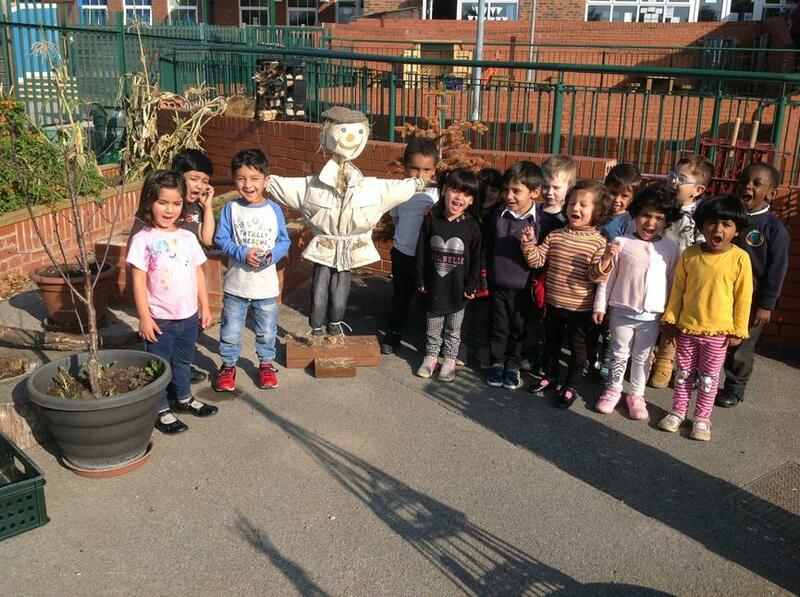 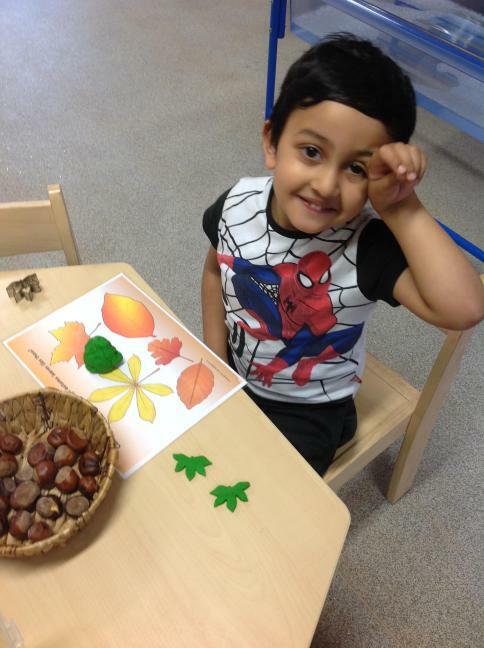 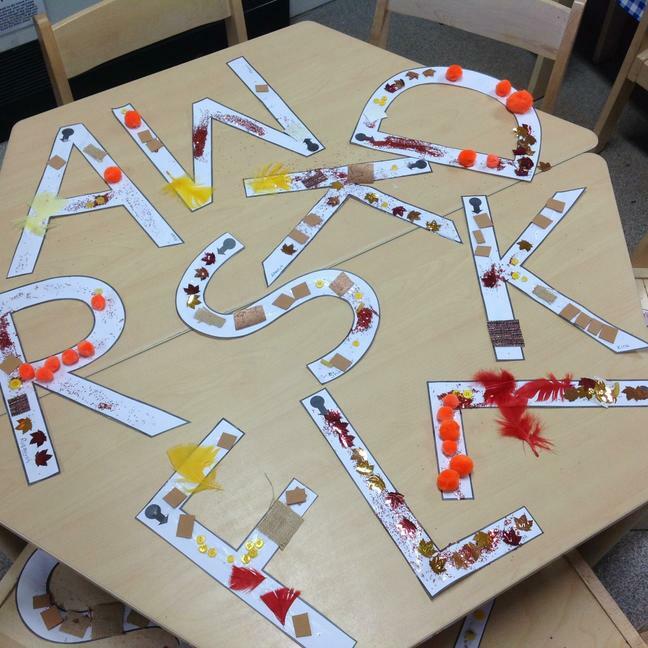 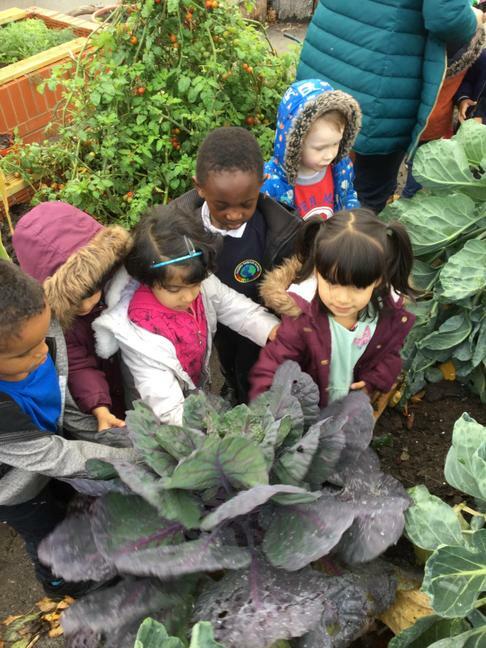 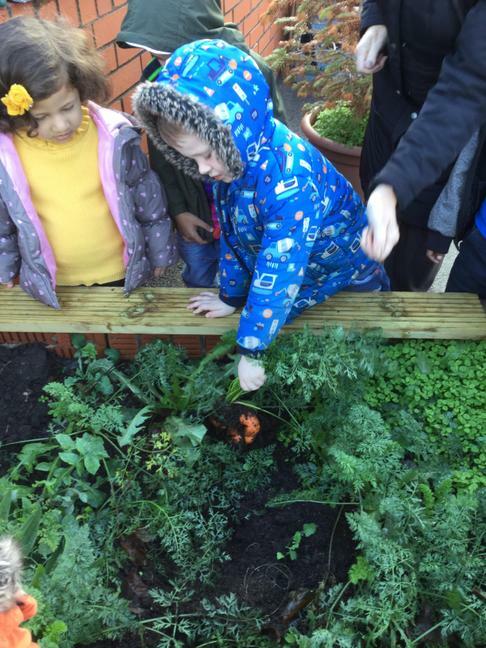 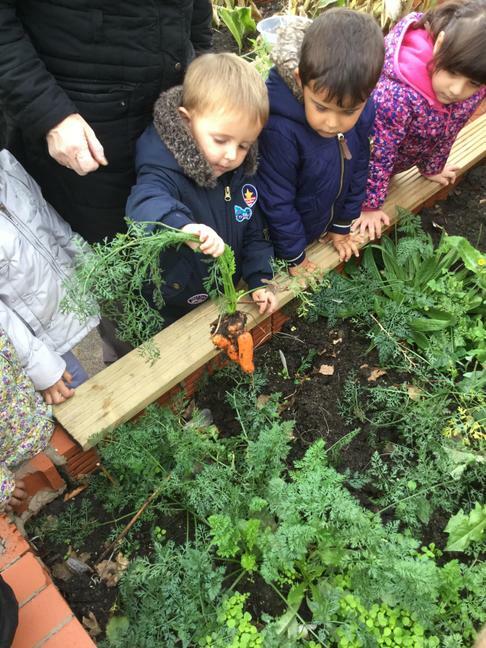 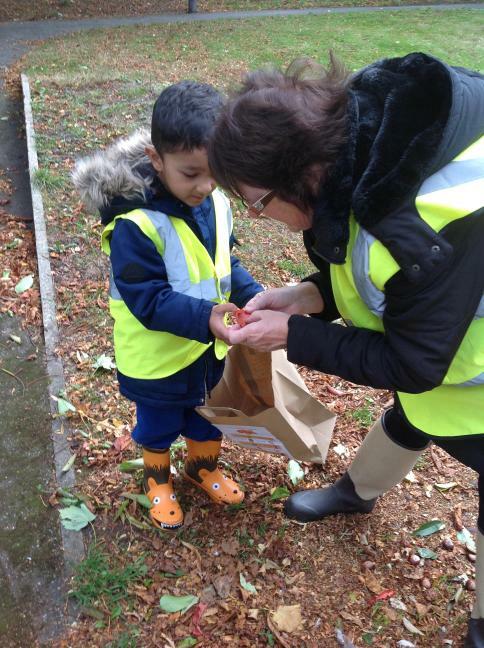 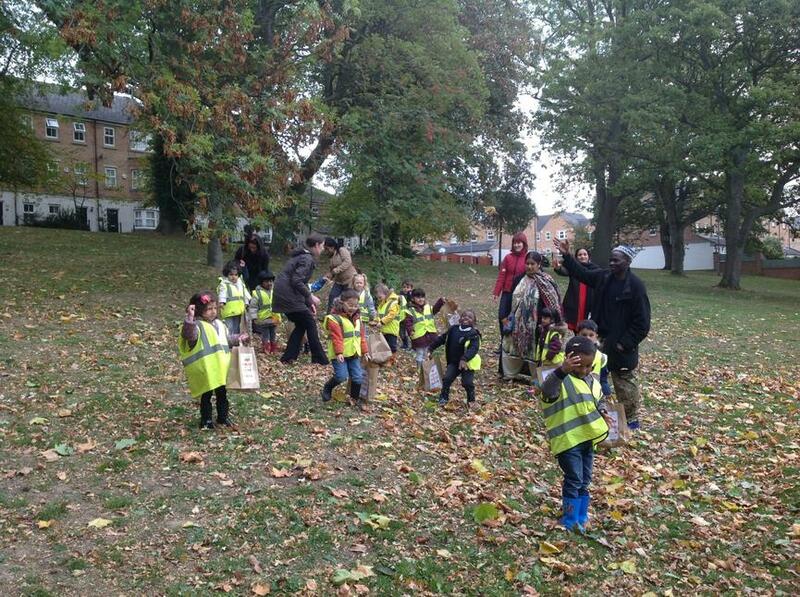 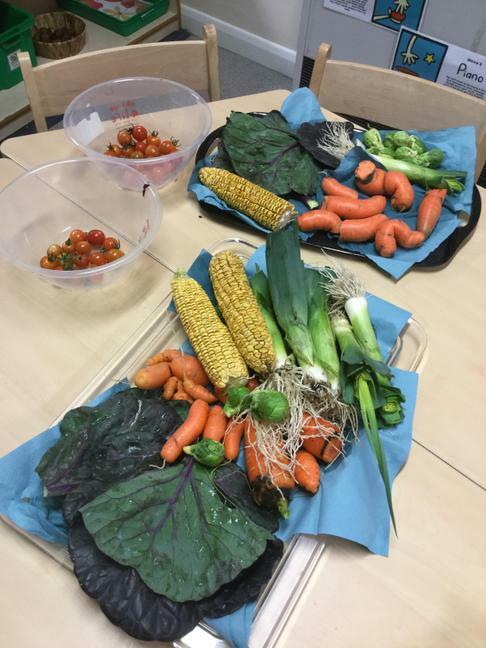 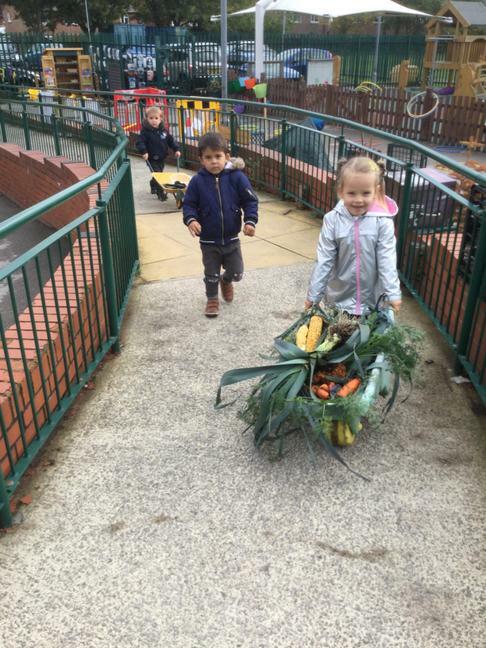 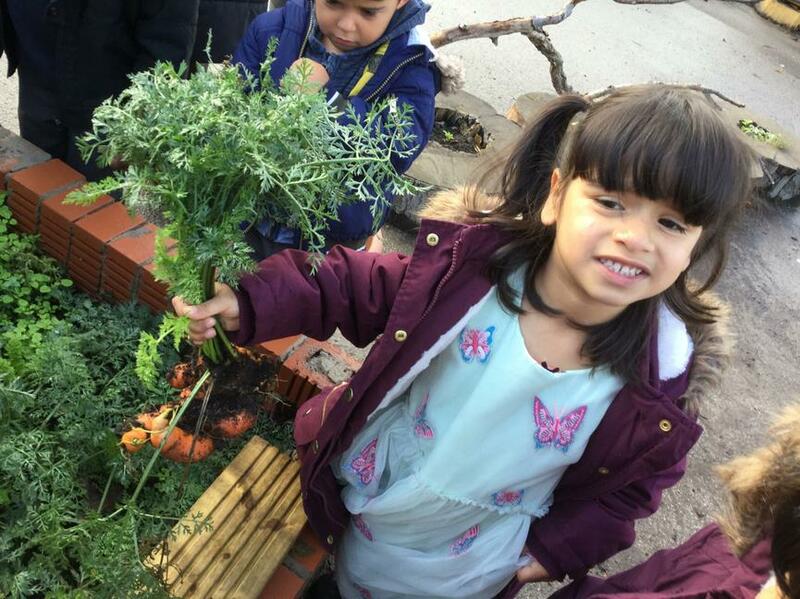 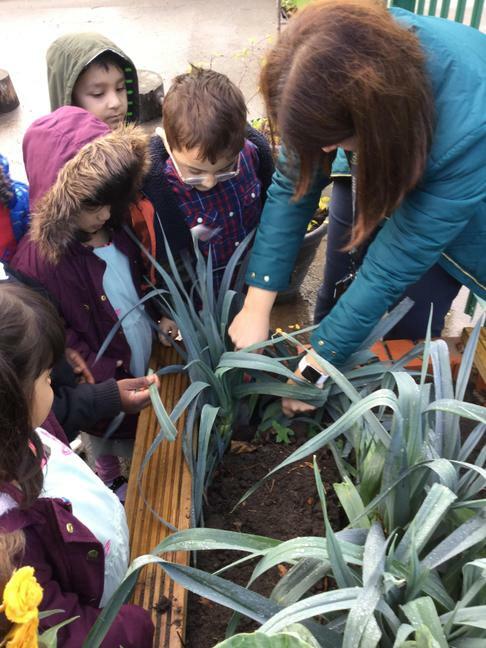 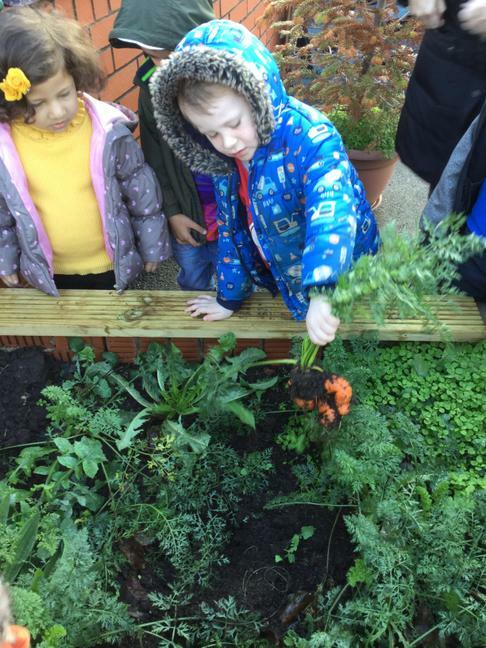 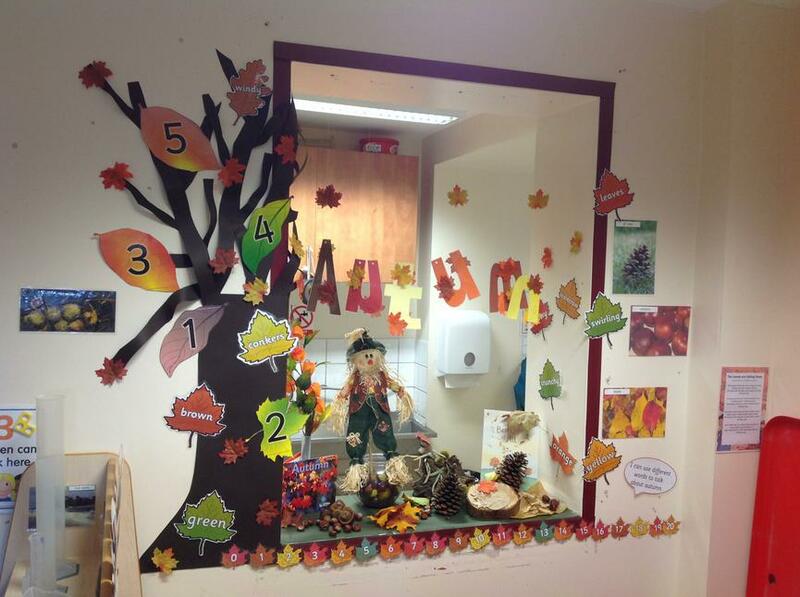 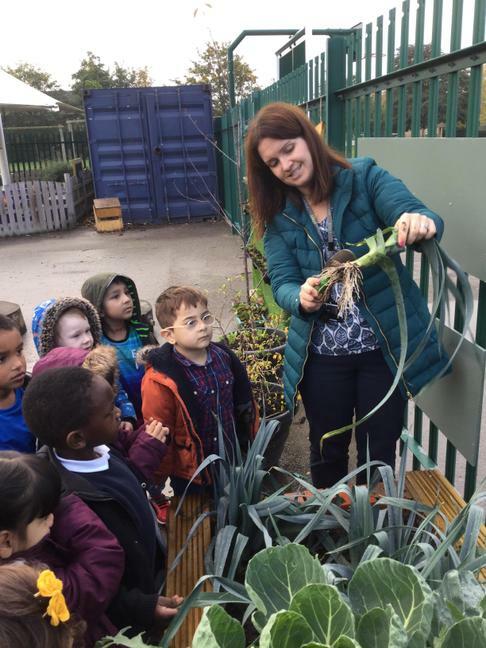 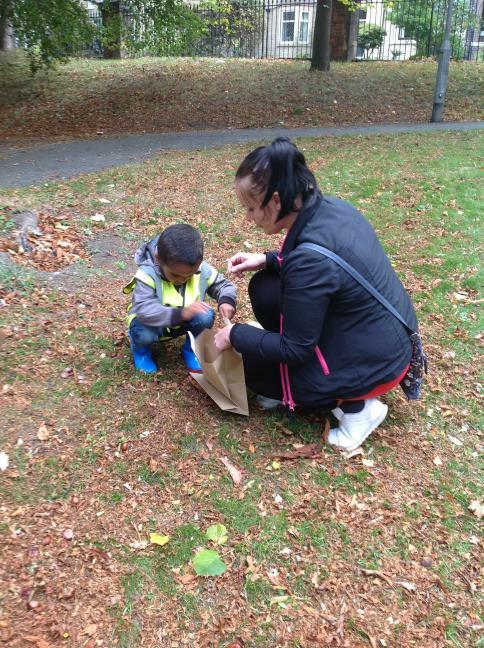 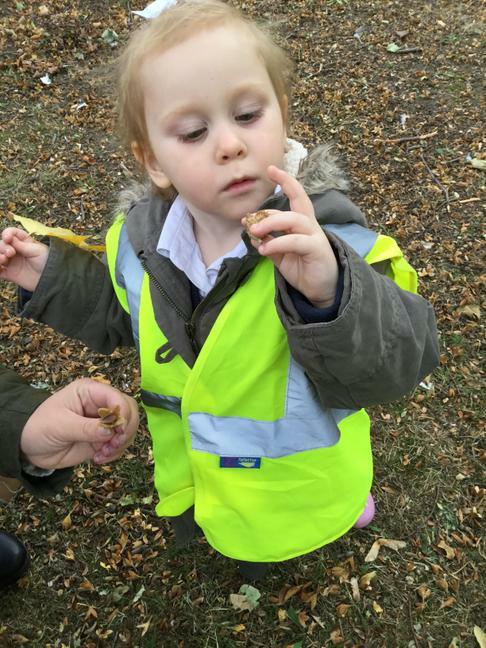 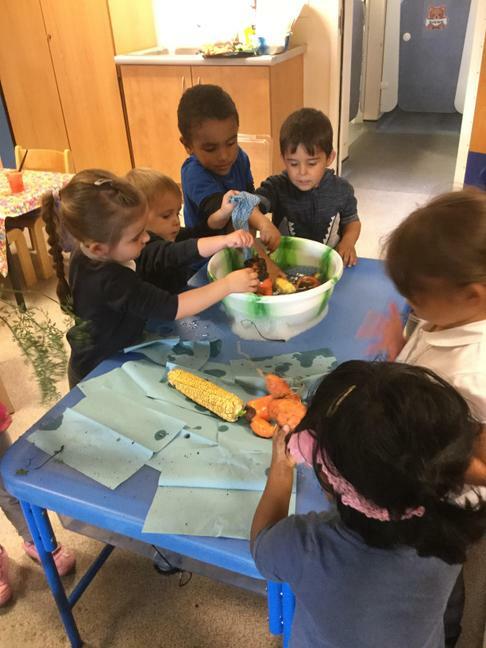 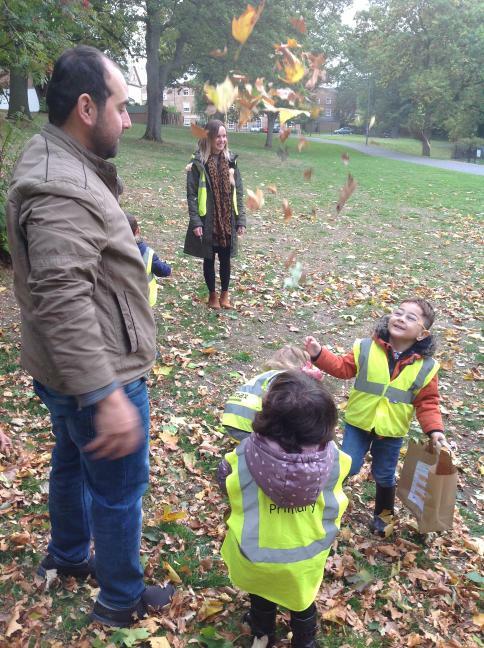 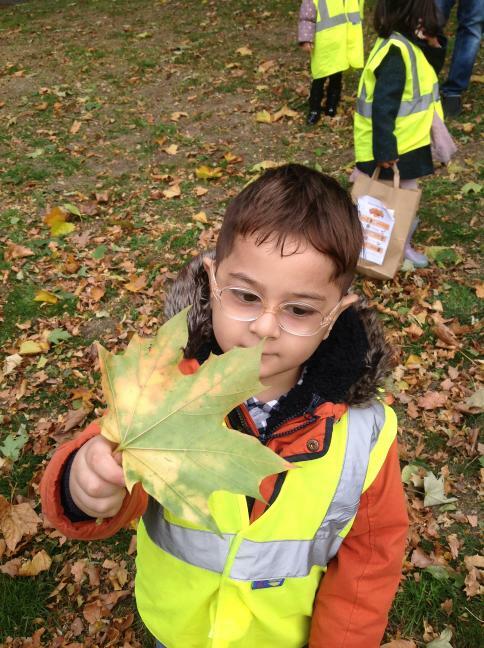 As we moved into October, the children have been learning about autumn and harvest. 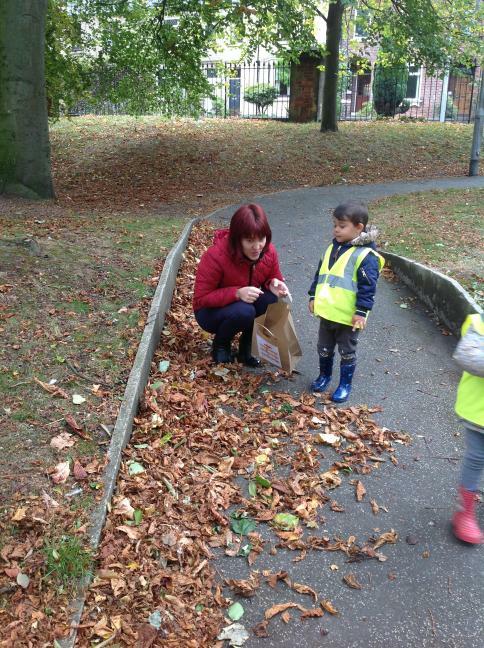 We went on a walk in the local park to look for signs of autumn. 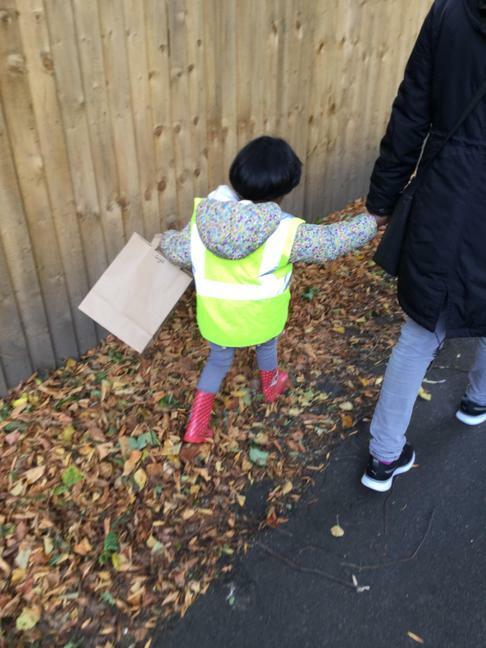 Why not take your child out for a walk too? 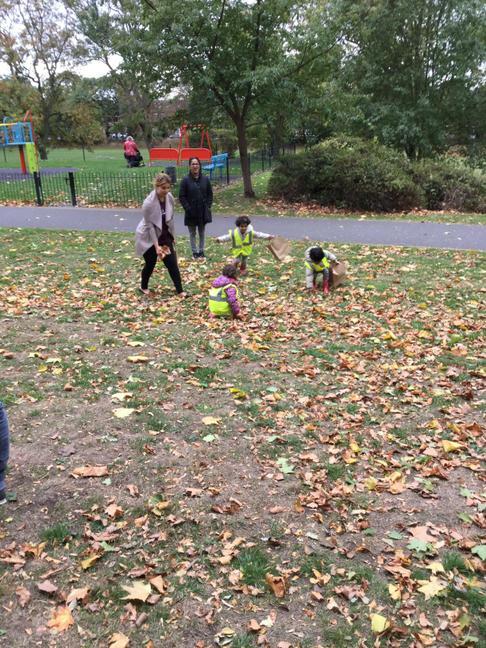 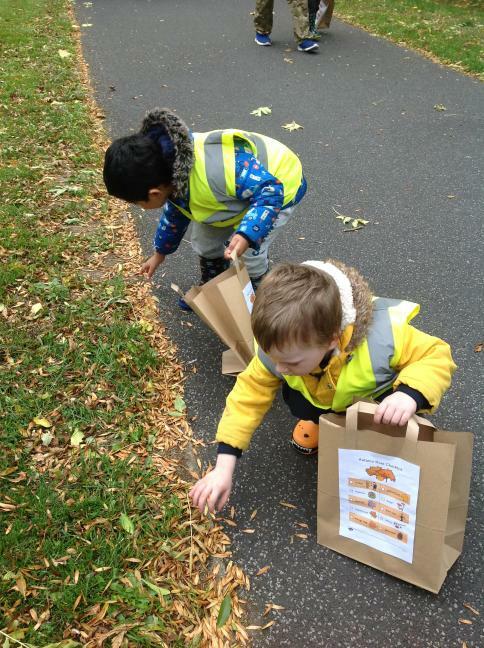 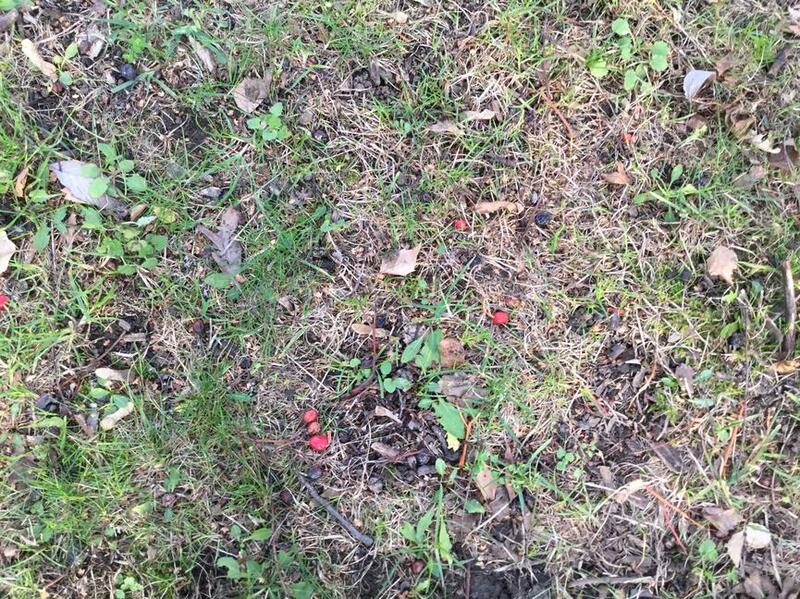 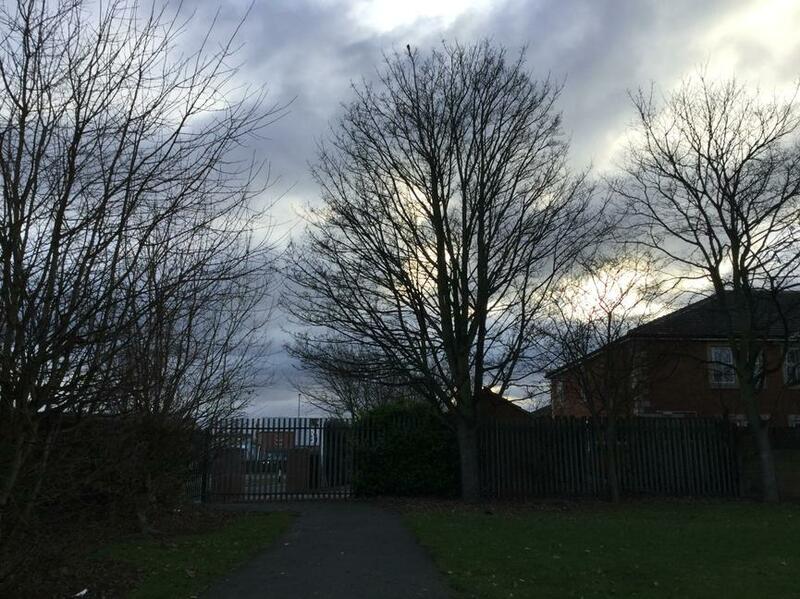 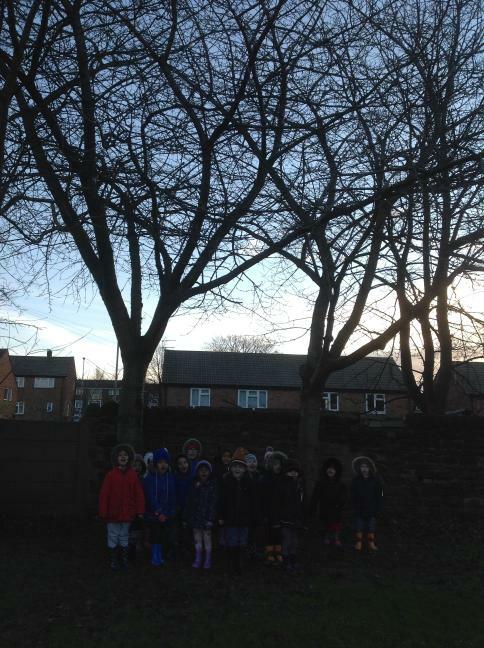 Can you find any conkers or acorns? 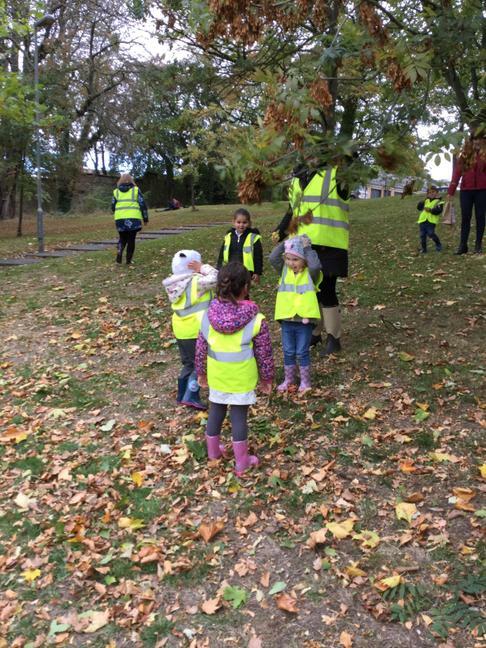 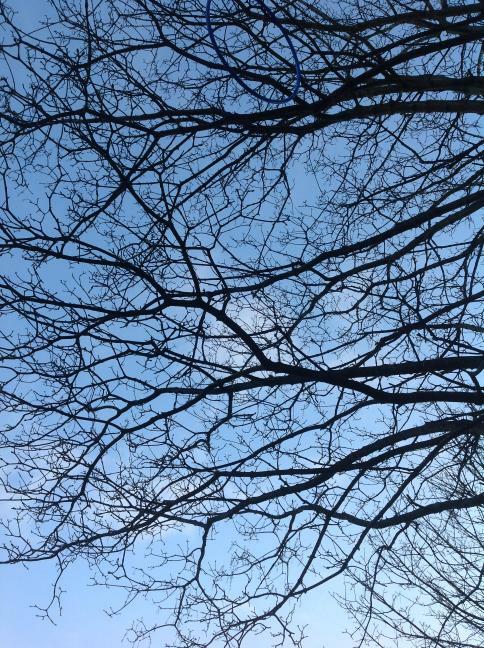 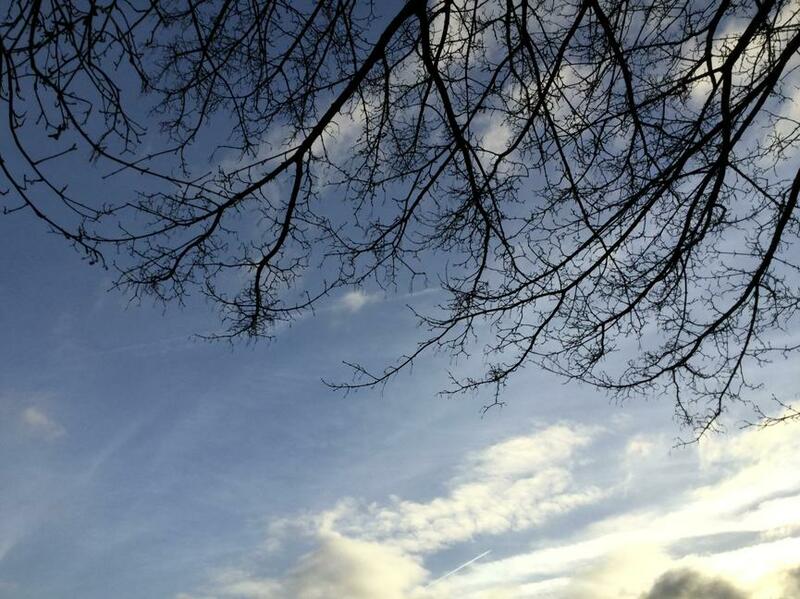 Talk about what's happening to the leaves on the trees as the weather turns colder. 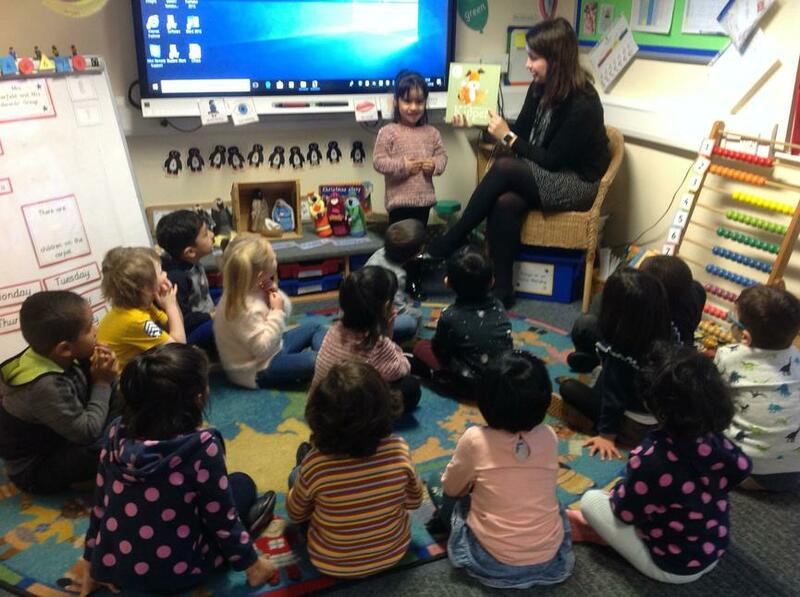 We also shared a story called 'The Enormous Turnip'. 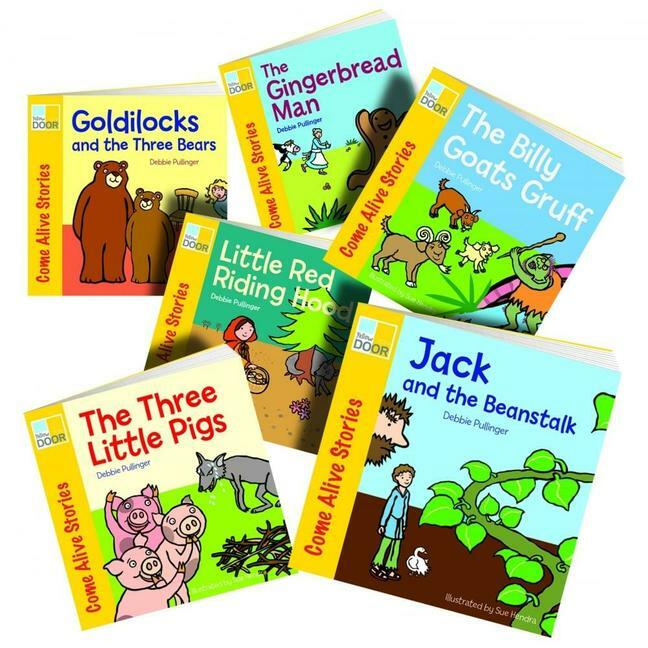 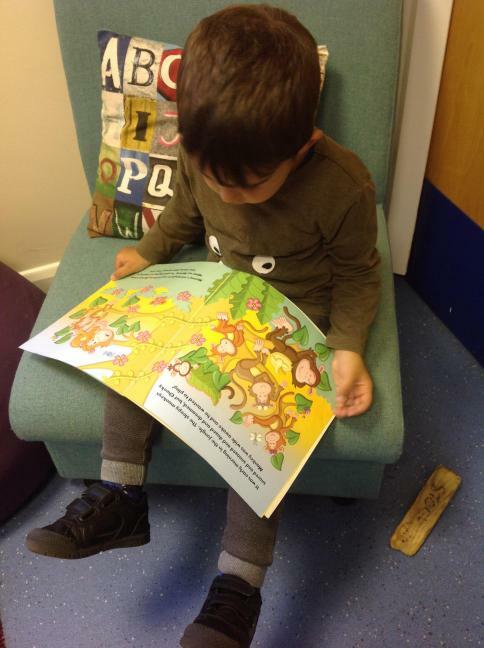 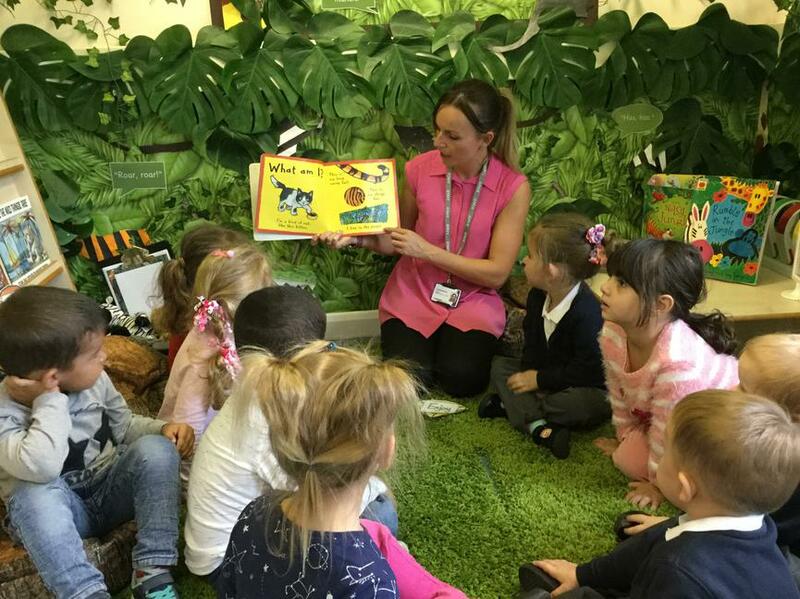 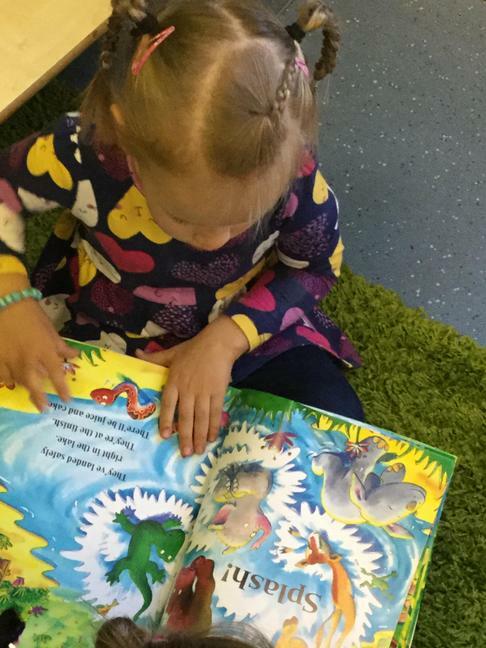 Why not visit Wakefield library with your child to borrow the book to share at home or speak to your child's key person if you would like to borrow a copy from school. 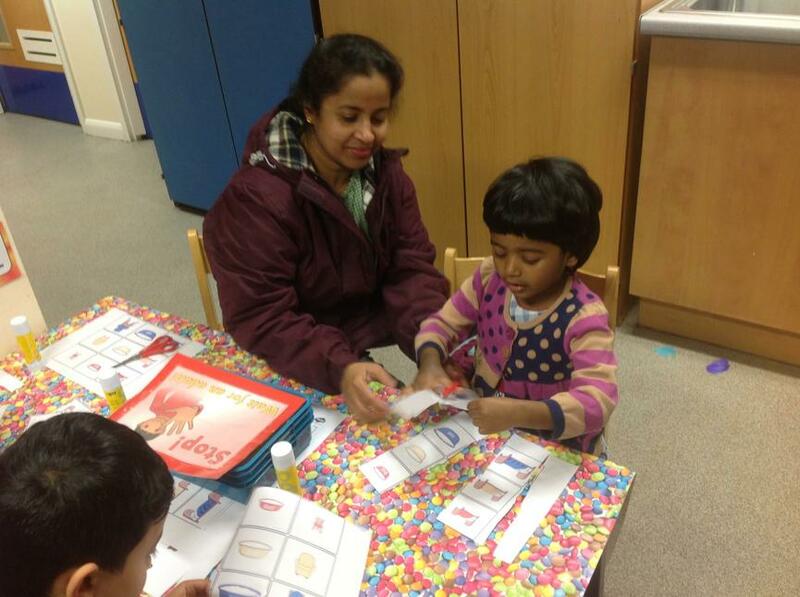 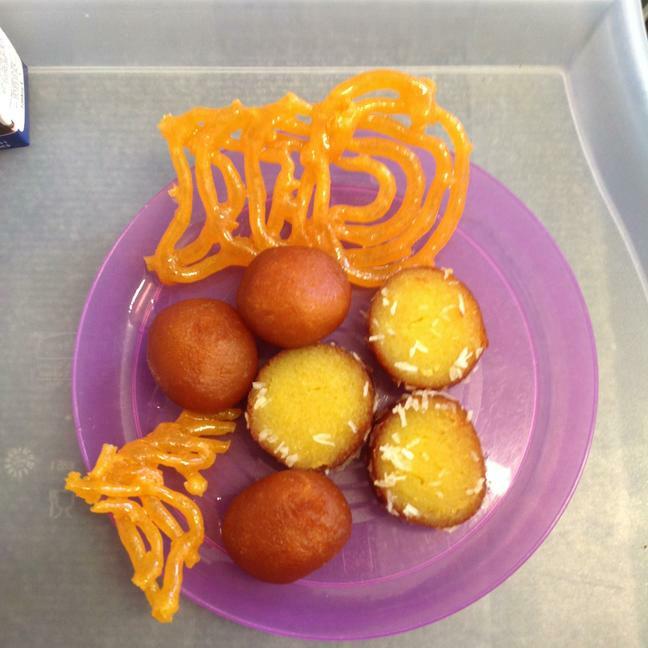 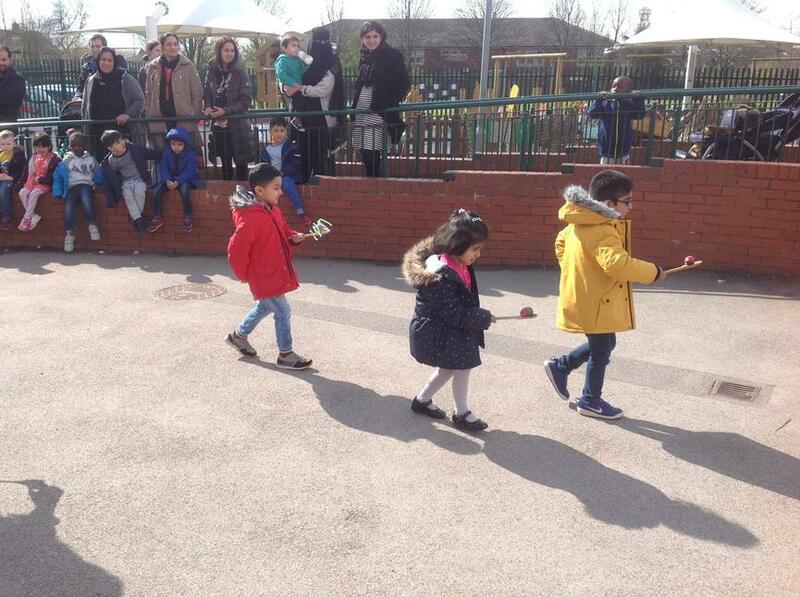 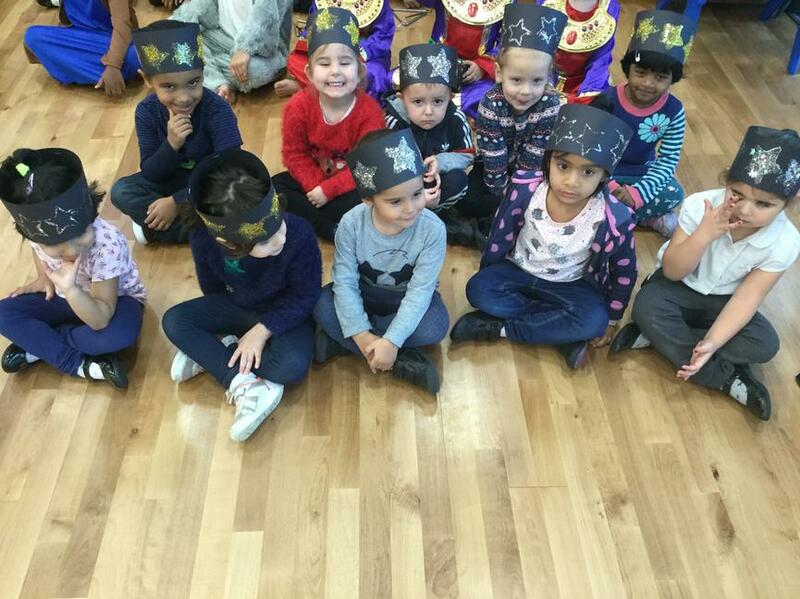 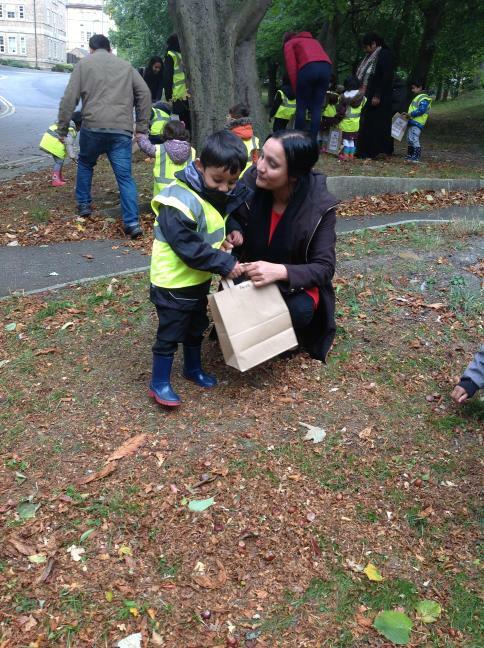 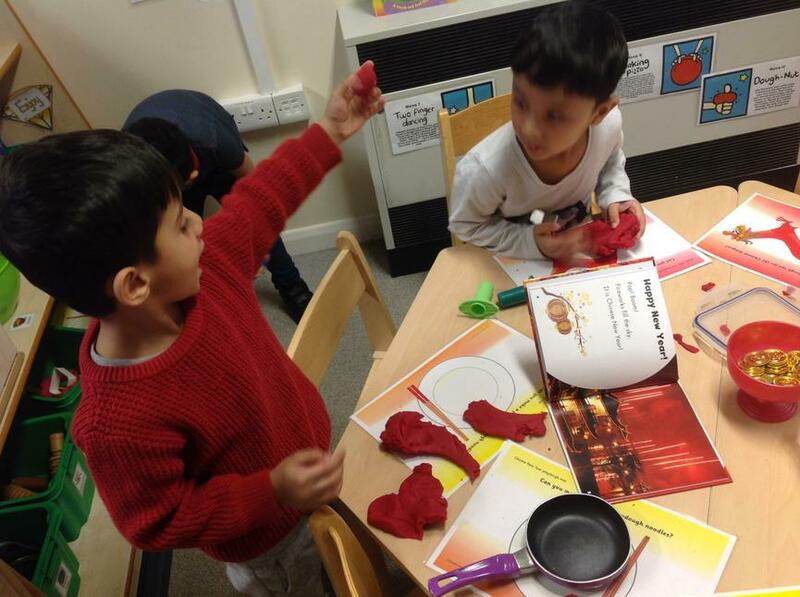 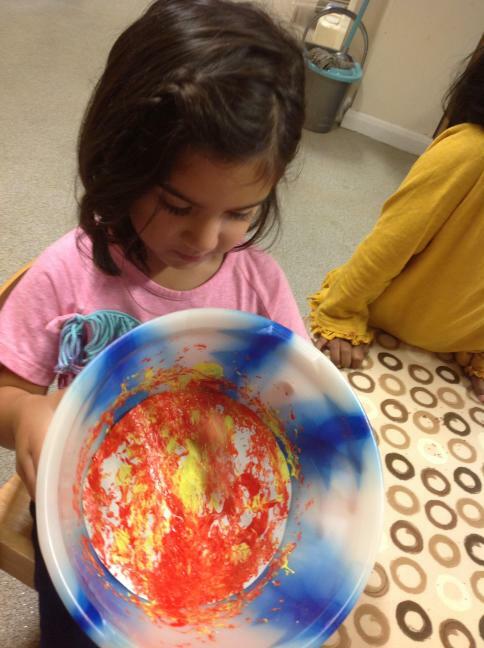 After the half term holiday we enjoyed finding out about the Hindu celebration of Diwali! 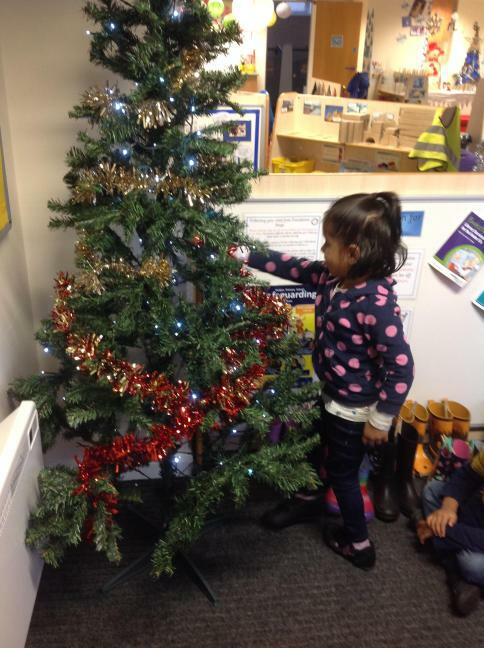 Some of our families celebrated so we were excited to find out all about the 'festival of light'. 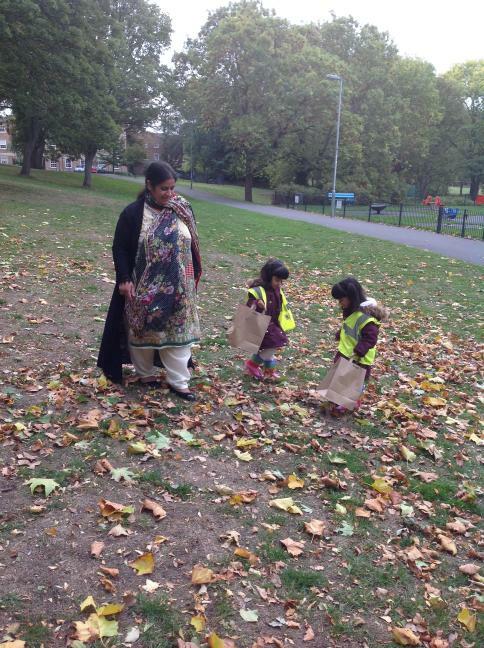 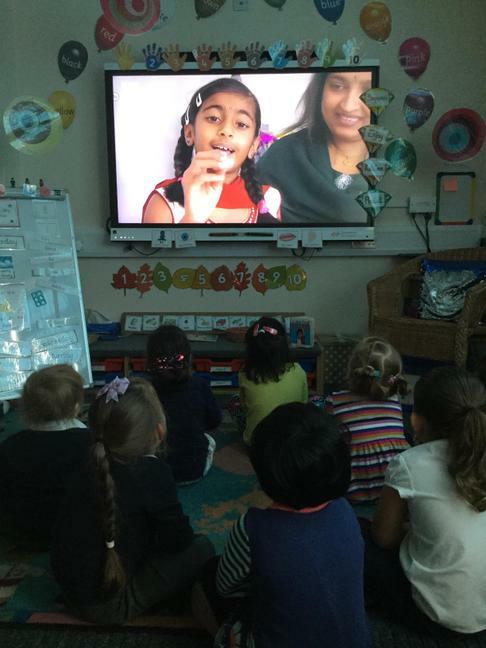 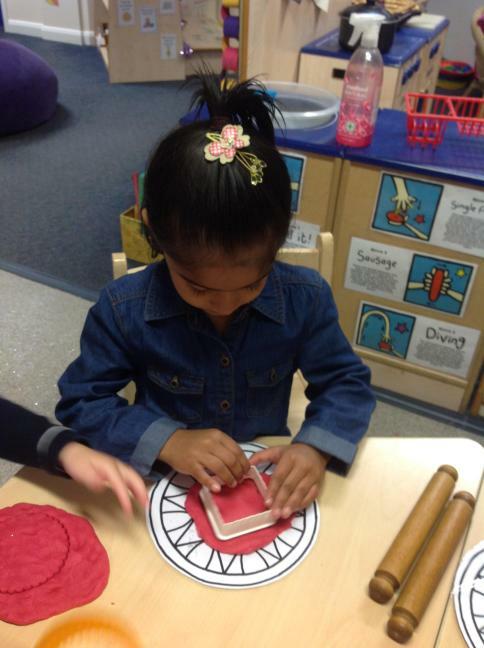 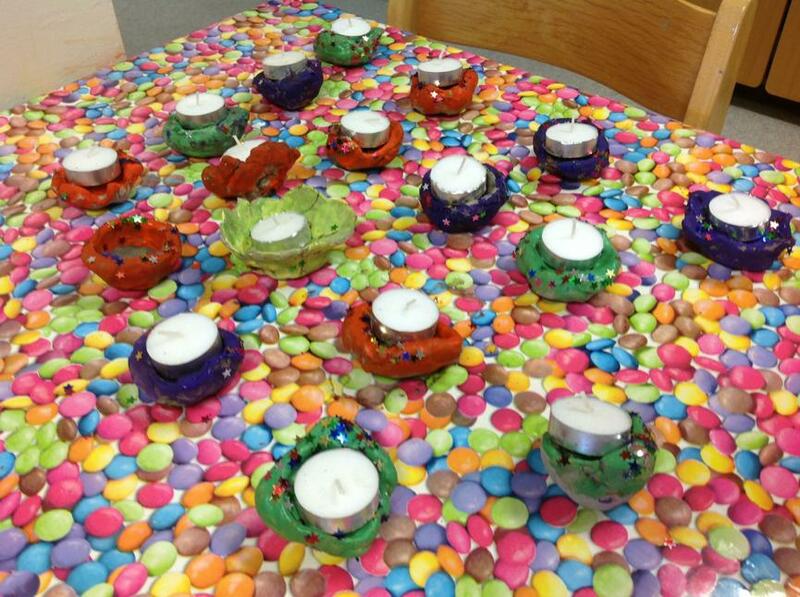 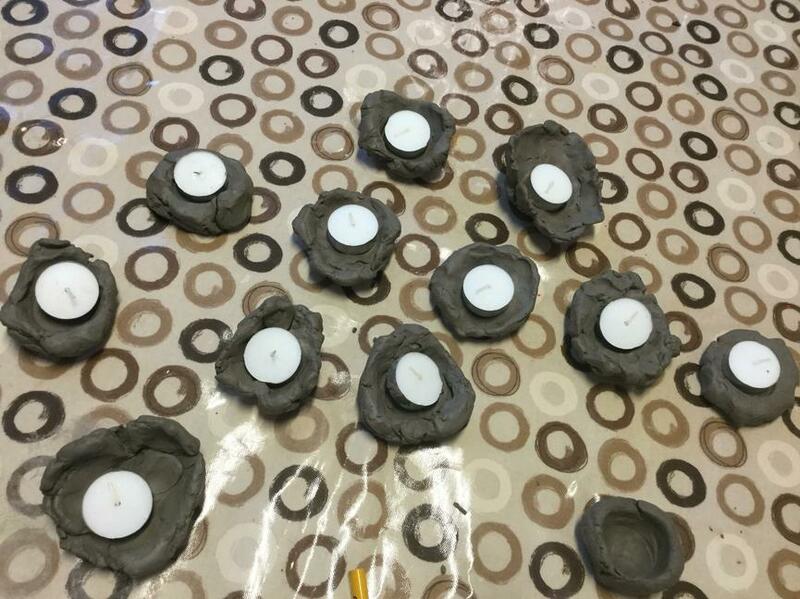 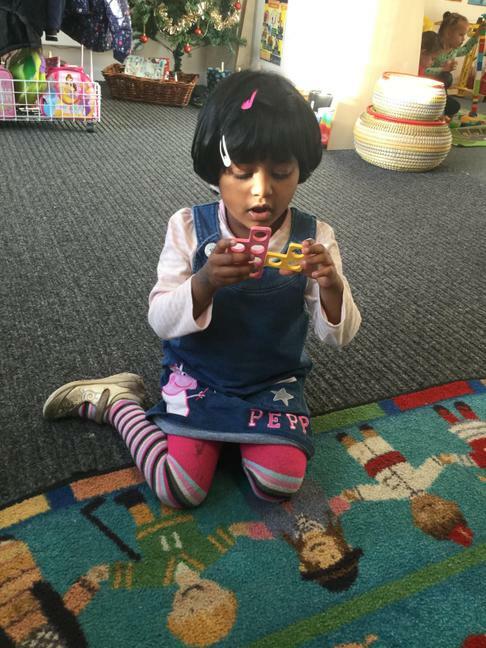 We shared a Diwali story called 'Lighting the Lamp' and made our own little lamps called divas. 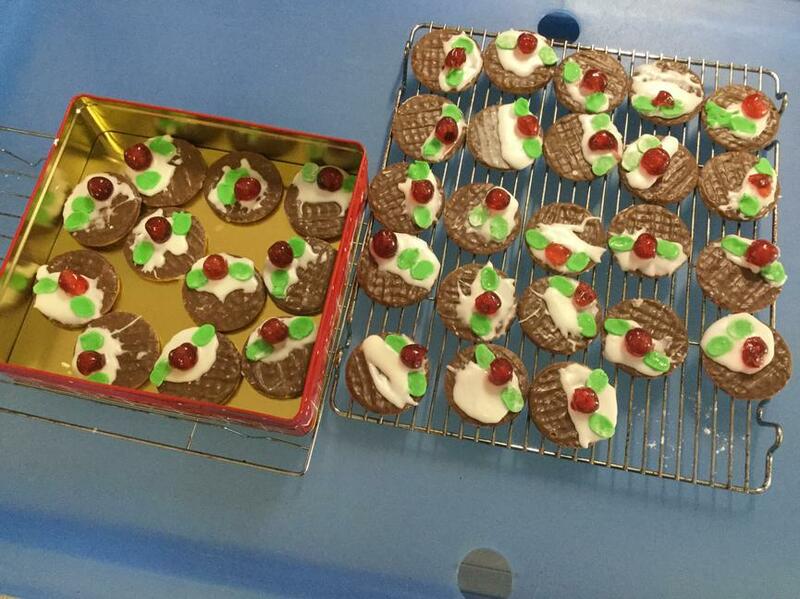 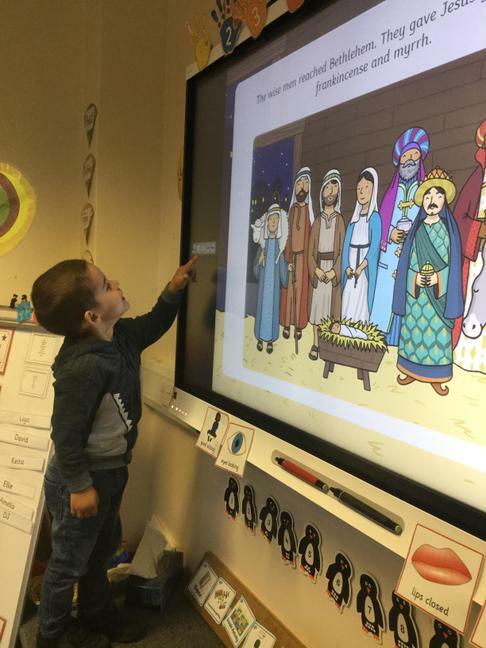 As we moved towards the end of the year we began to learn about another religious festival - Christmas! 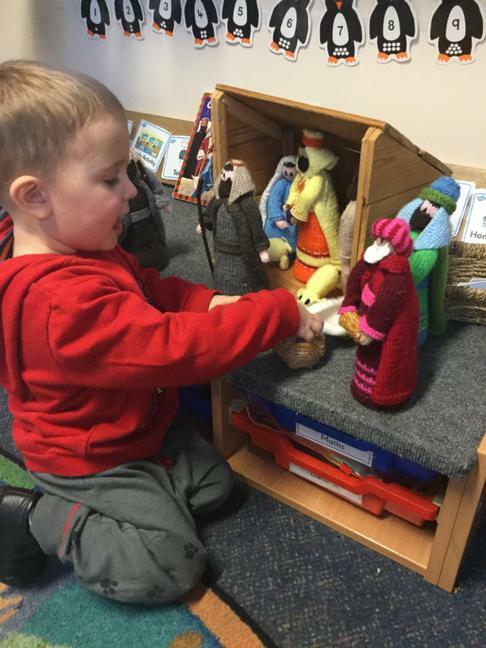 The children loved sharing the nativity story and learning lots of songs for our nativity concert. 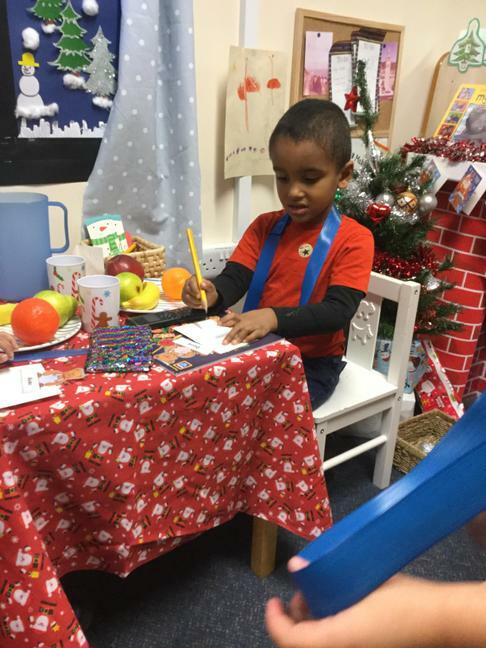 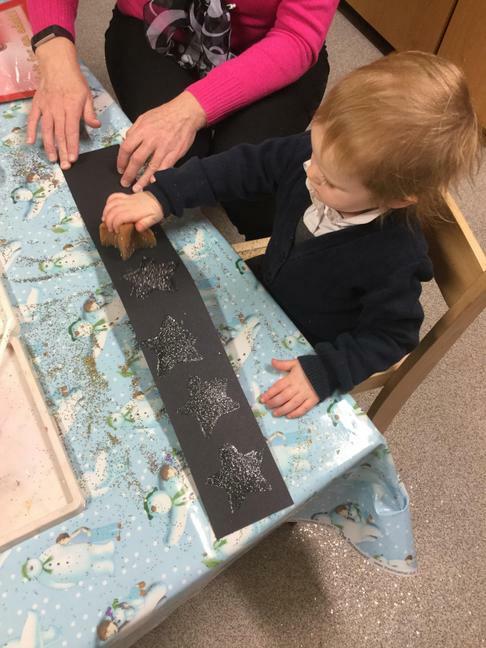 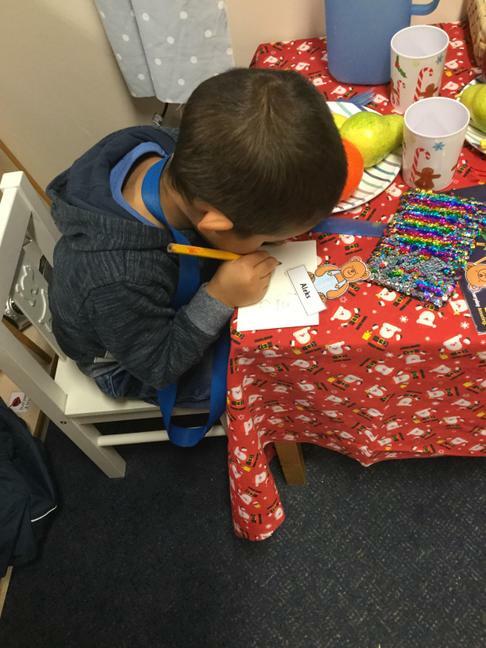 We learnt about Christmas traditions - making decorations for the Christmas tree, making and sending cards, writing letters to Father Christmas and Christmas baking! 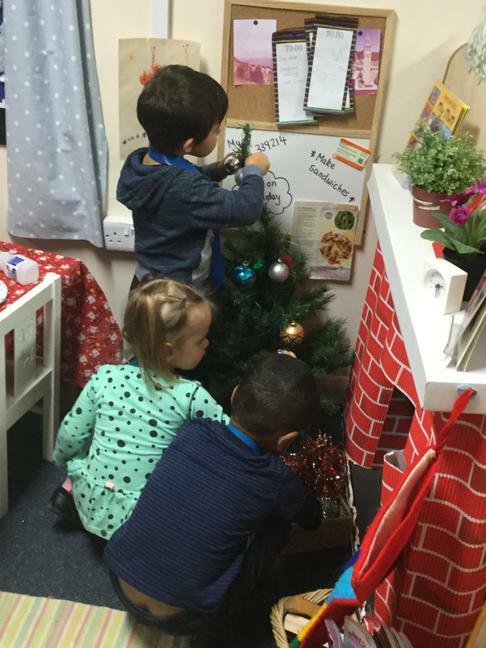 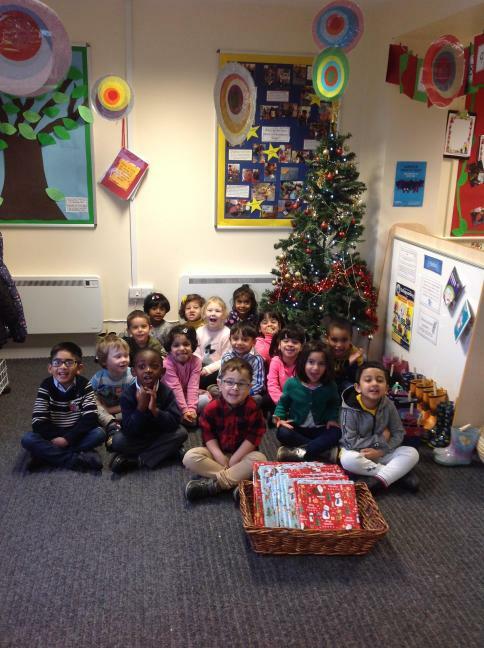 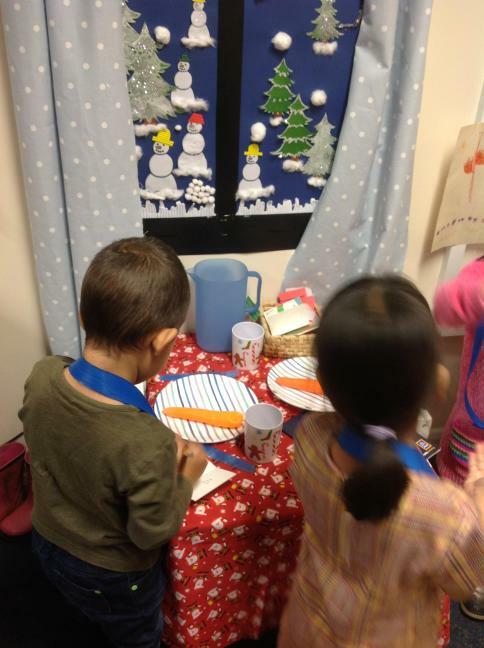 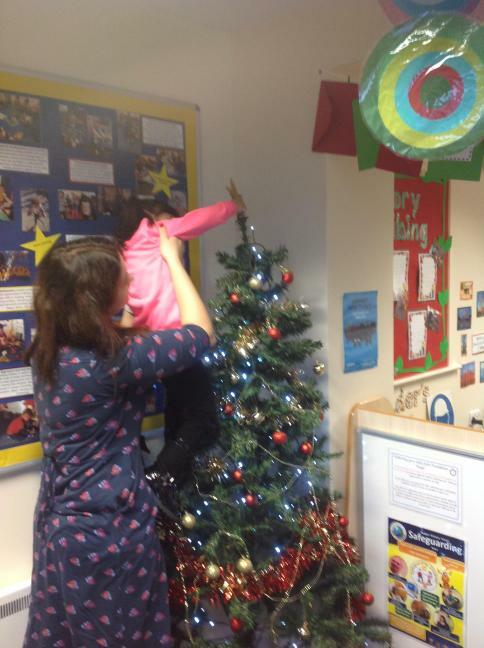 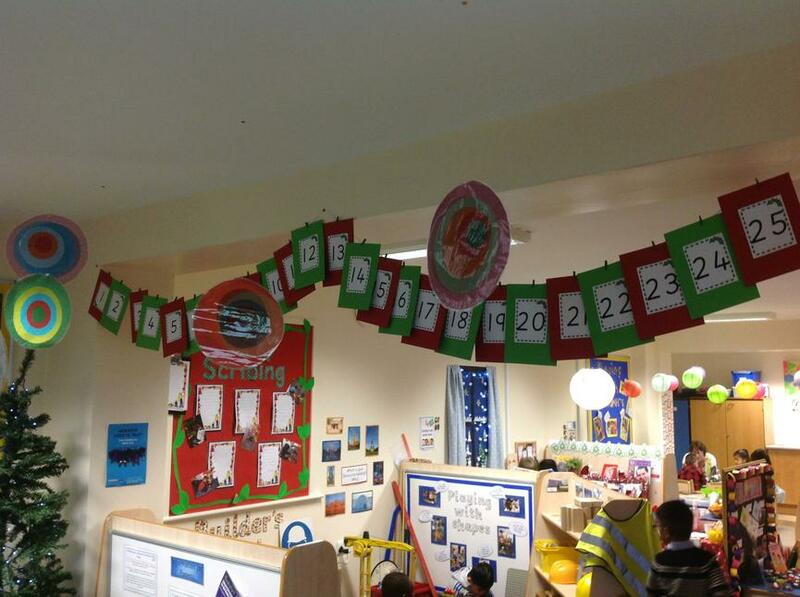 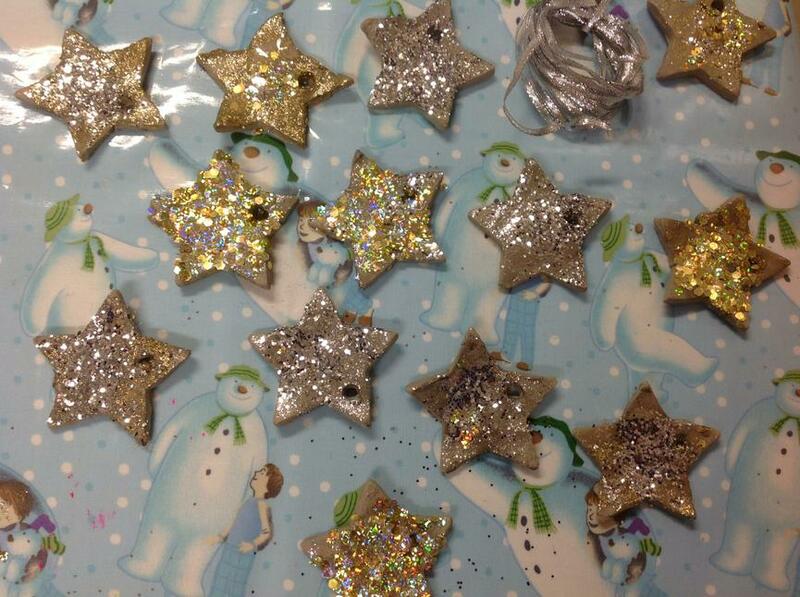 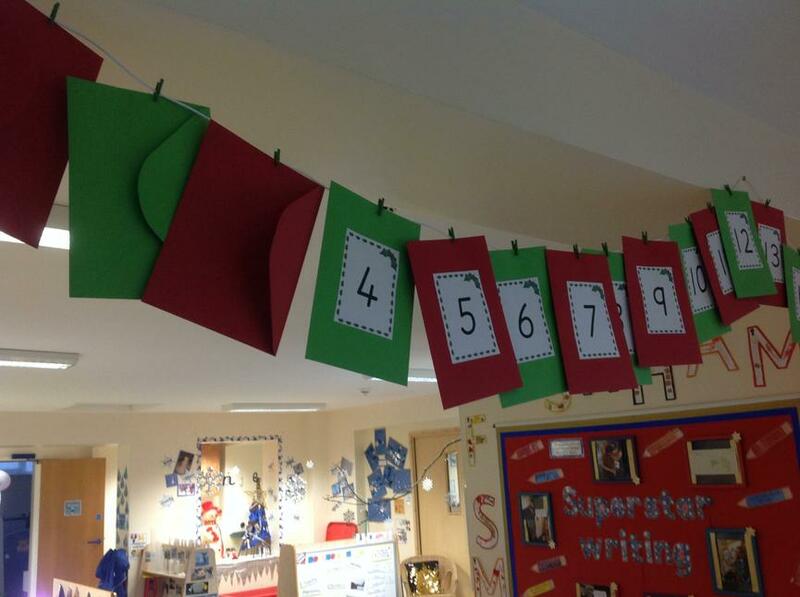 We also worked together to decorate our classroom ready for Christmas. 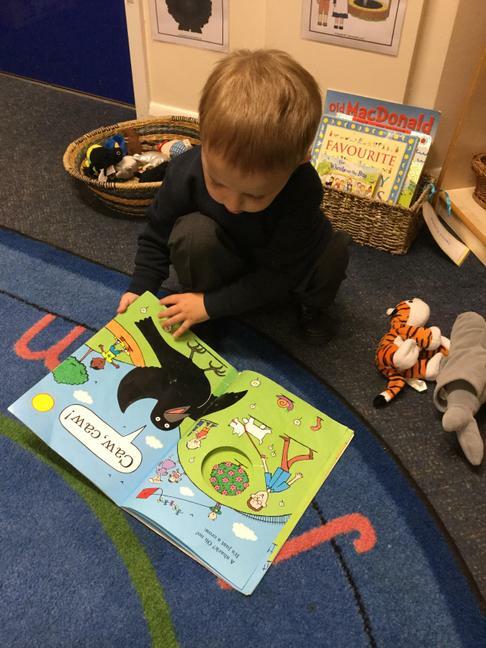 At school we enjoyed reading a book called 'Dear Santa'... please ask if you would like to borrow a copy to share at home. 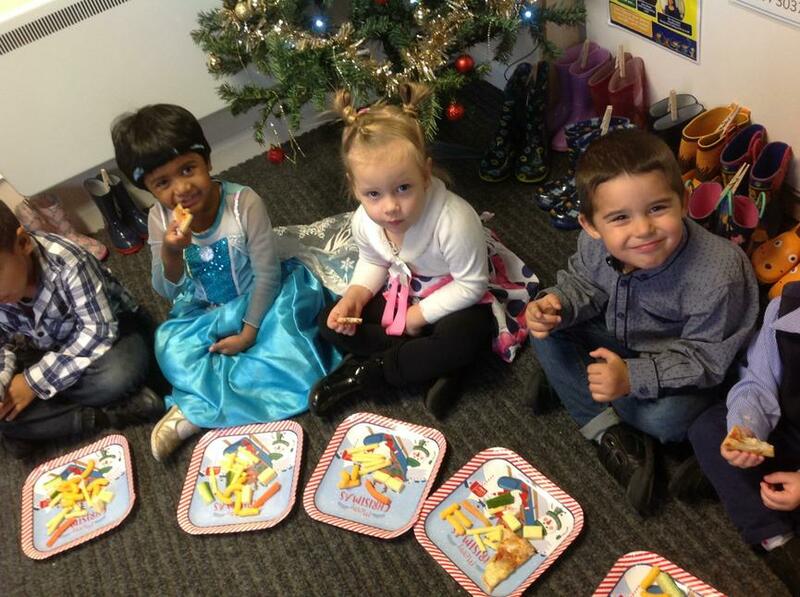 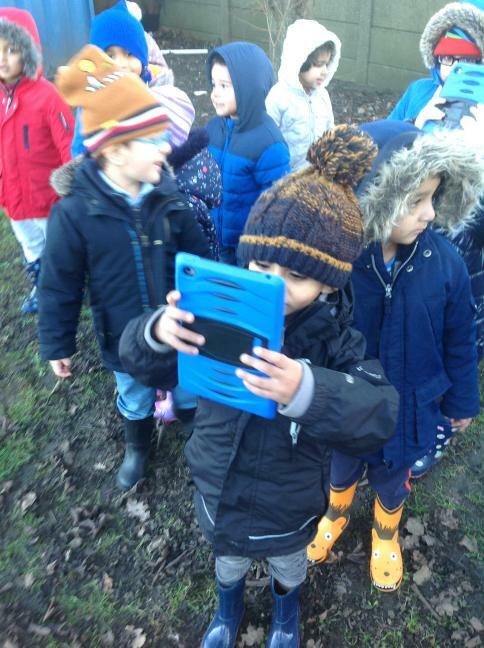 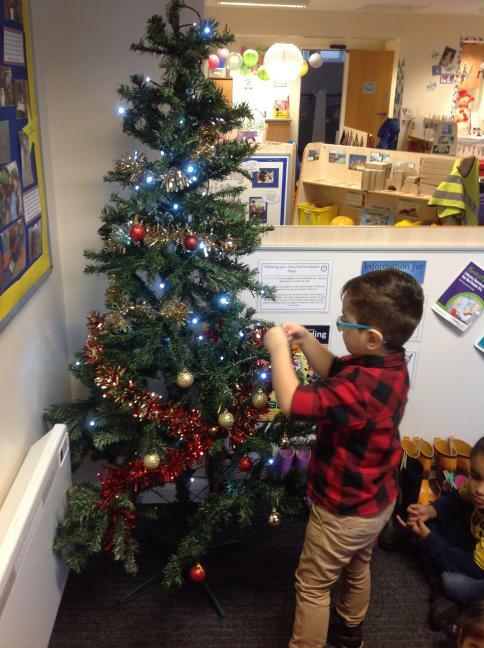 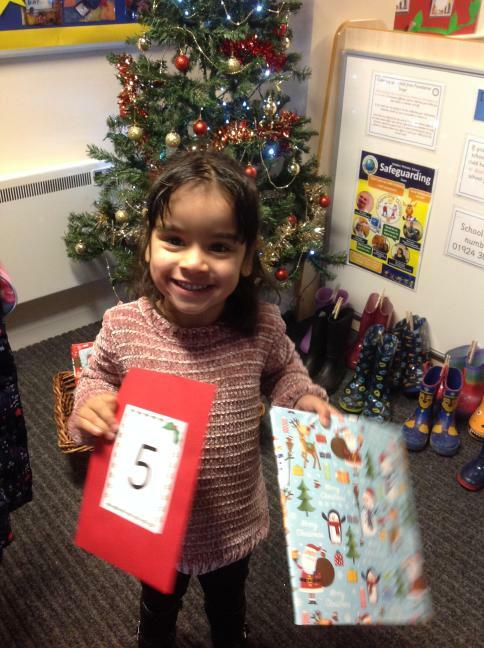 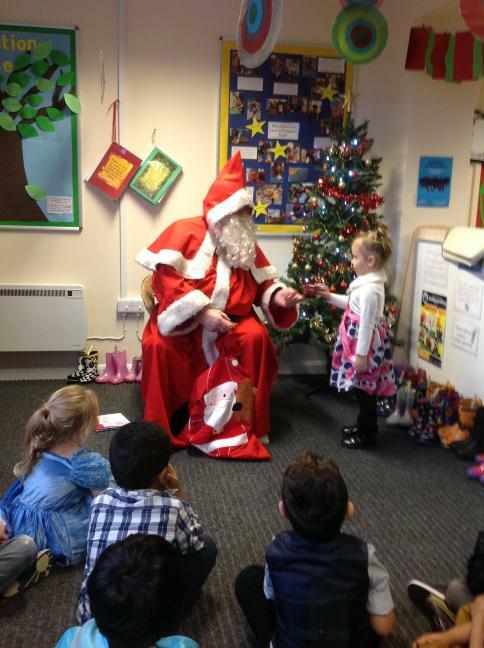 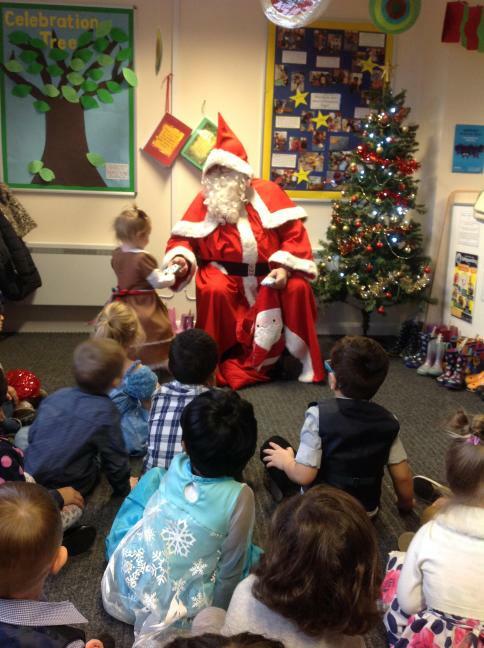 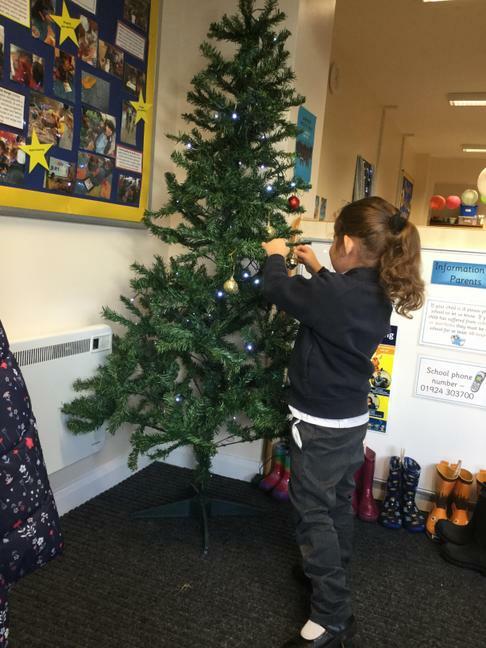 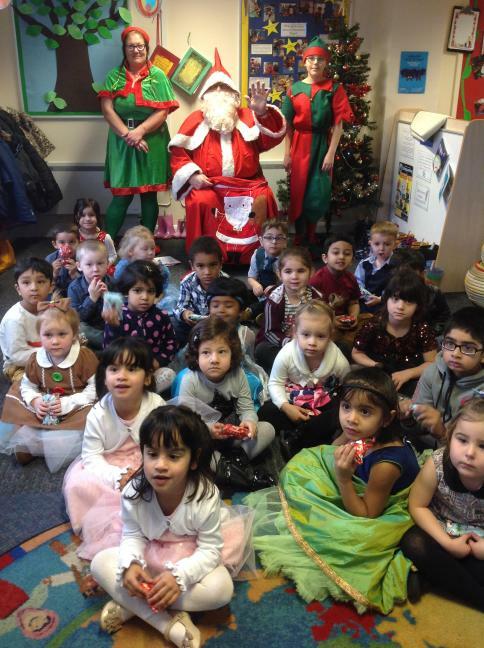 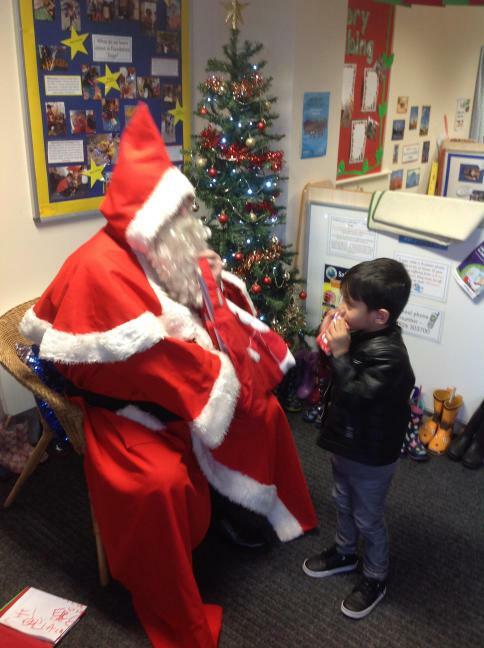 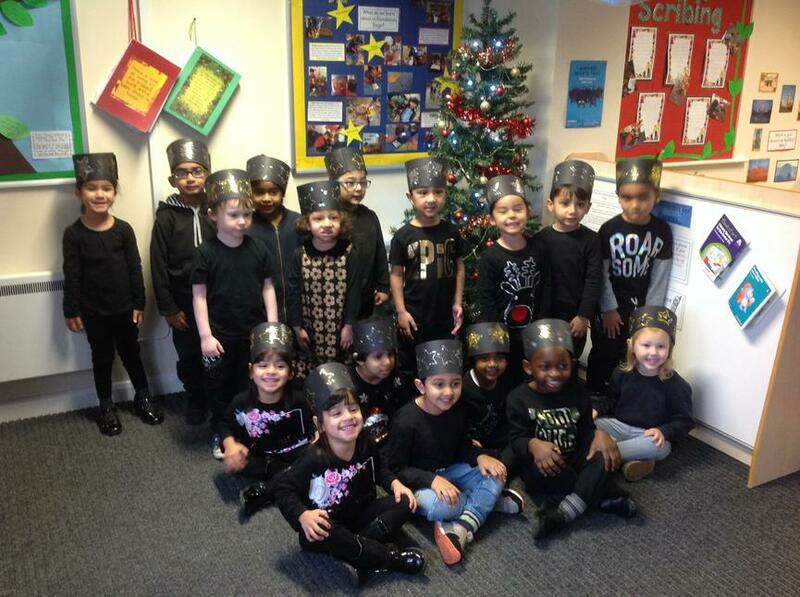 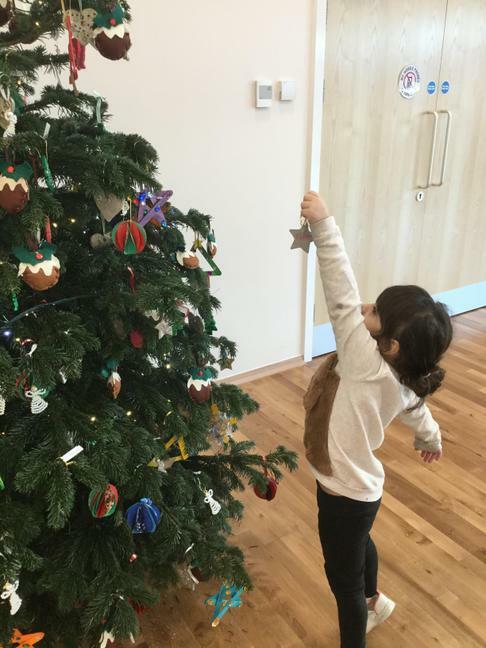 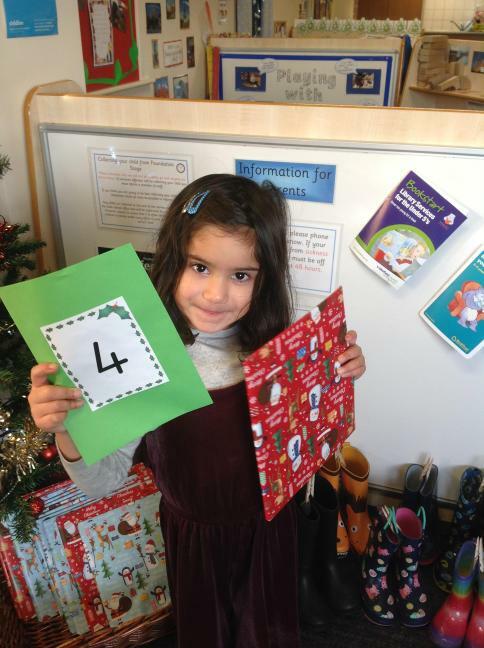 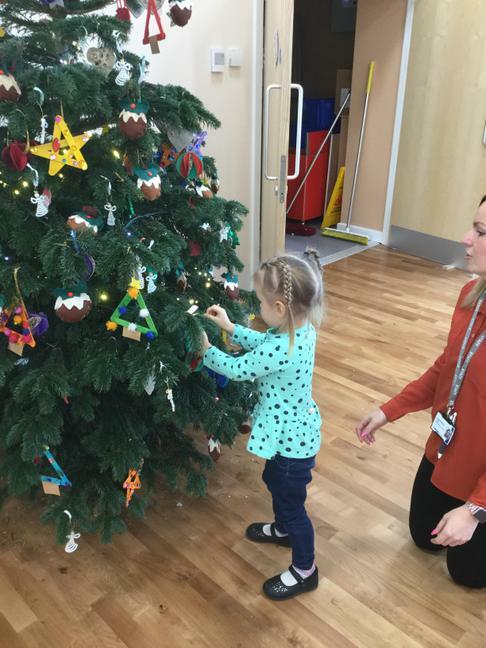 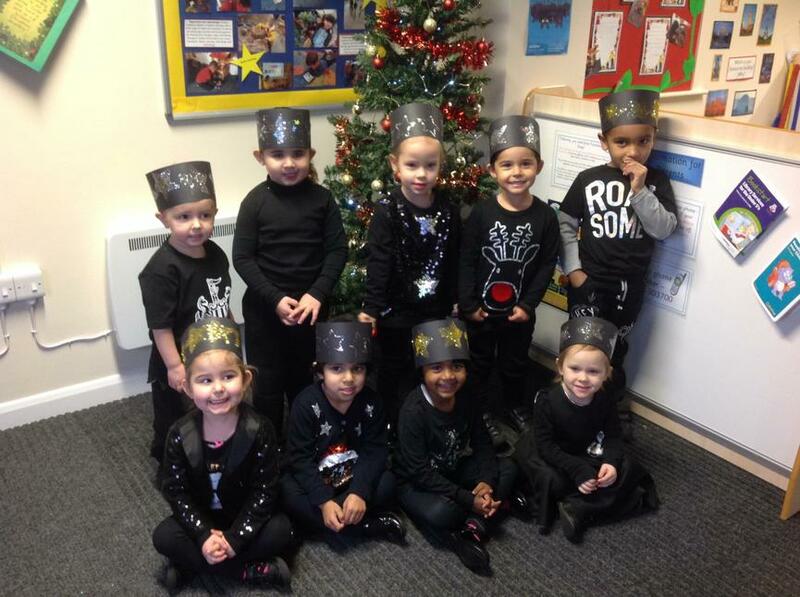 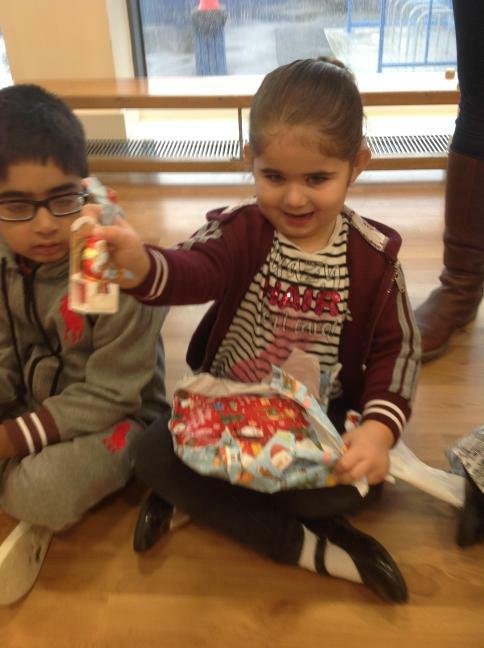 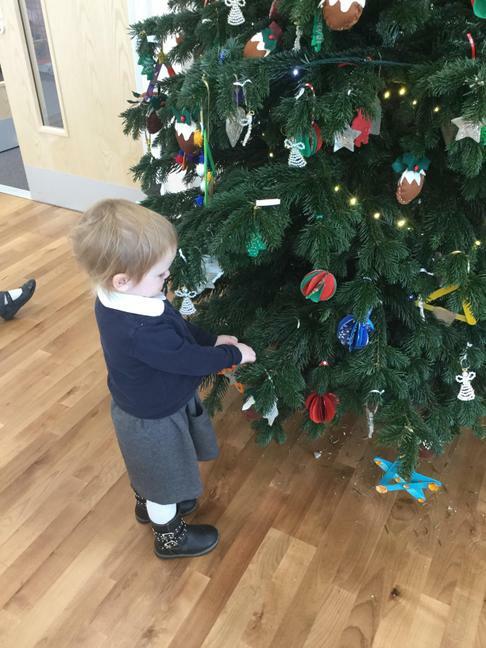 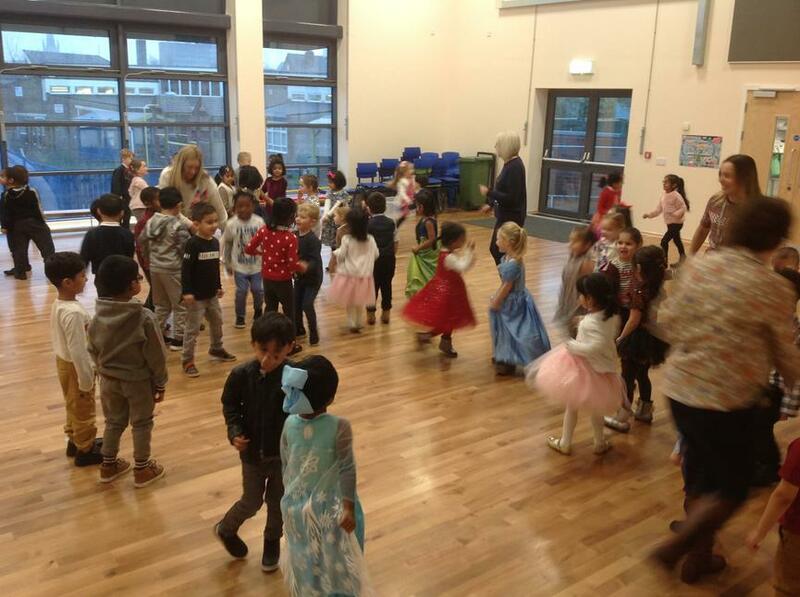 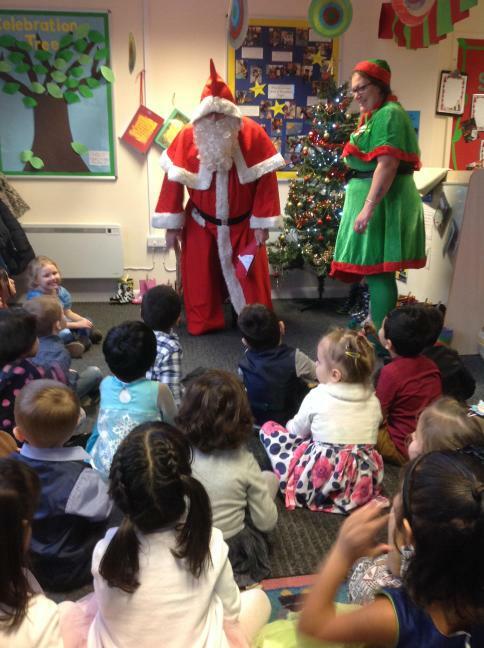 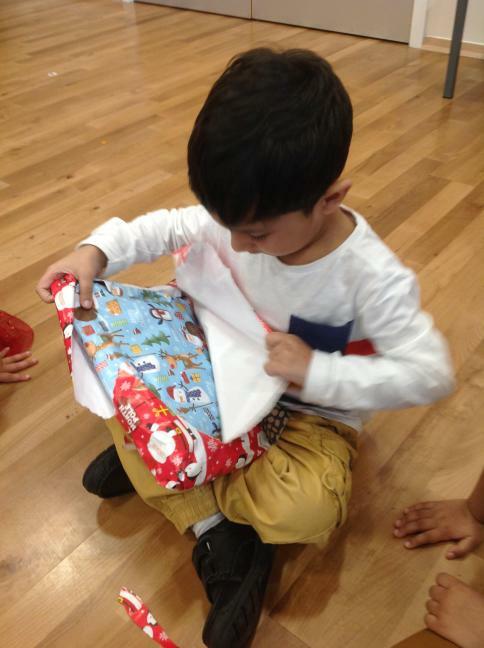 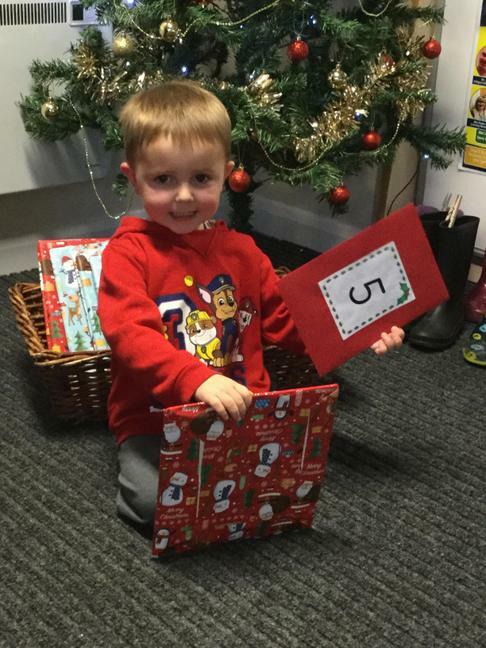 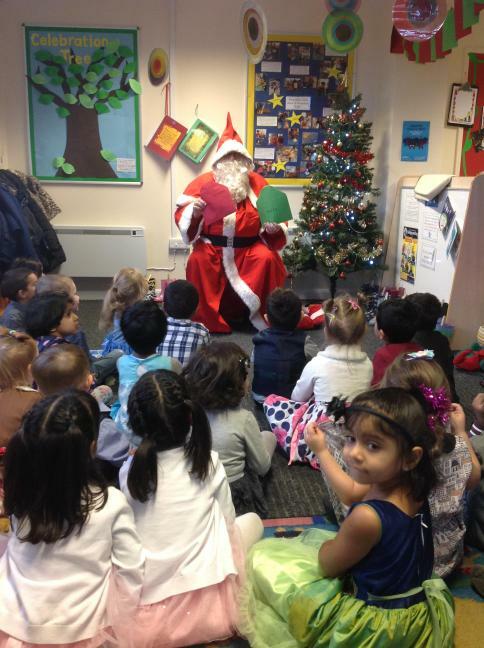 Have a look at some of the photos below... showing our wonderful learning throughout December. 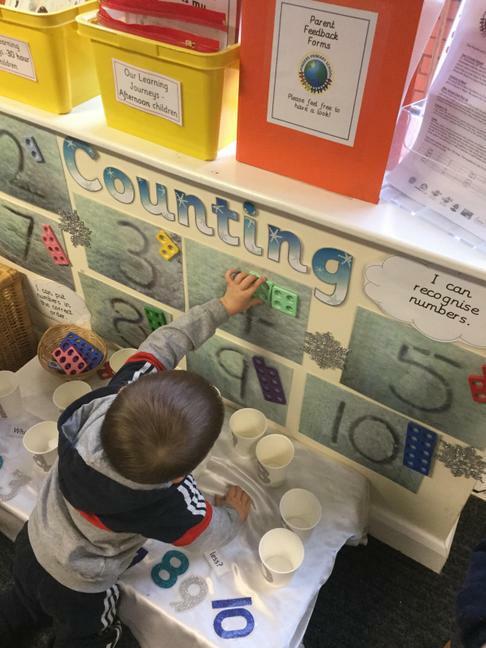 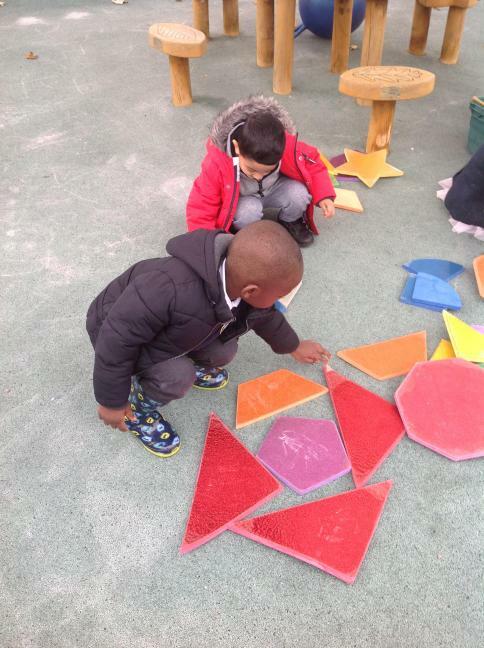 We are enjoying using our maths area which has changed with the season. 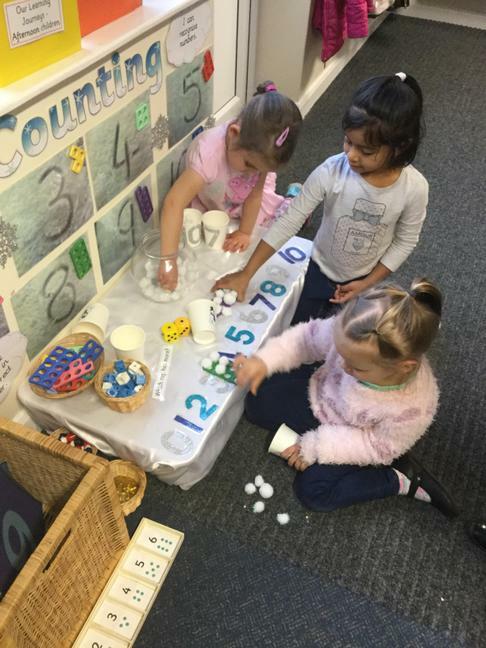 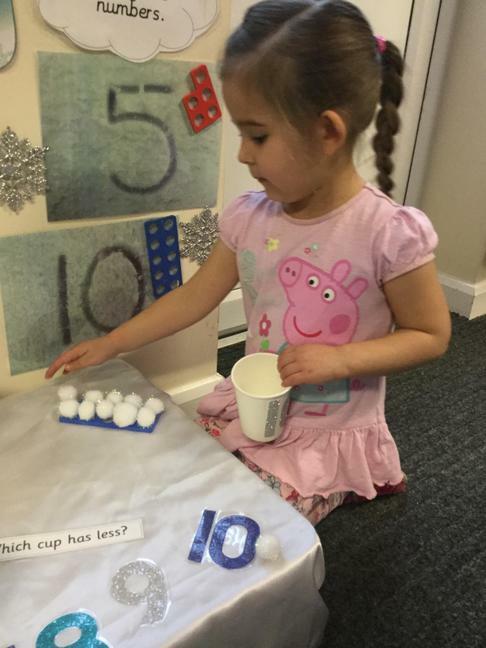 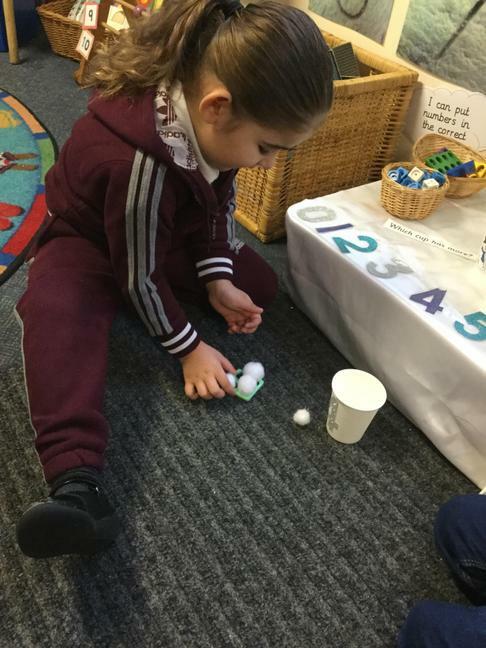 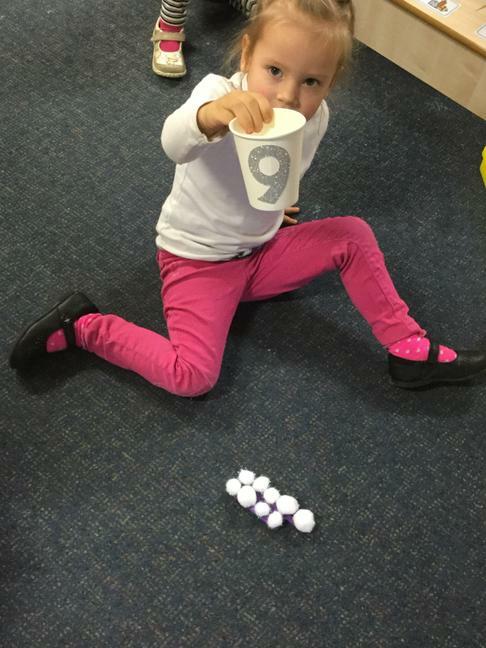 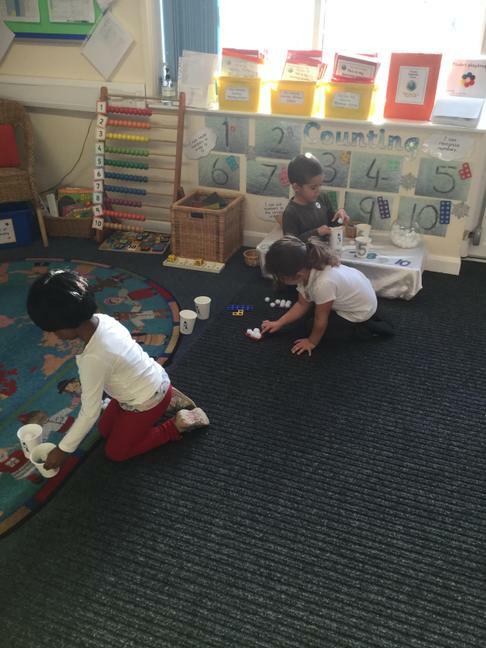 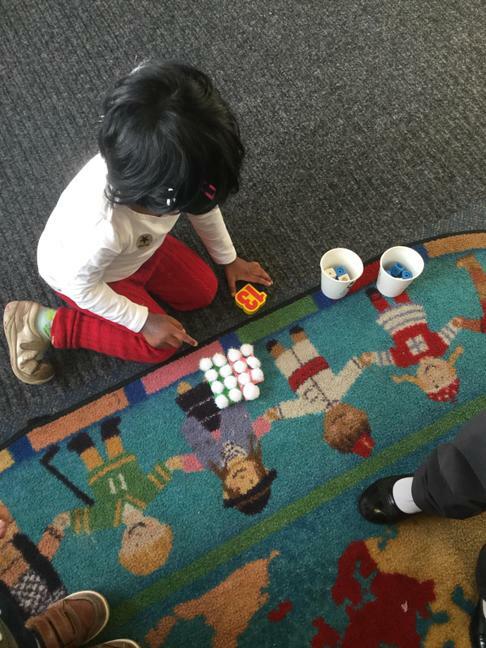 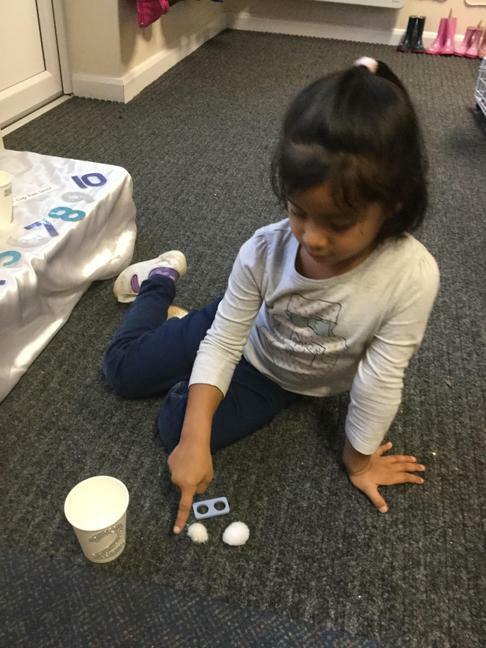 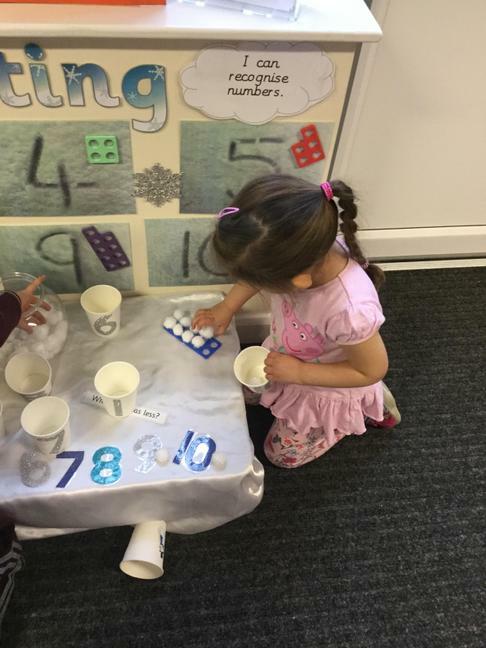 We are using numicon and snowballs to develop our understanding of number. 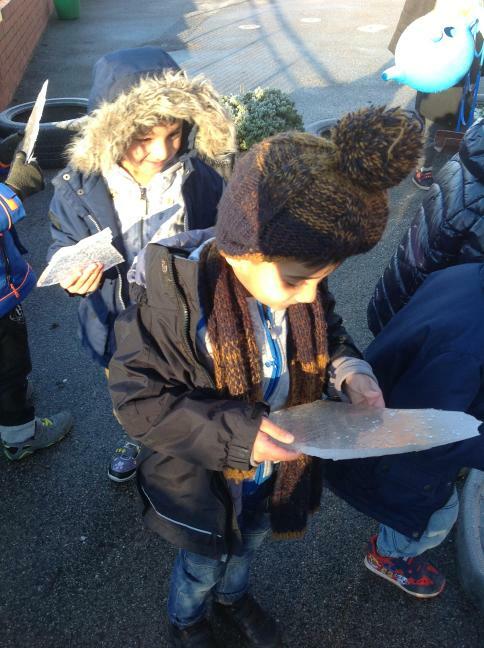 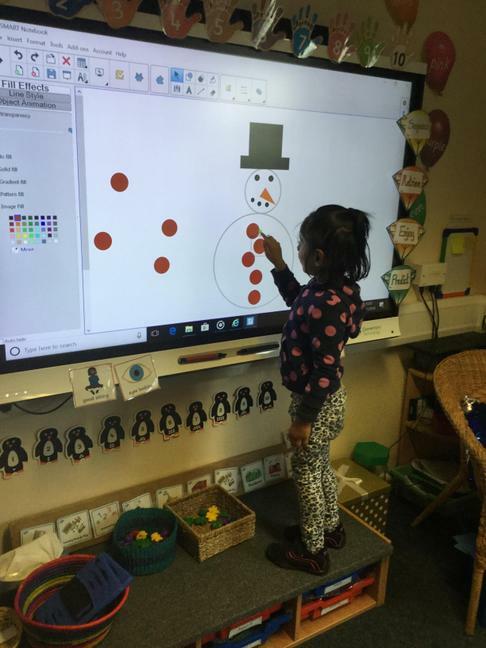 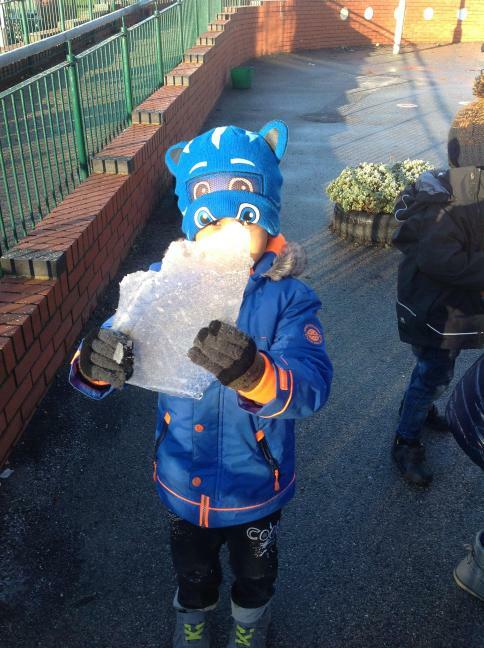 In January we enjoyed finding out all about Winter! 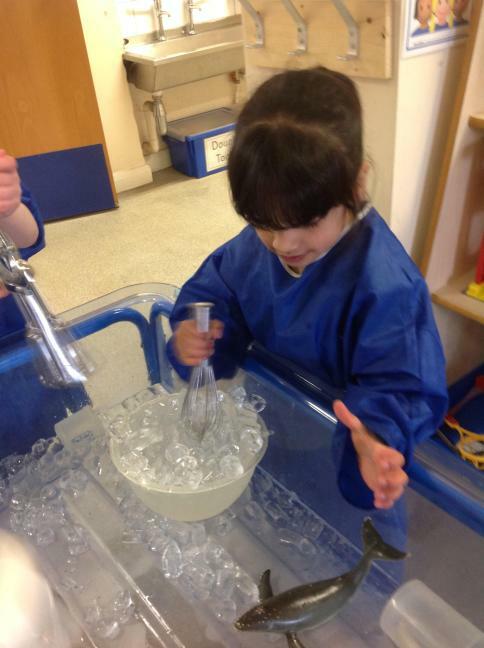 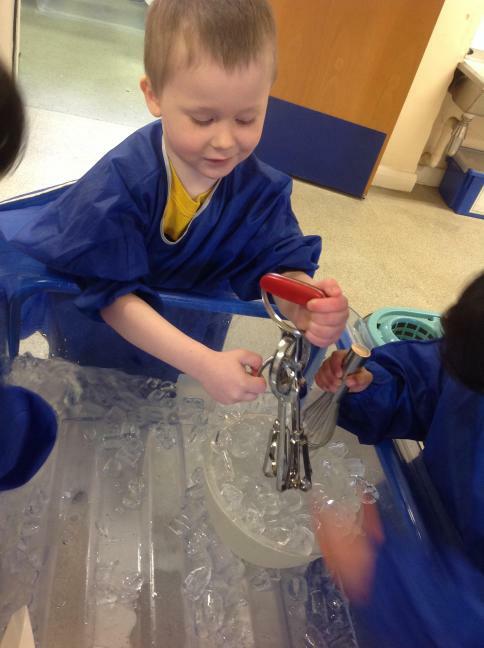 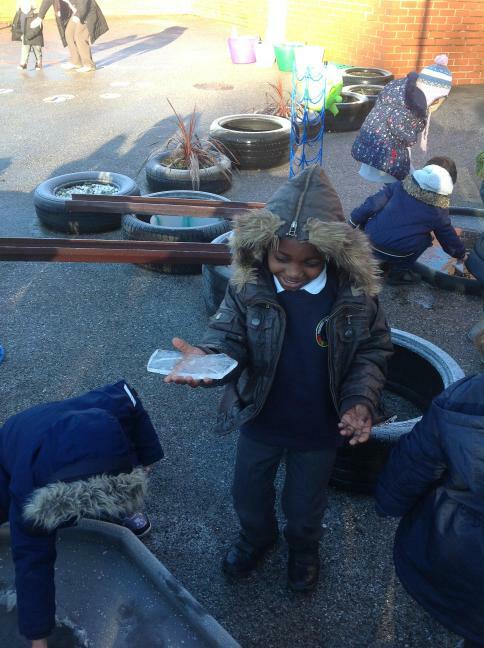 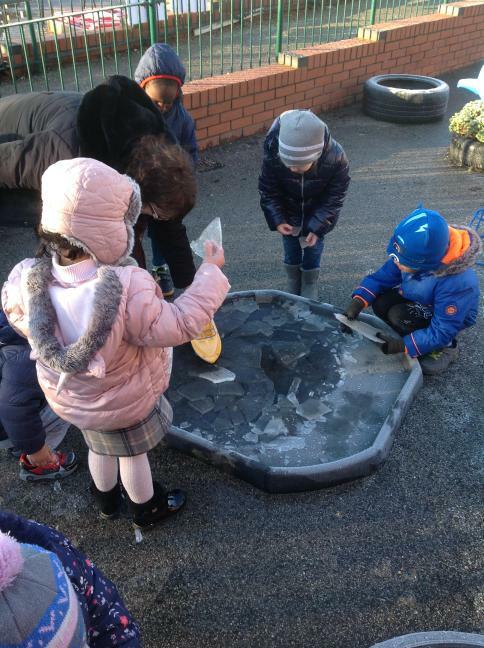 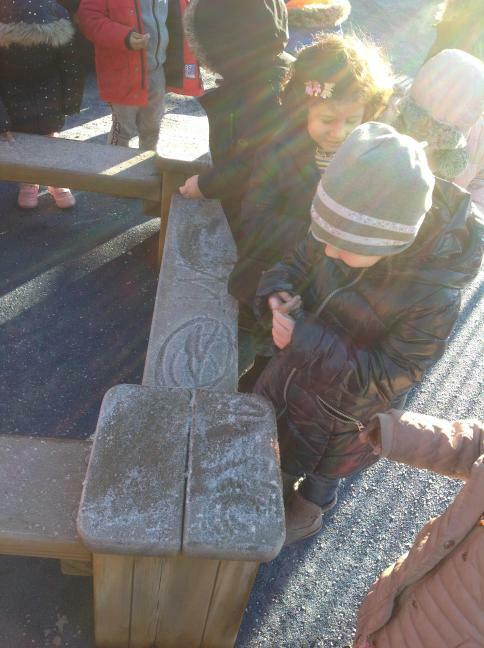 We explored water and ice inside and outside - we also had a little bit of snow to play with outside! 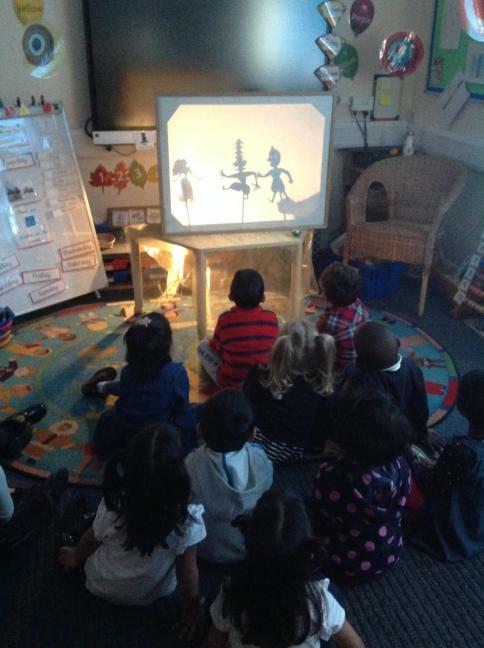 We shared a winter story called 'Snow Bear'. 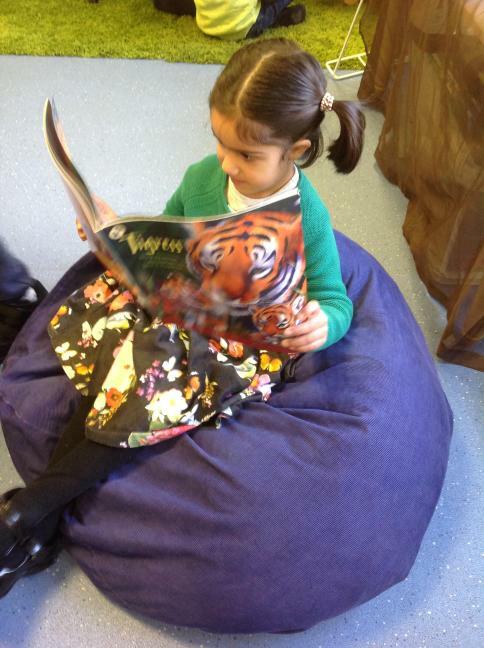 We have several copies in our classroom so please ask if you would like to borrow one to read at home. 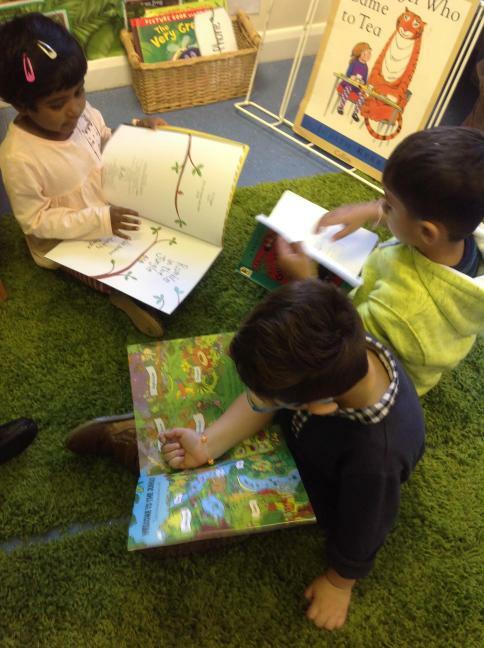 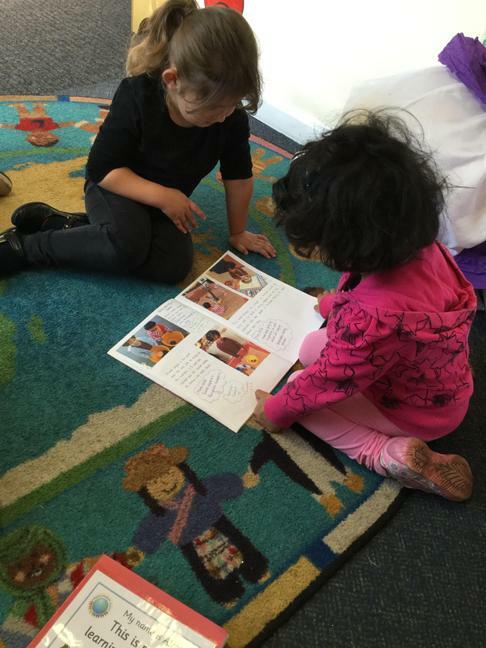 Can your child tell you about what happens in the story? 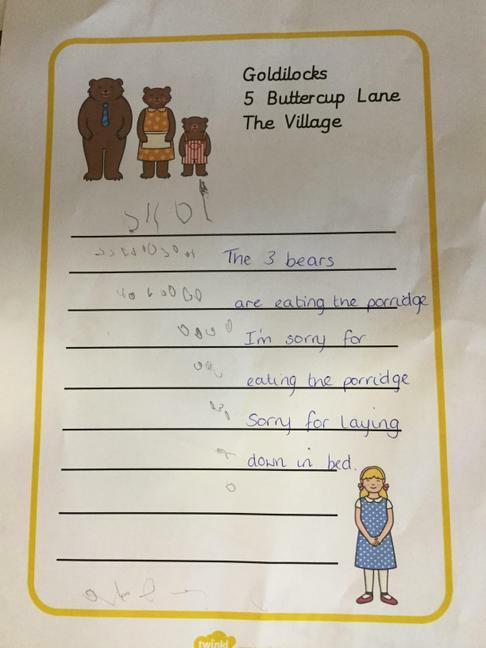 We have also taken part in the whole school poetry week. 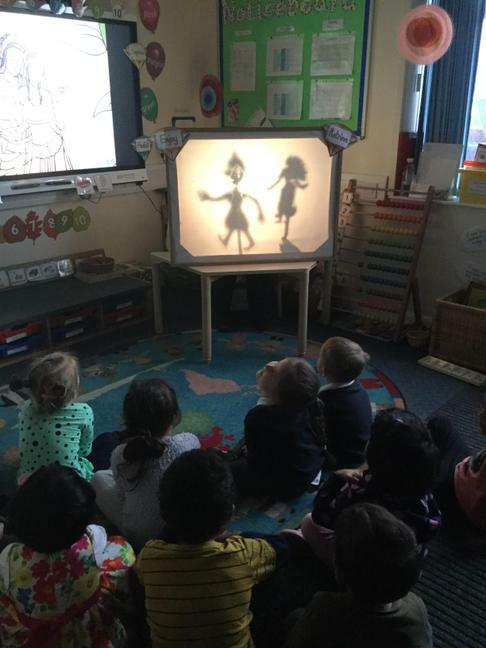 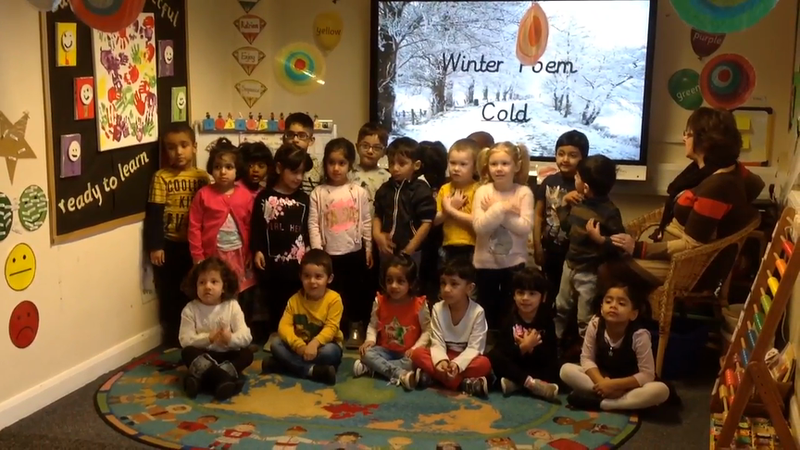 In Nursery we shared a poem about Winter... have a look at our video below. 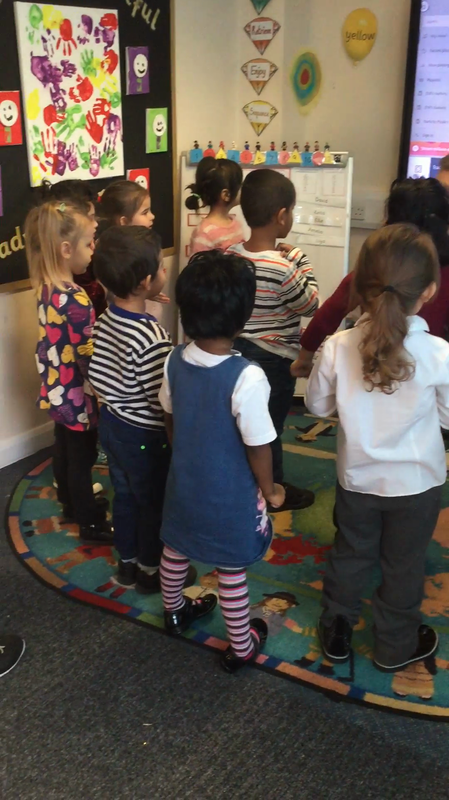 We performed some new rhymes with our author visitor, Conrad Burdekin. 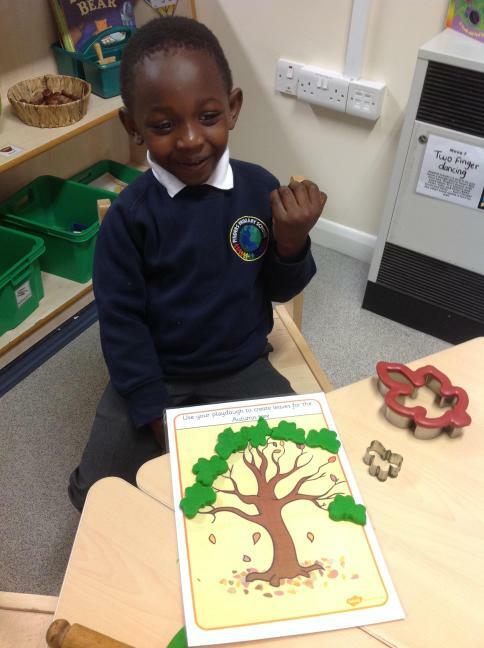 We made our own rhyme with Conrad's help, all about a spider! 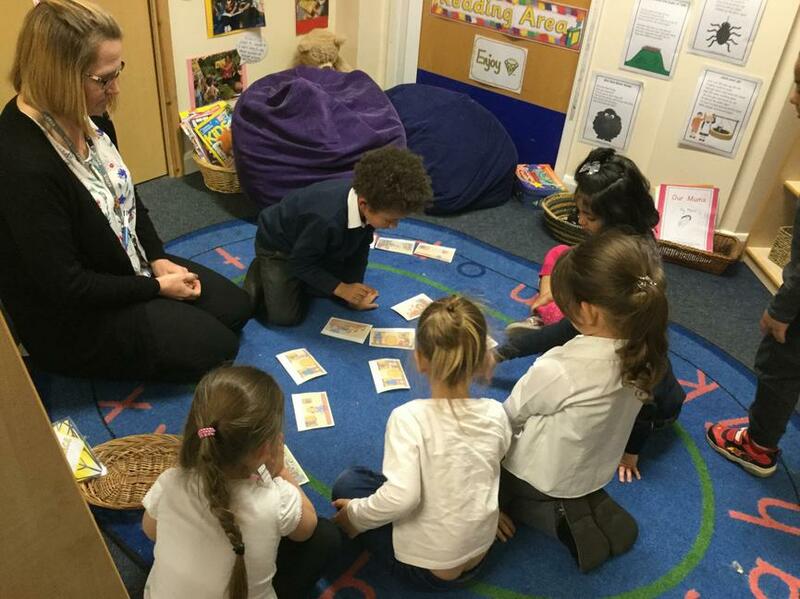 As we moved into March and April the children started learning about their families. 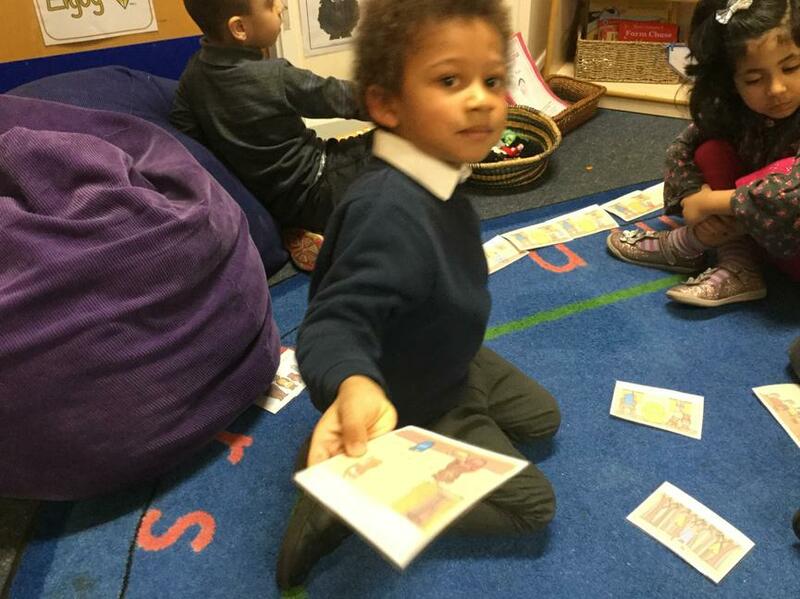 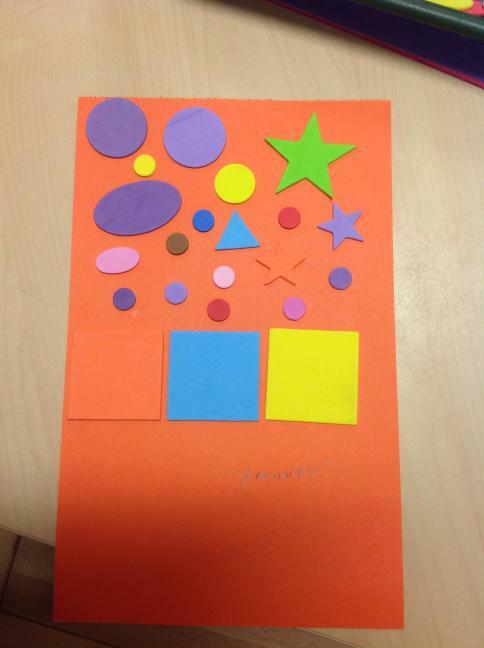 We talked about the people who look after us and we made special cards to celebrate Mother's Day. 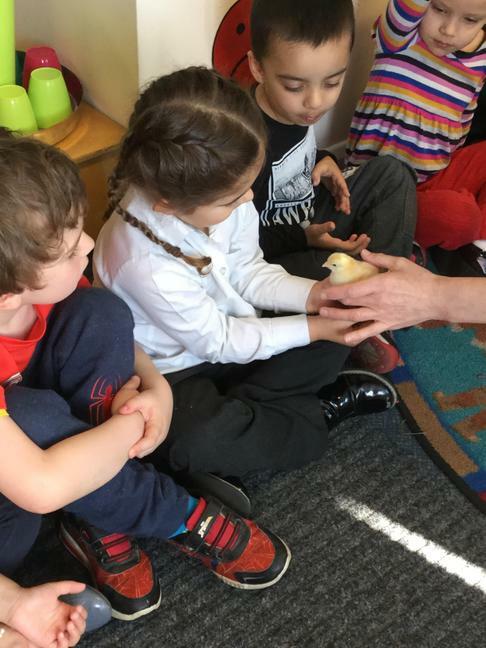 Towards the end of the half term we enjoyed learning about Easter. 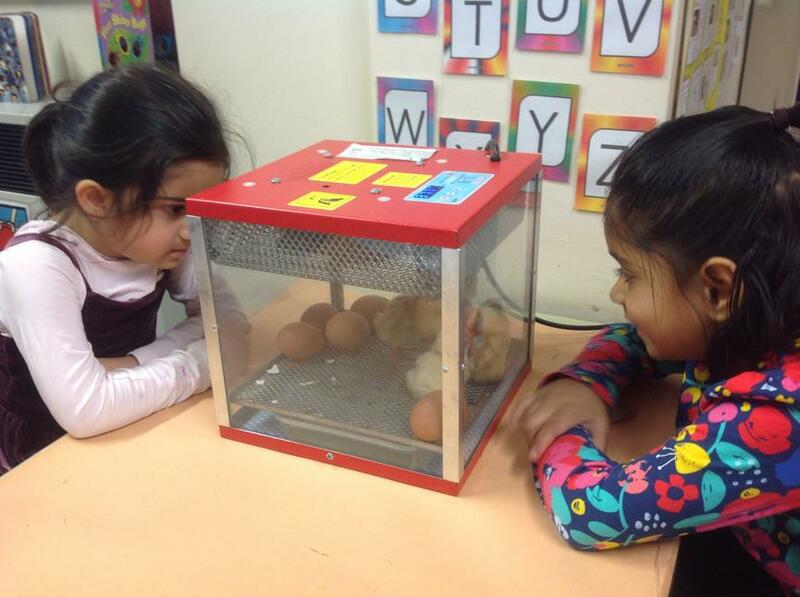 We were very lucky this year - we had some real eggs in our classroom, kept in an incubator so they hatched. 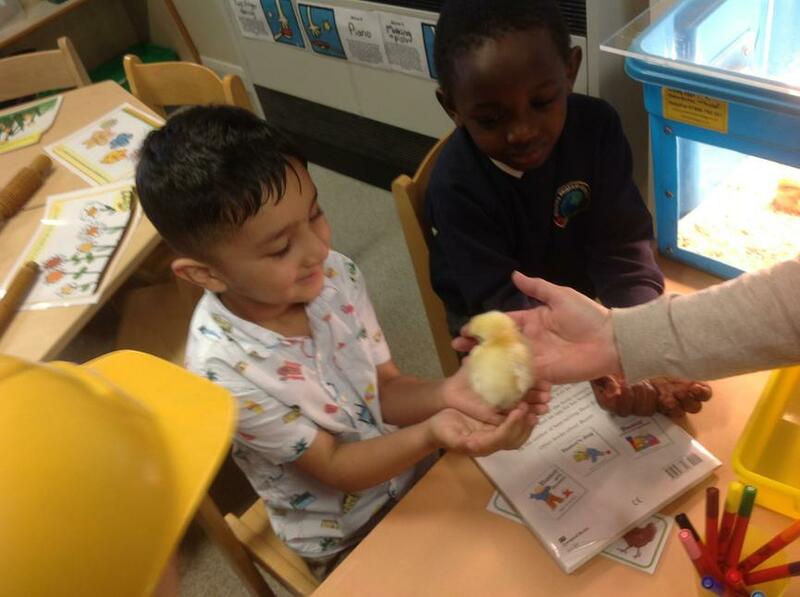 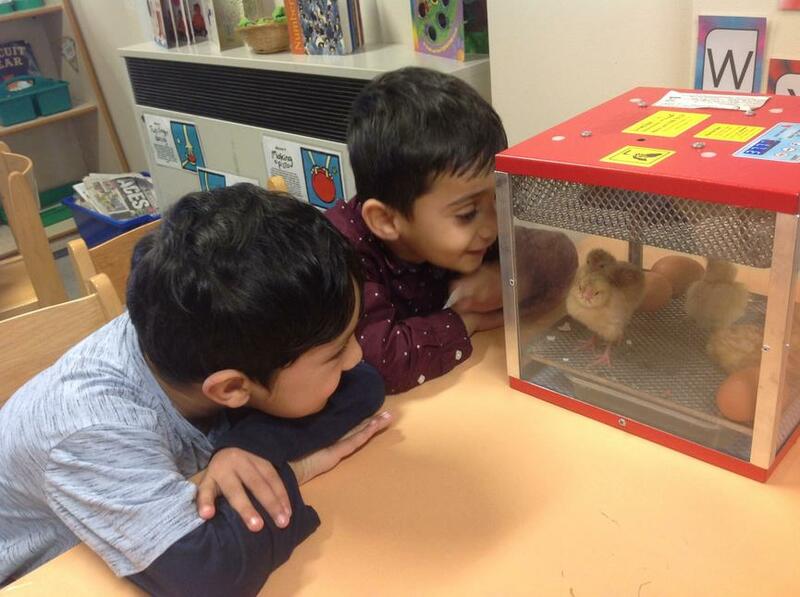 The children loved looking after the chicks! 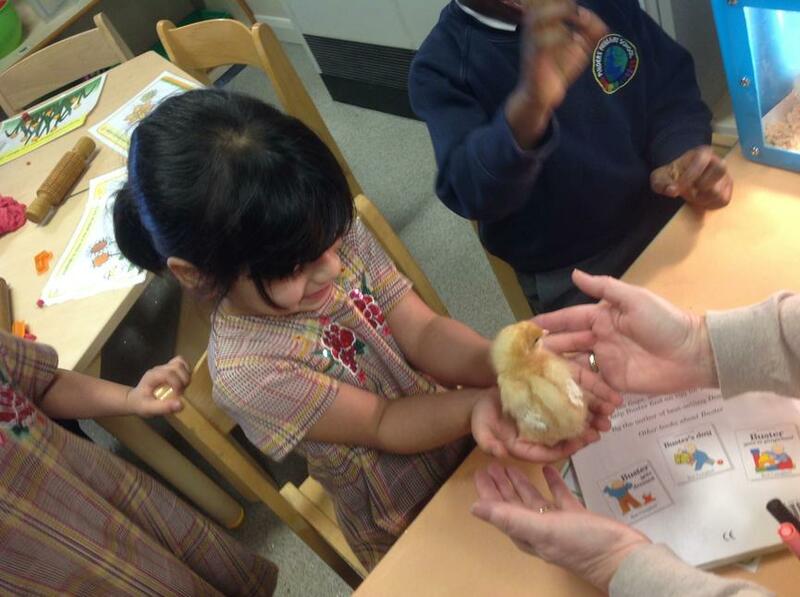 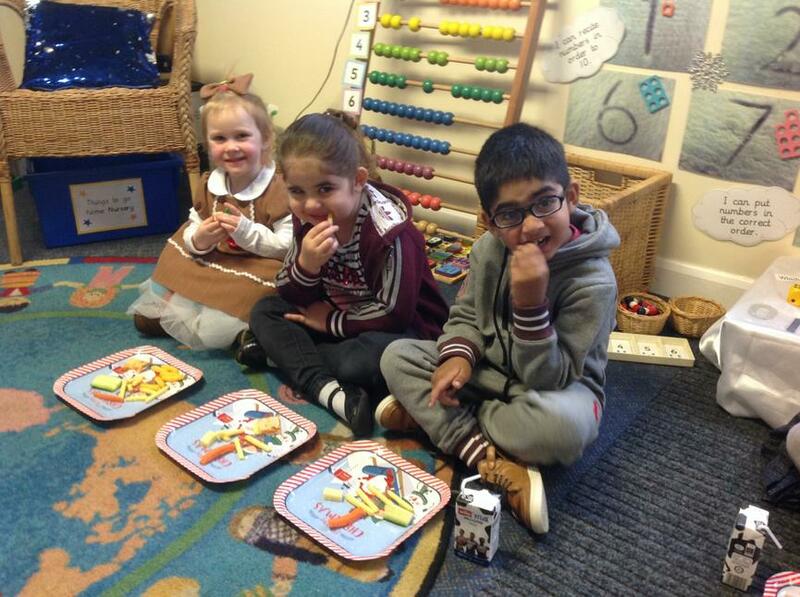 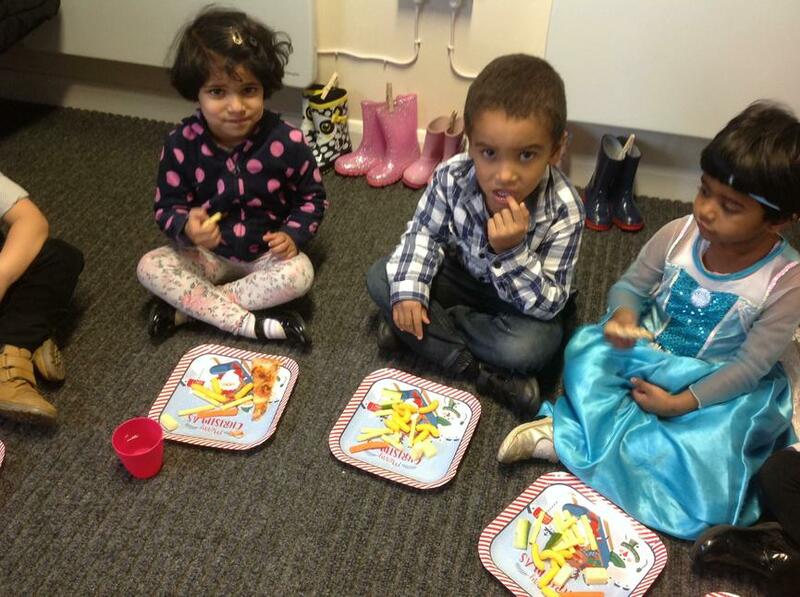 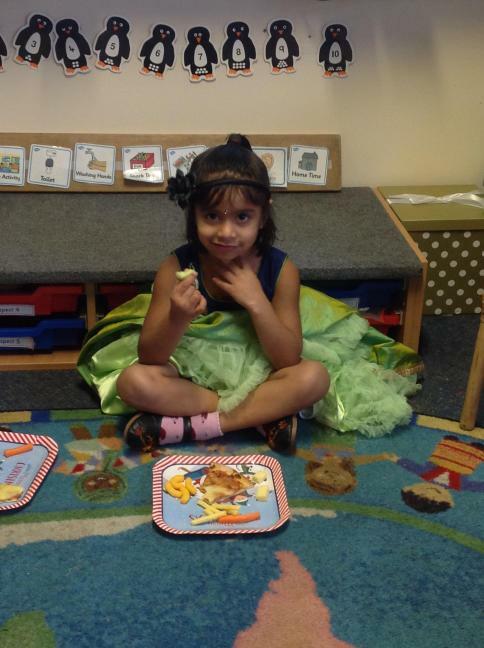 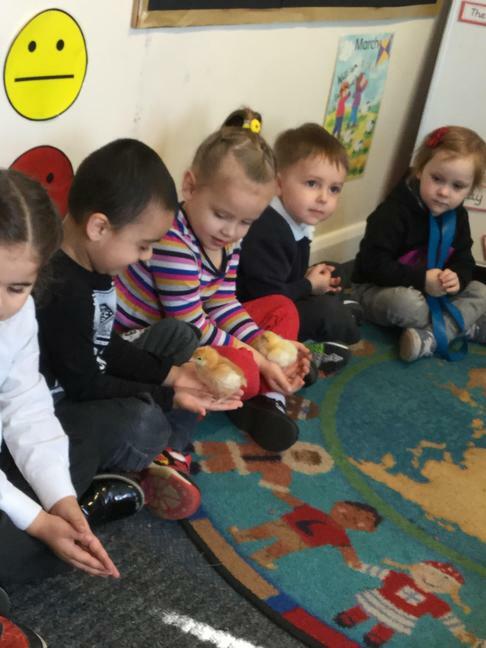 The children enjoyed sharing stories and rhymes about eggs and chickens. 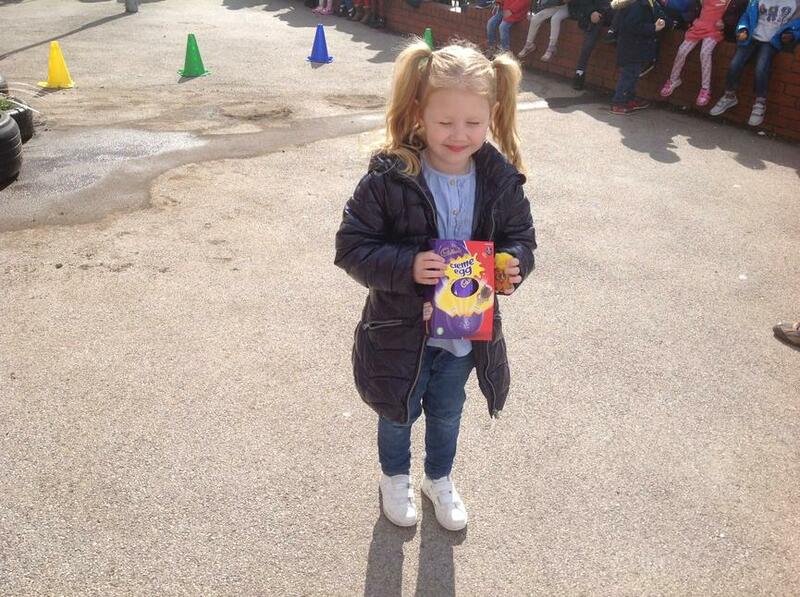 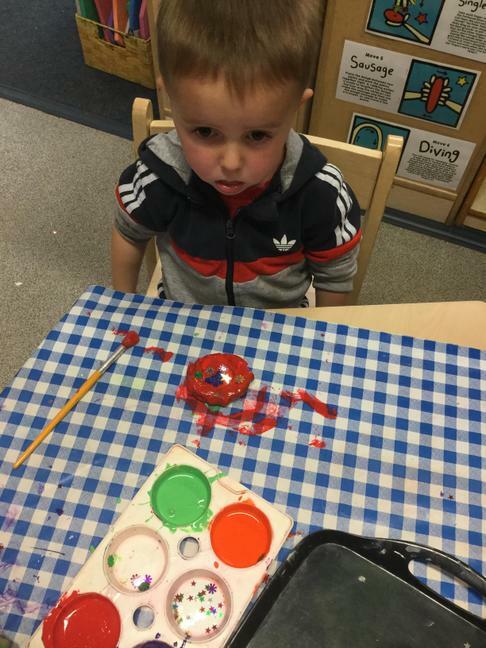 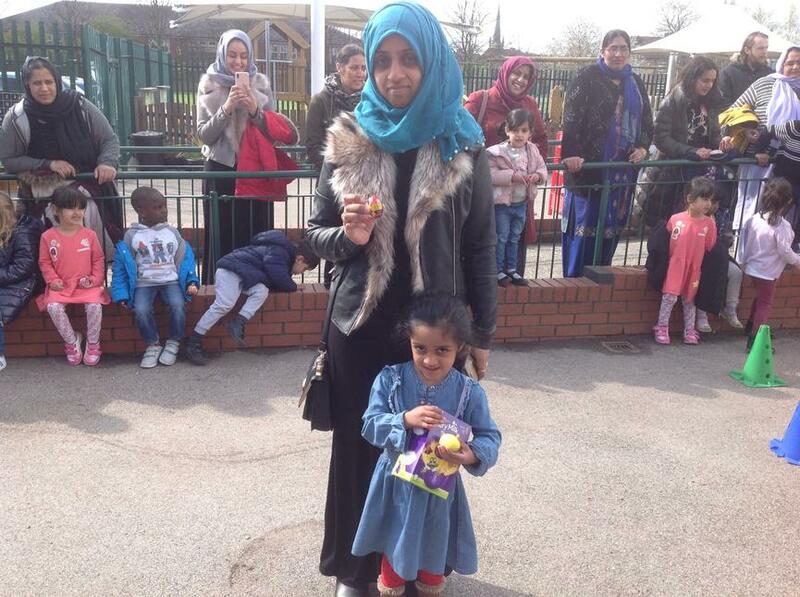 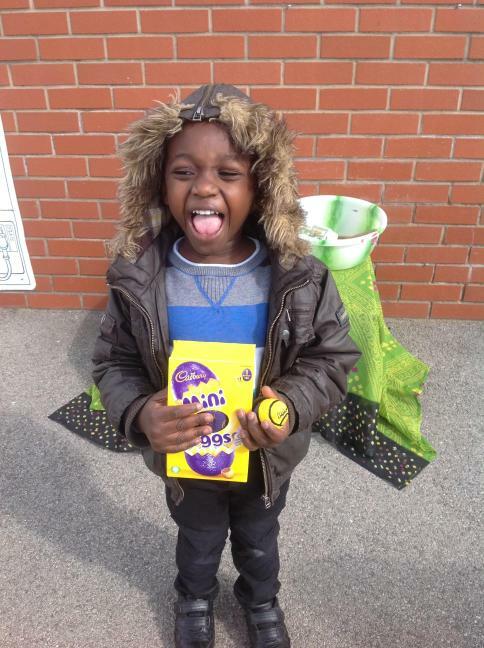 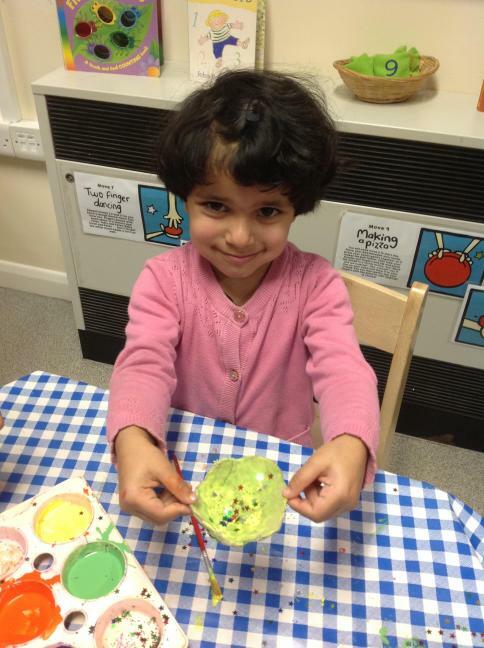 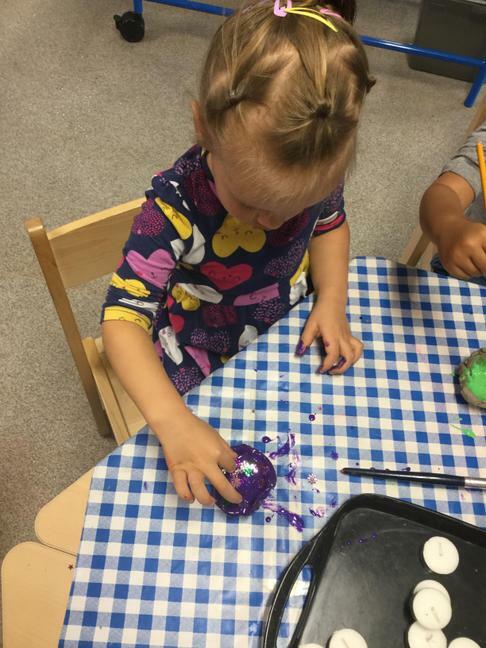 We also asked the children to decorate eggs at home to use on our Easter fun day. 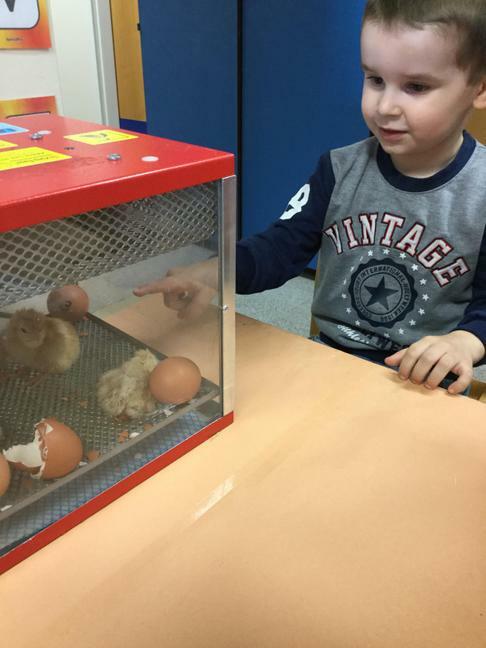 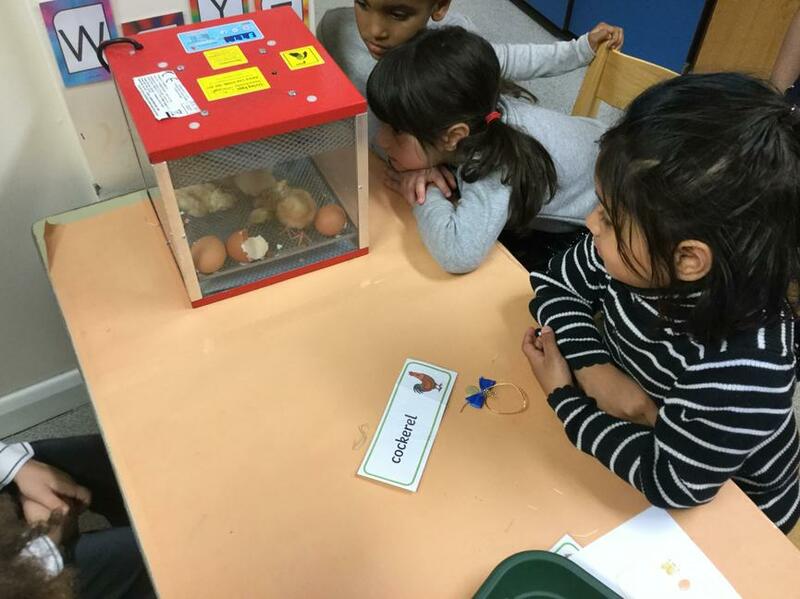 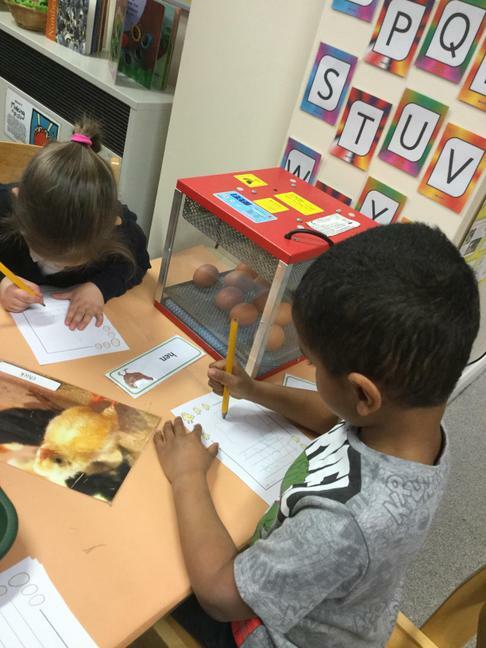 Have a look at the photos of our eggs and chicks! 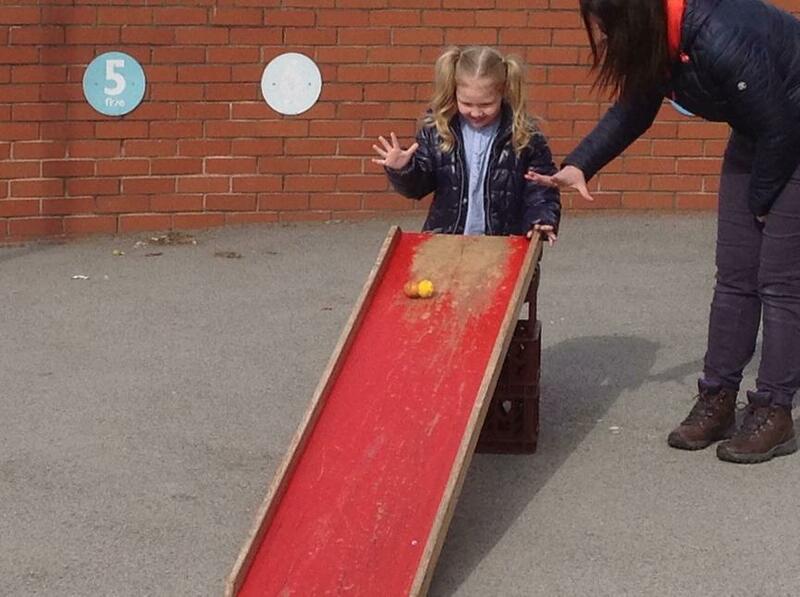 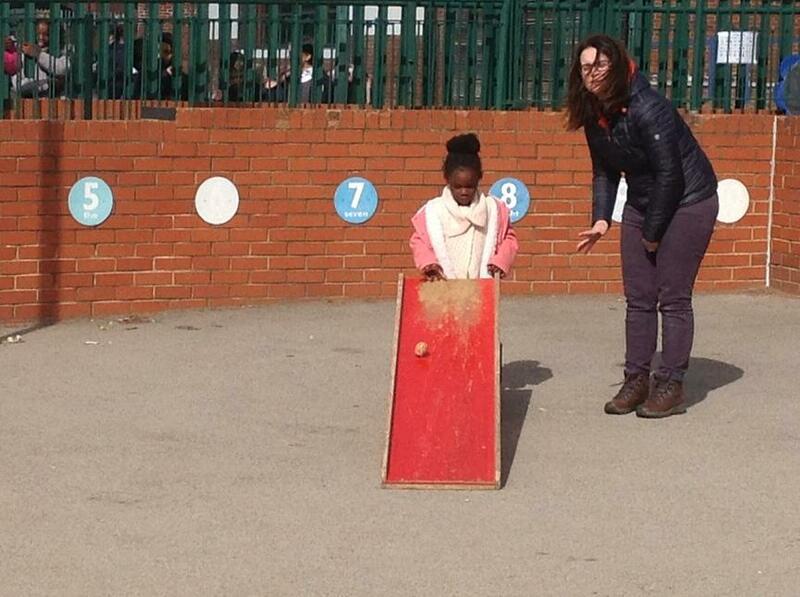 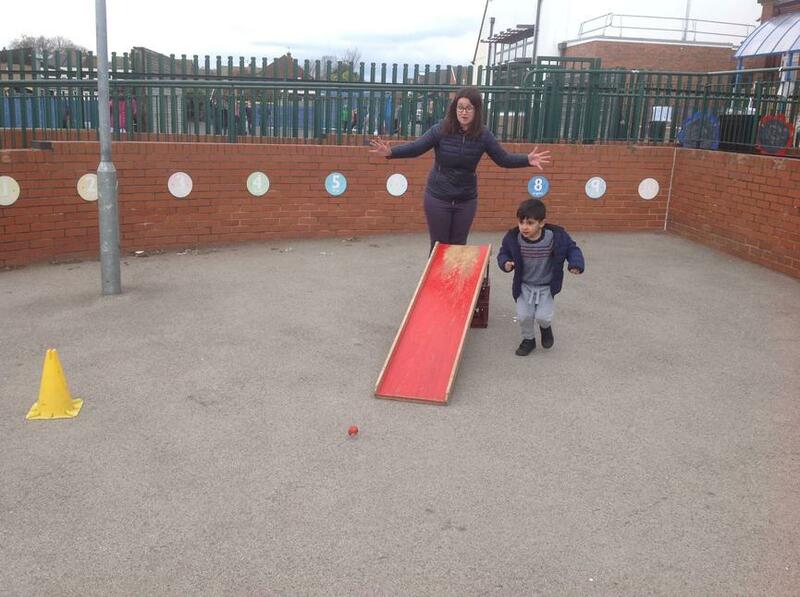 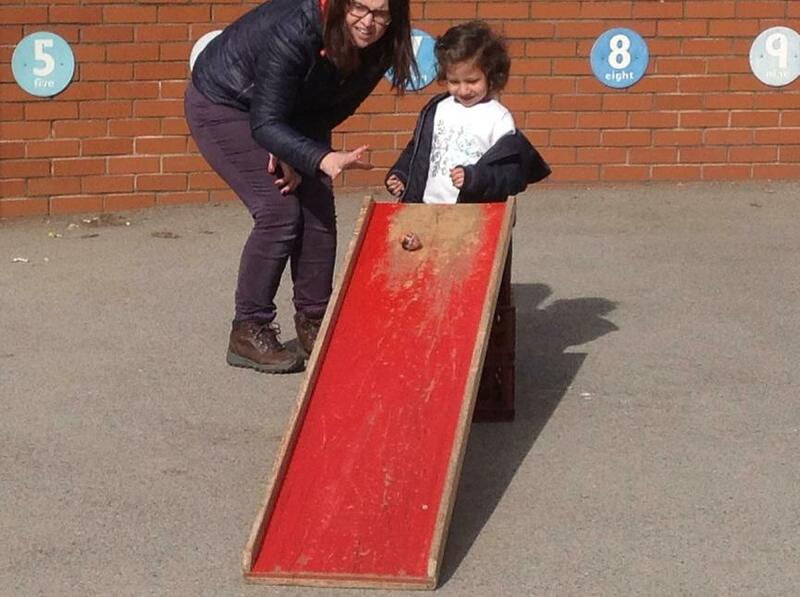 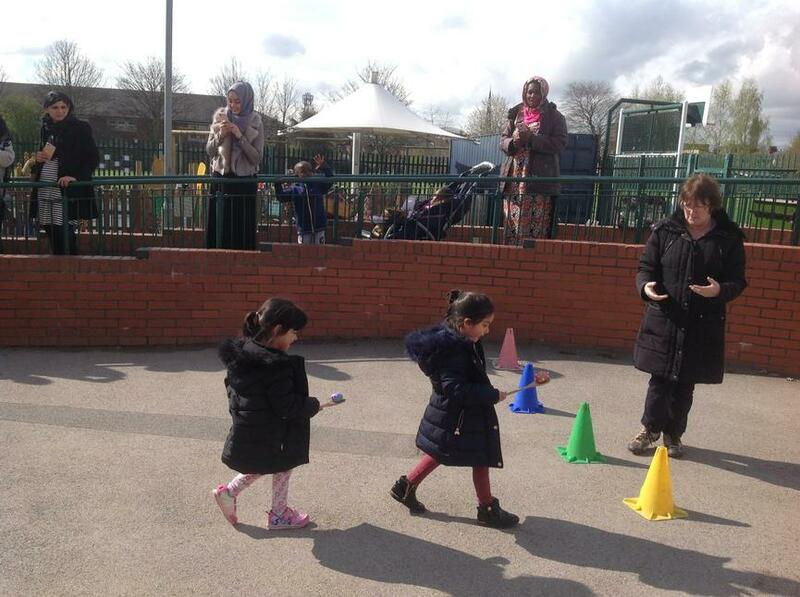 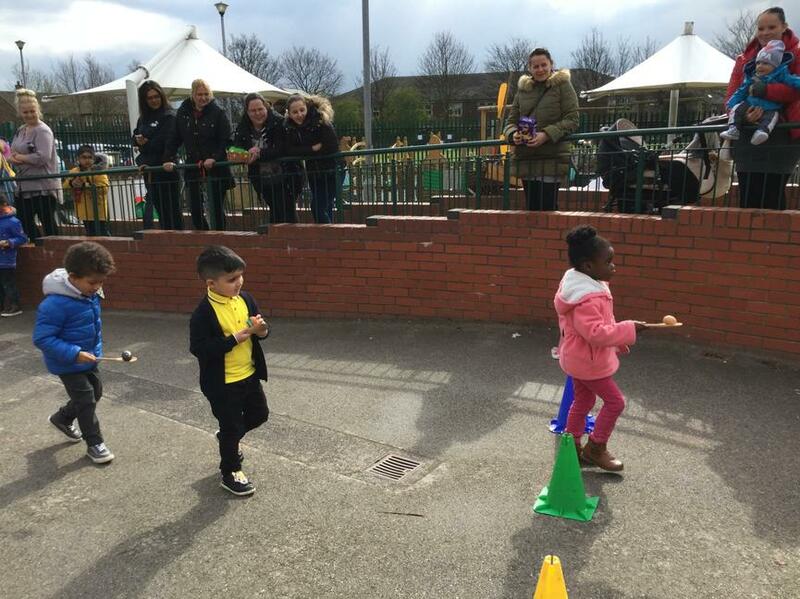 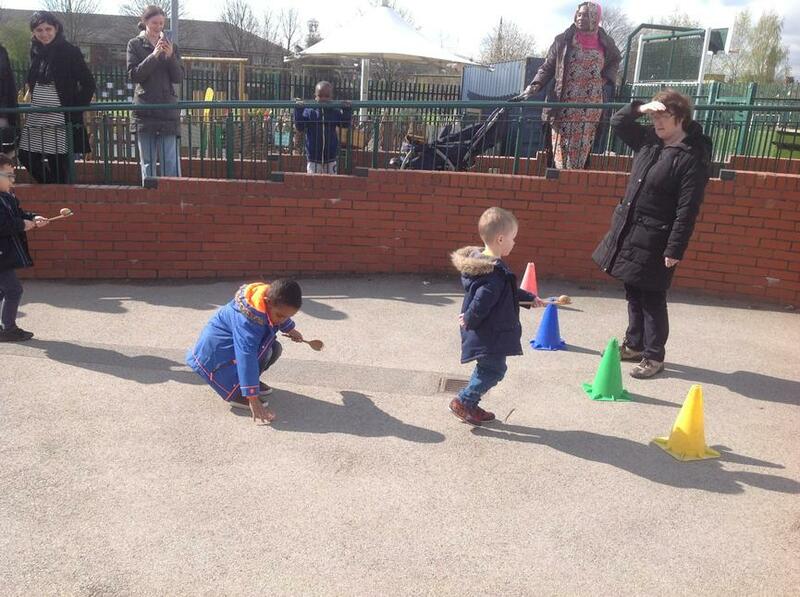 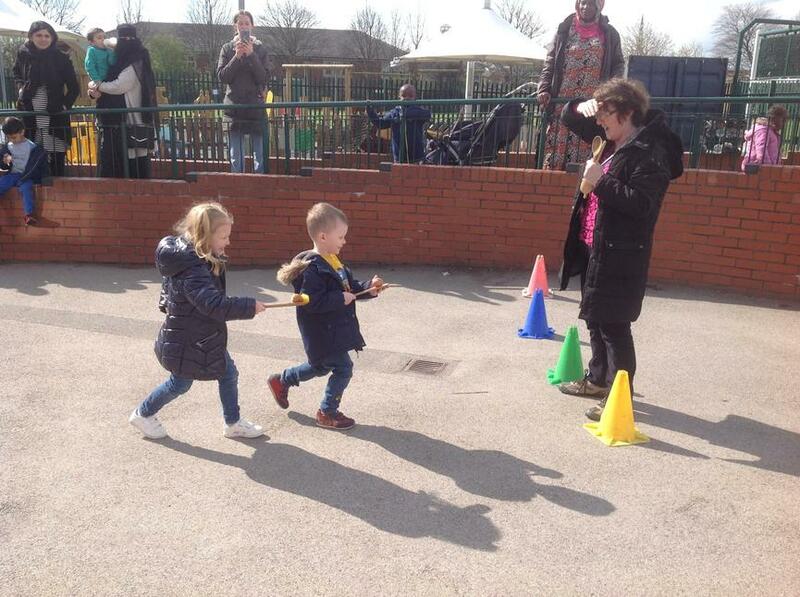 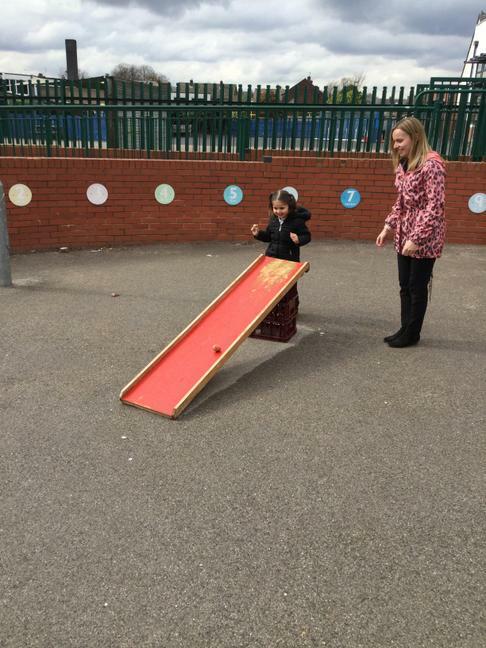 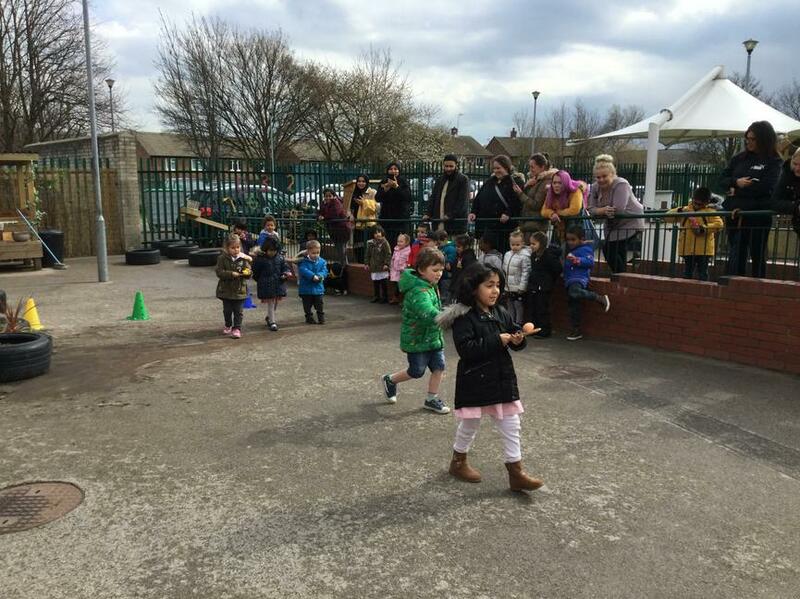 A few photos from our Easter fun day! 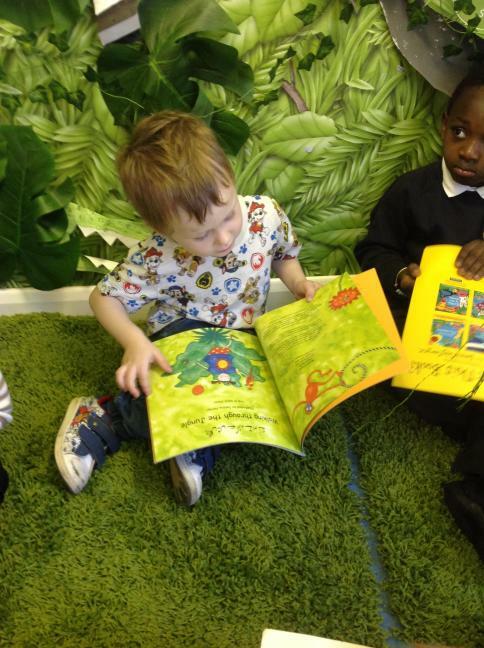 During the Summer term we will be using some Eric Carle stories to do our learning. 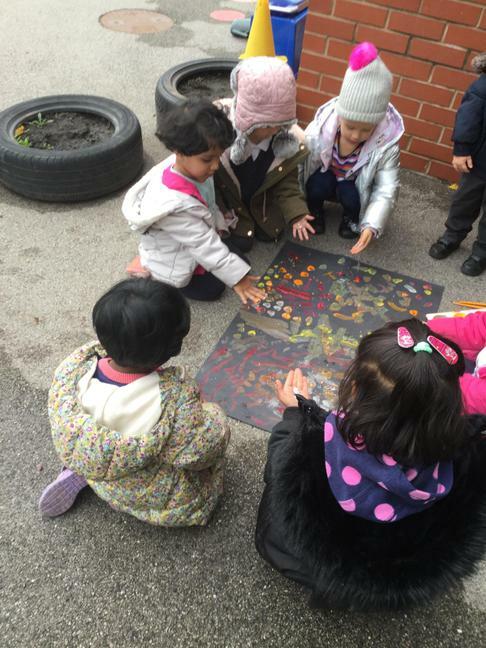 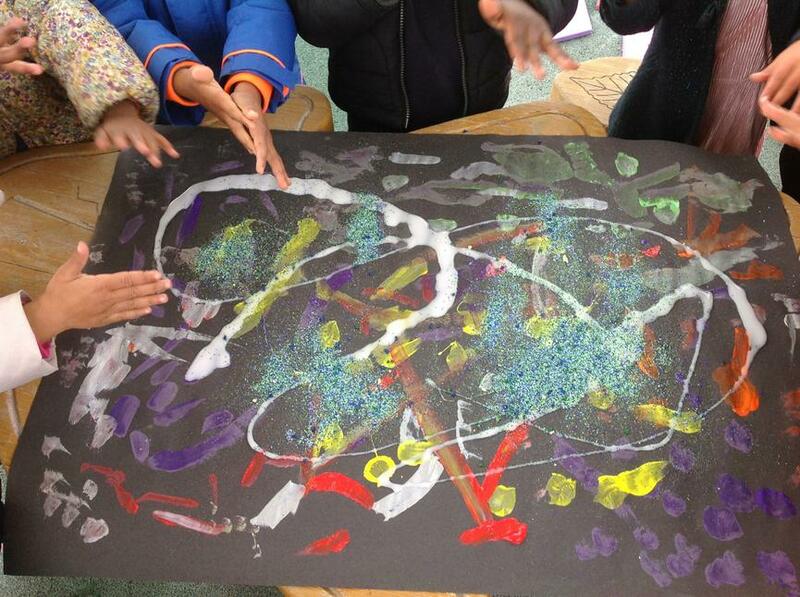 We will share 'The Very Busy Spider' and 'Brown Bear, Brown Bear, What Do You See?'. 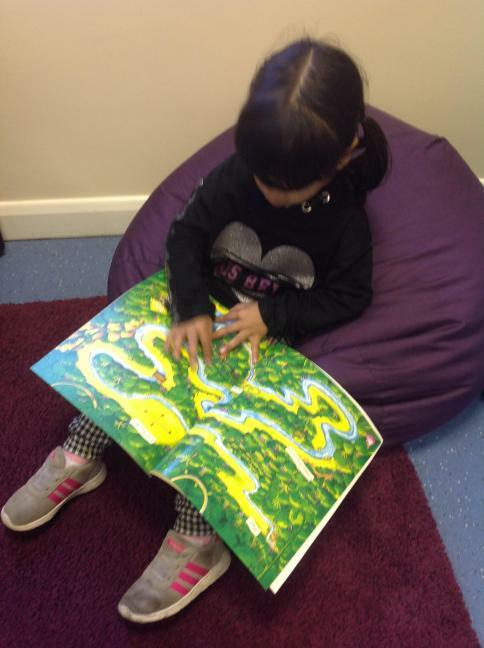 Please ask if you would like to borrow any of our Eric Carle stories to share at home. 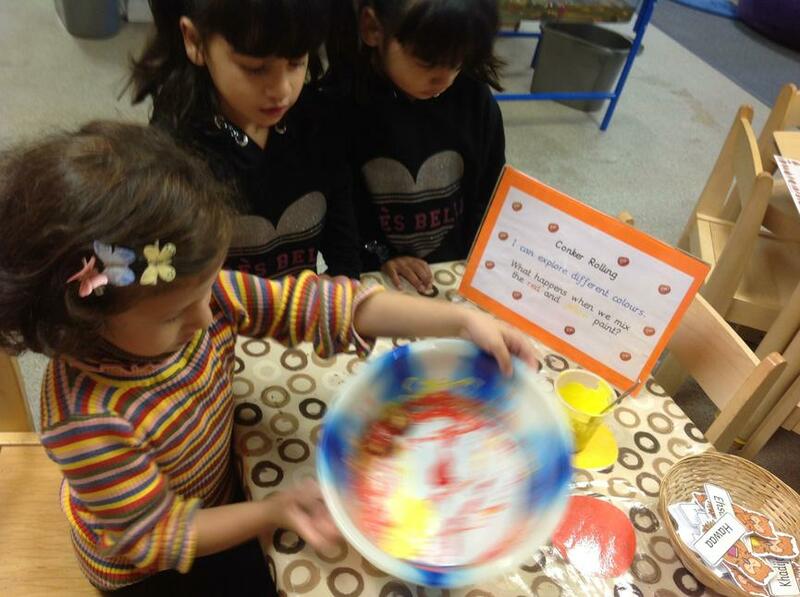 Watch out for our Eric Carle story display in the classroom, to show what we have been learning.